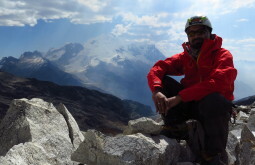 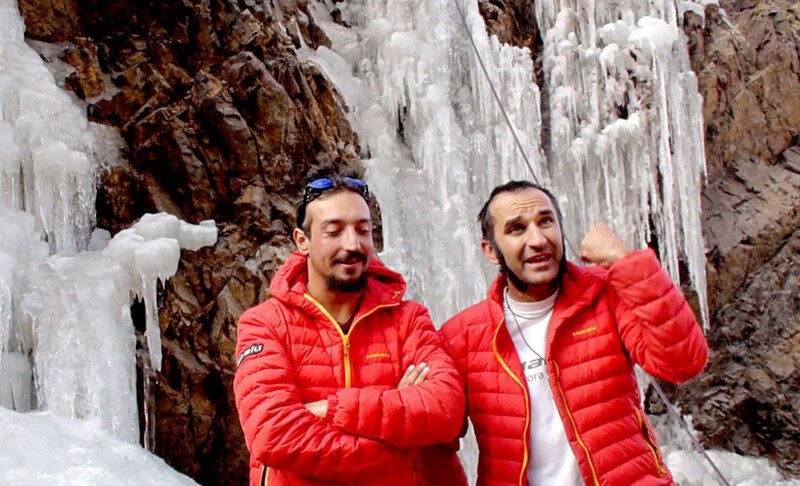 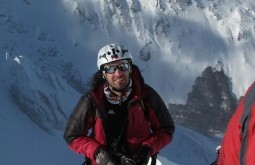 Angel Ezequiel Armesto is a professional high mountaineering guide, graduated in 2001 at EPGAMT Mendoza. 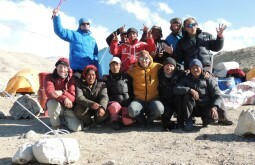 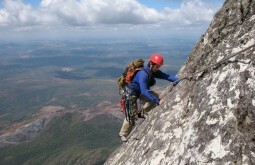 Angel was actually one the first high mountaineering guides graduated at EPGAMT Mendoza. 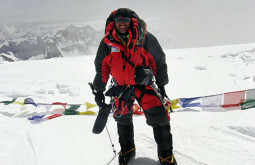 Since then he has successfully guided 72 expeditions to Aconcagua and several at the Himalayan Range, including 2 x Everest expeditions, Cho Oyu, Ama Dablam, among others. 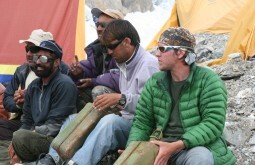 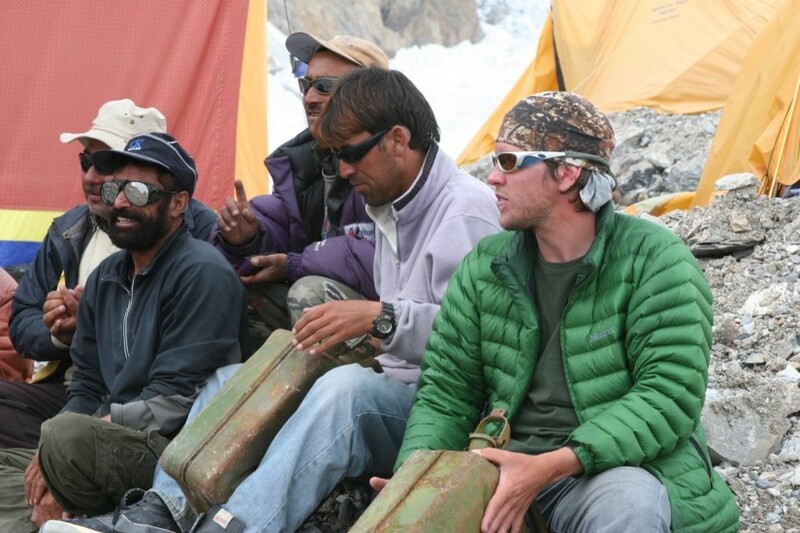 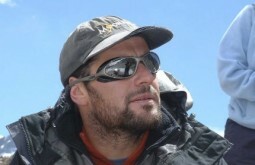 He has also led expeditions with very complex logistics to very remote peaks including Vinson in Antarctica. 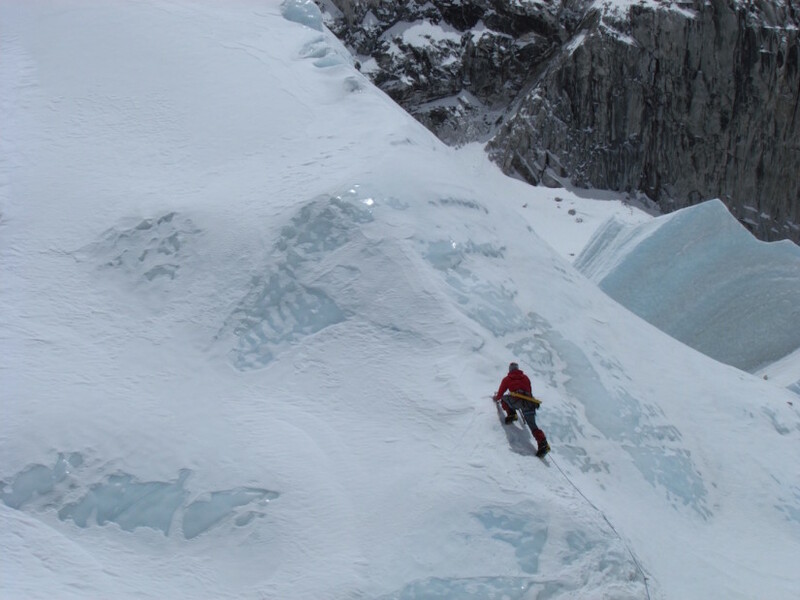 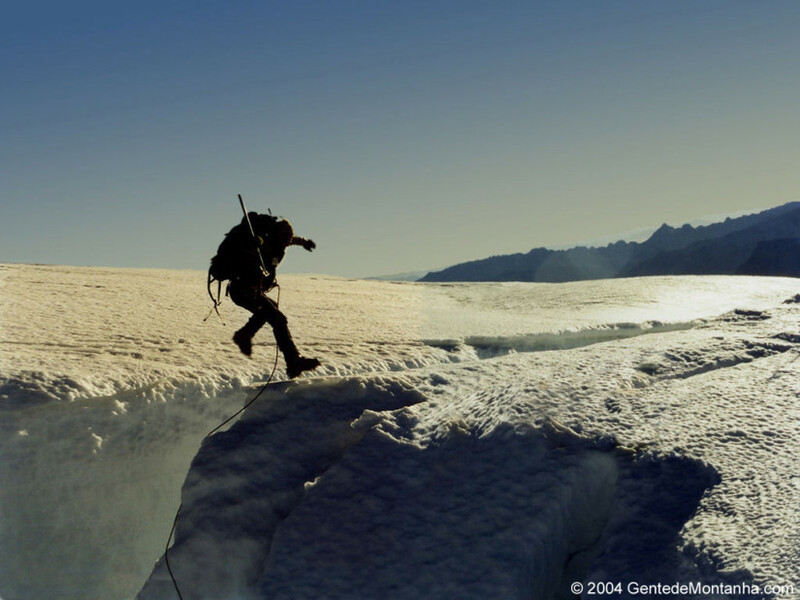 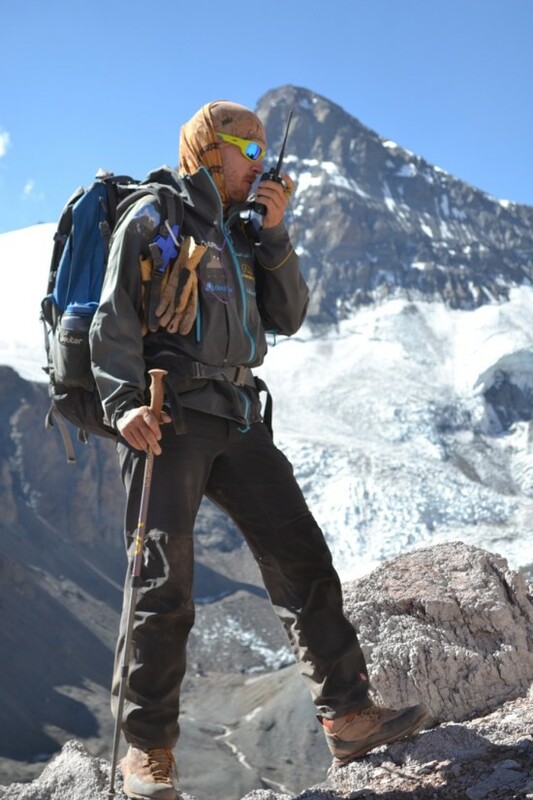 In the Andean range alone, Angel has climbed over 75 different extreme altitude peaks. Angel is an extremely relaxed and easy going person. 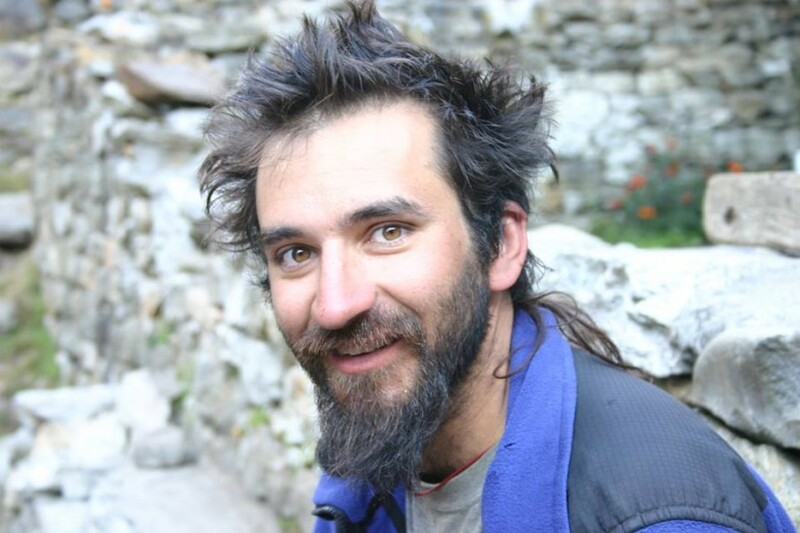 He’s the kind of guy who can have a solid conversation on subjects ranging from quantum physics to politics or from world macroeconomy to gut microbiology. 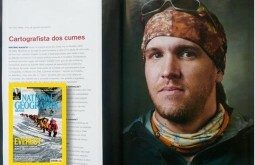 Who is Pedro Hauck? 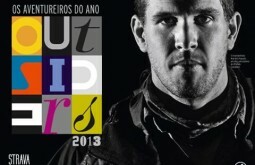 : Who is Pedro Hauck? 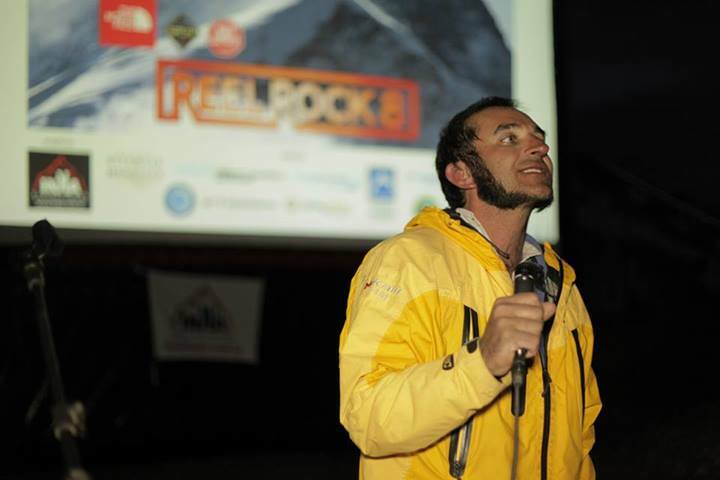 Pedro Hauck is a geographer, has masters in Physical Geography, Ph.D. in geology and is a very experienced mountaineer for the last 17 years. 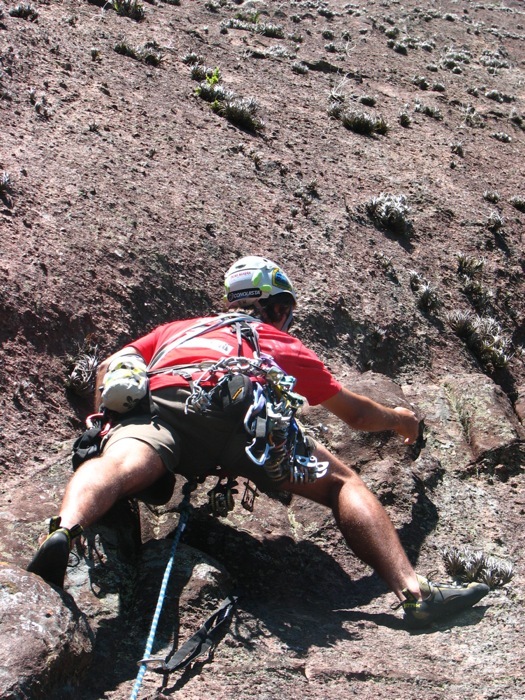 He has taught several rock climbing courses as well as climbing customized courses, teaching hundreds of people on how to climb. 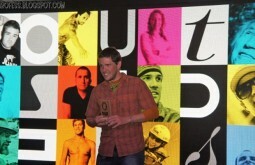 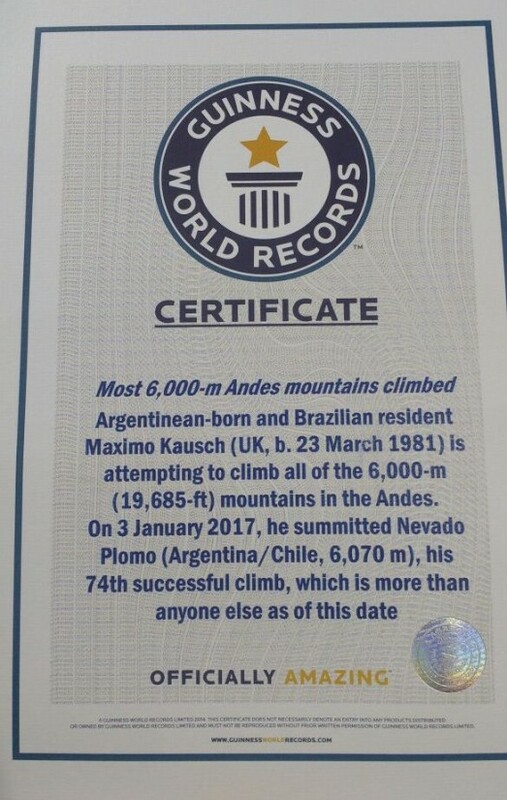 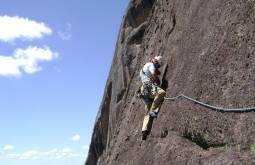 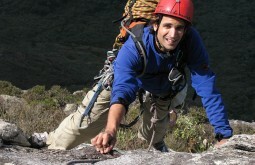 Pedro is now one of the most experienced climbers in South America. 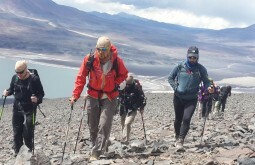 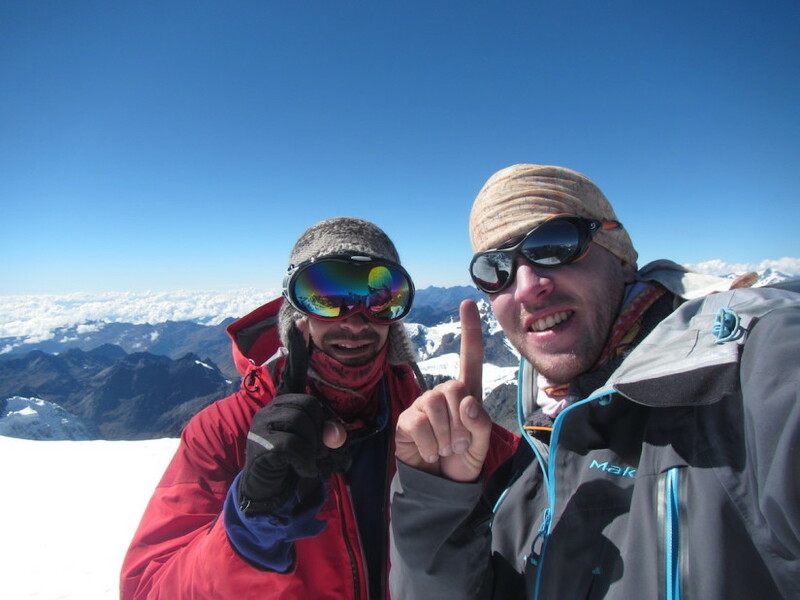 At the Andes alone, Pedro has climbed 39 x 6000 metre peaks! 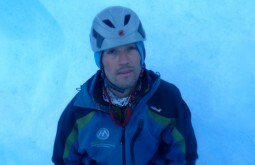 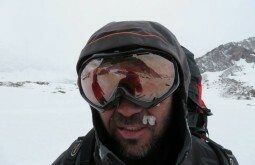 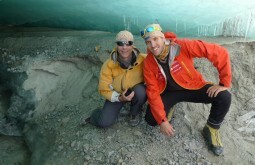 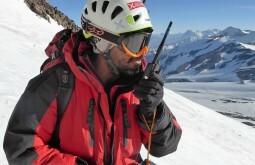 As expedition leader, Pedro has led several expeditions bringing safety and a lot of useful information to our clients. 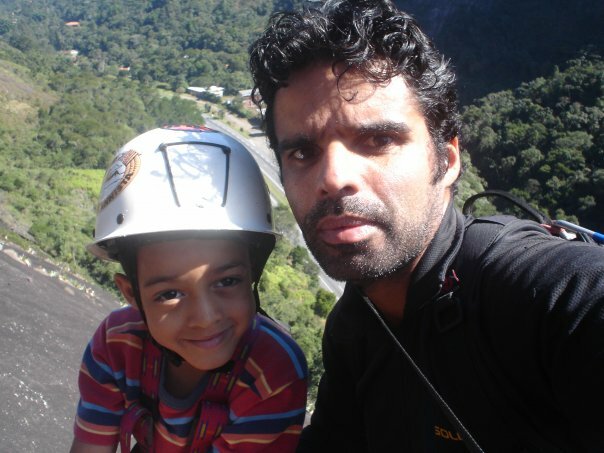 Pedro is extremely easy going and loves to teach! 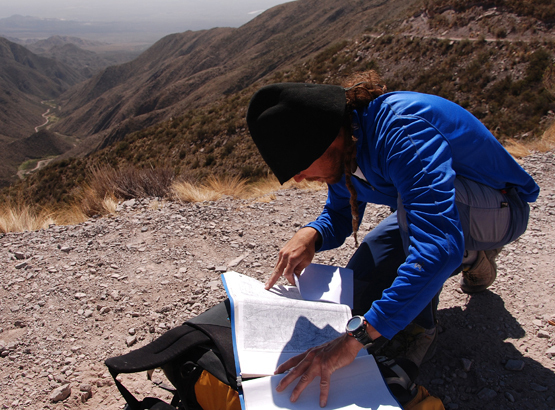 He is the kind of guy who is very happy on teaching anyone about geology and geography. 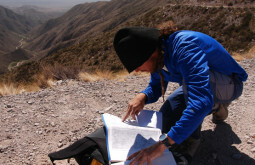 So during our expeditions, make sure you DON’T ask him about geology, otherwise, you might have to listen to a 2-day class. 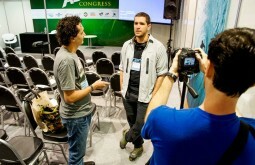 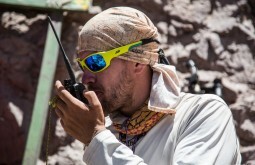 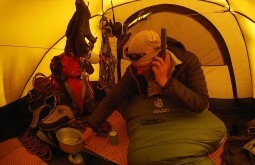 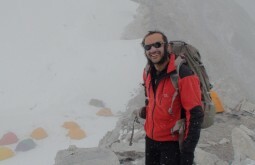 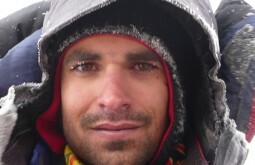 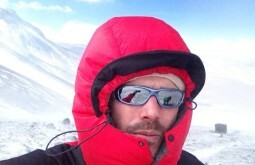 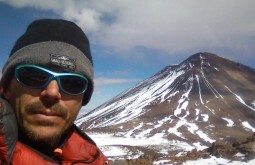 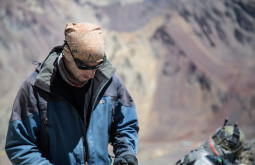 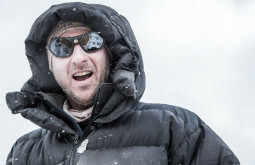 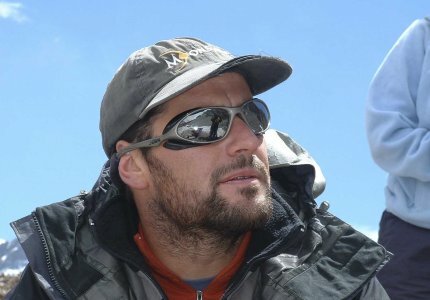 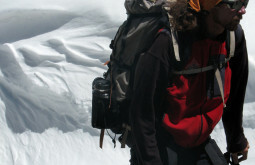 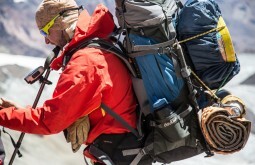 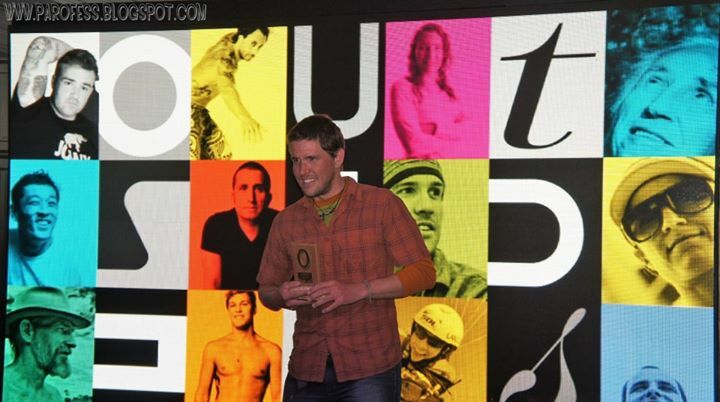 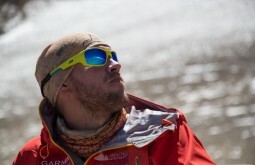 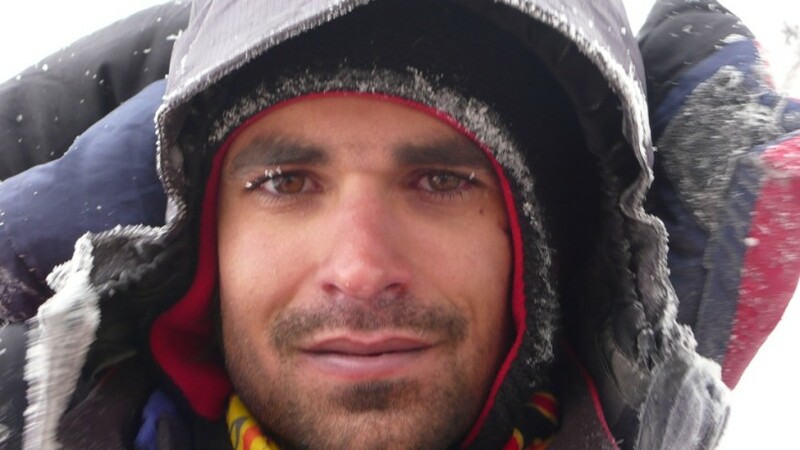 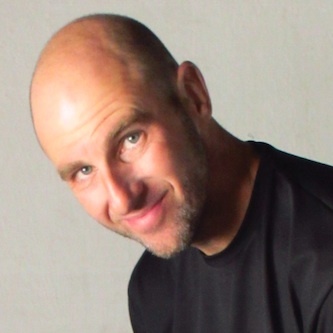 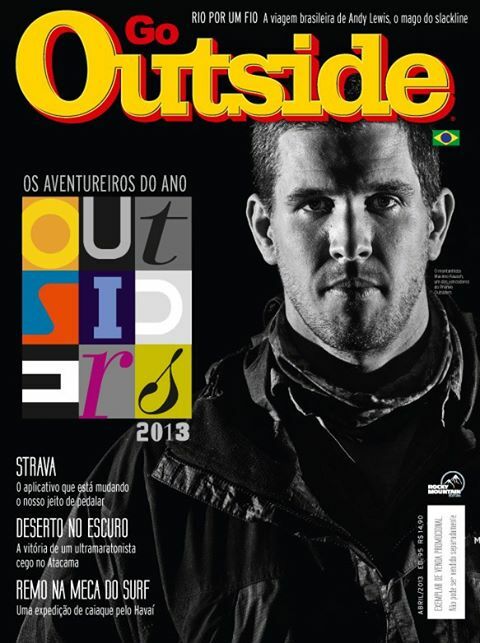 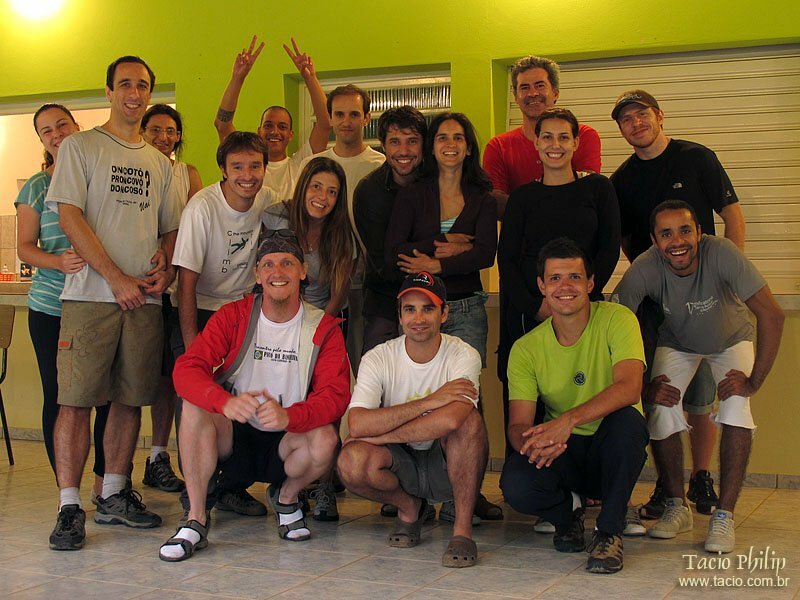 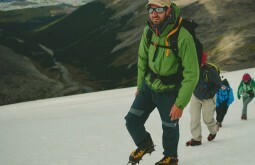 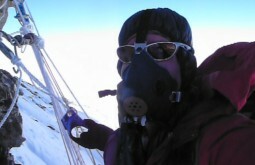 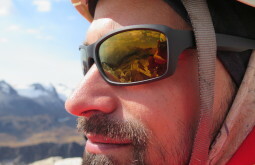 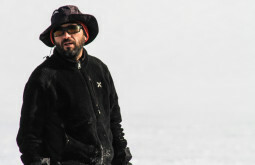 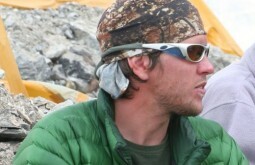 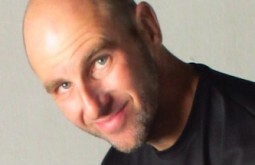 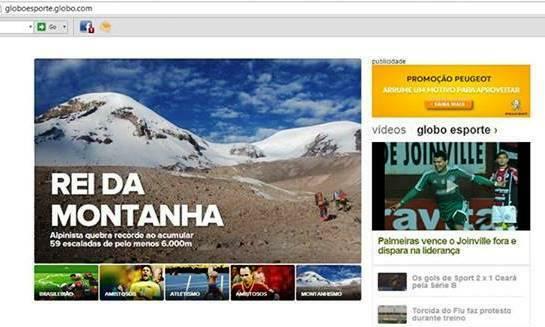 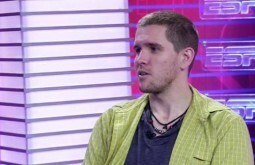 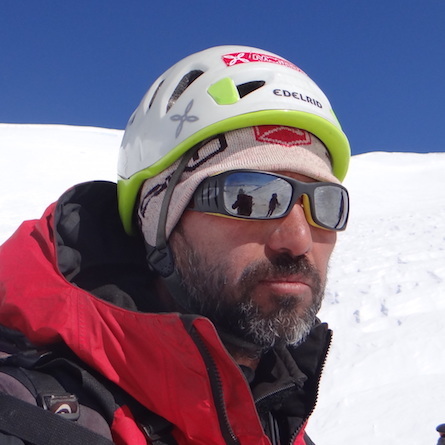 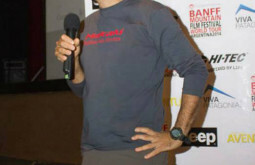 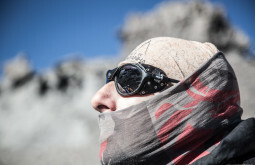 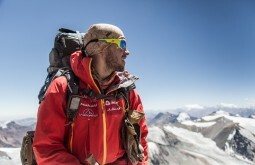 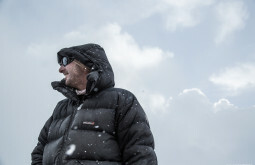 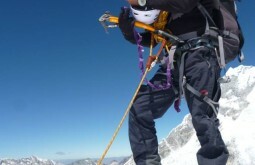 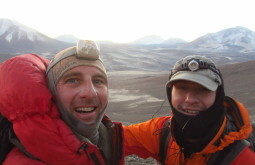 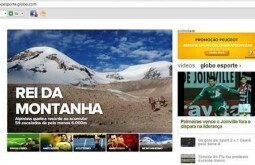 On his spare time, Pedro Hauck runs the largest news website in Brazil (http://AltaMontanha.com) and wrote many useful articles about dozens of mountaineering topics. 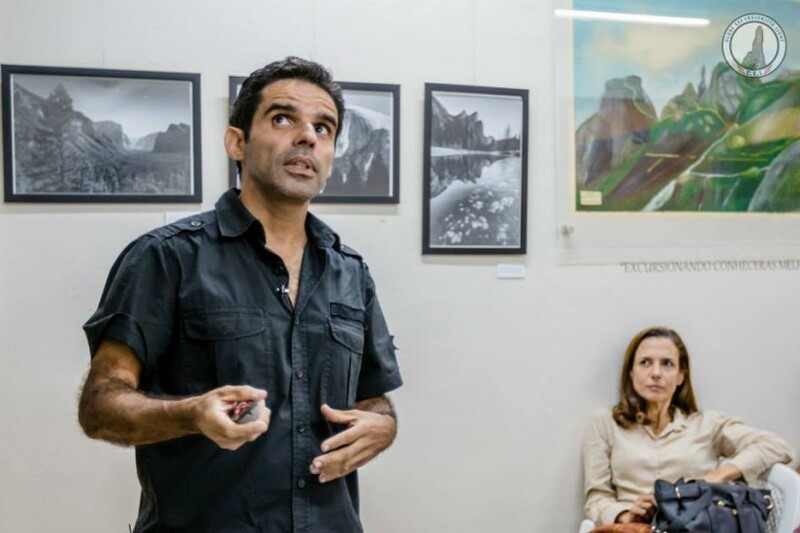 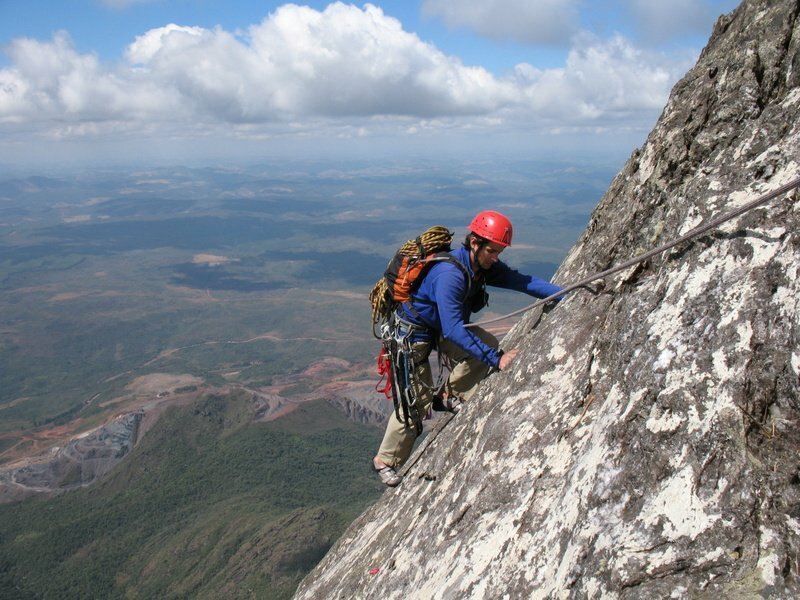 Voluntarily participated in the organization of Brazilian mountaineering and has served as director of the Brazilian Mountaineering Confederation. 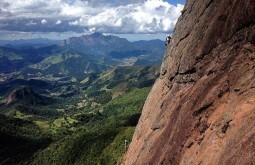 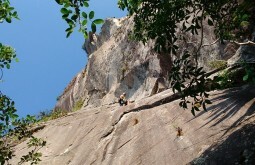 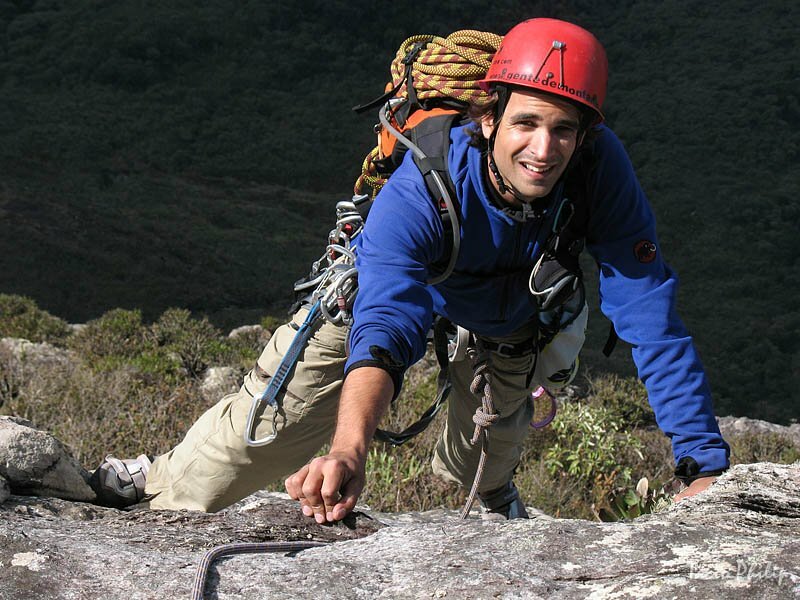 For 6 years, he fought against access prohibitions in several Brazilian climbing areas. 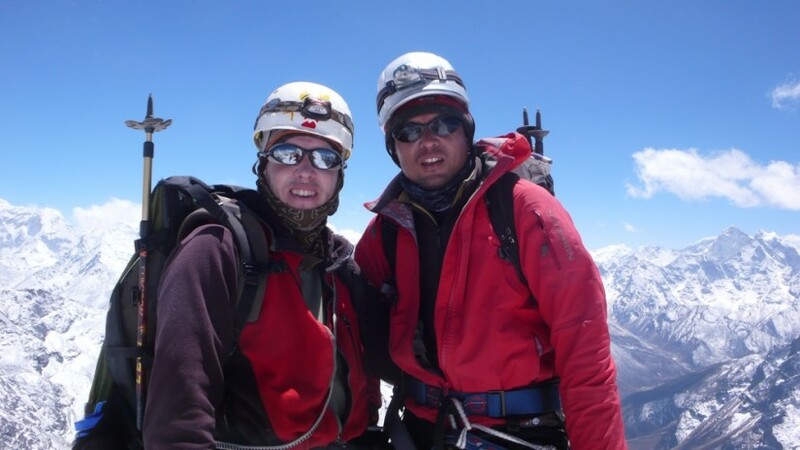 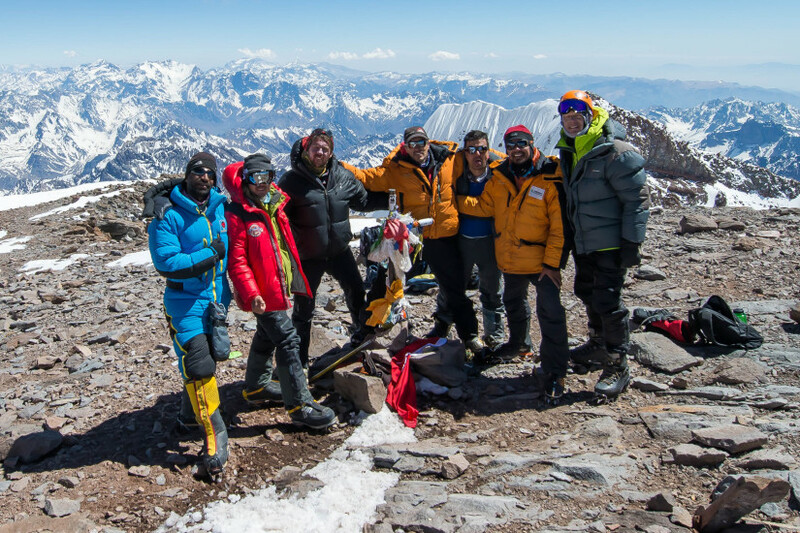 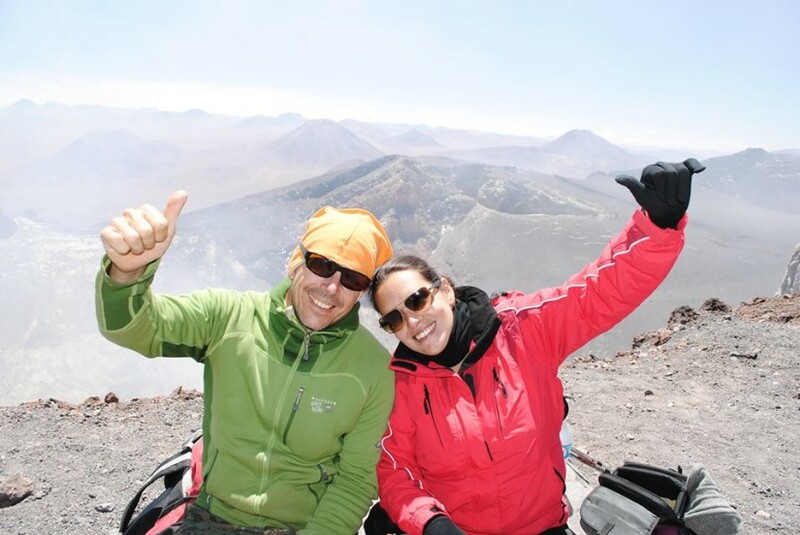 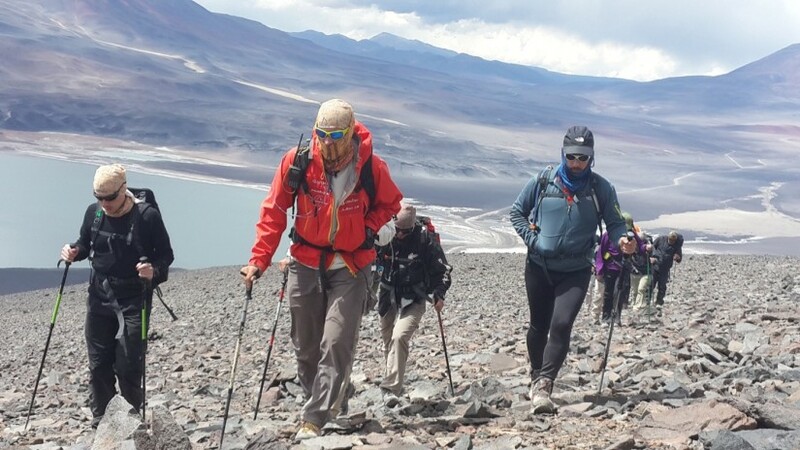 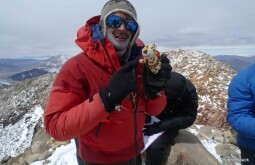 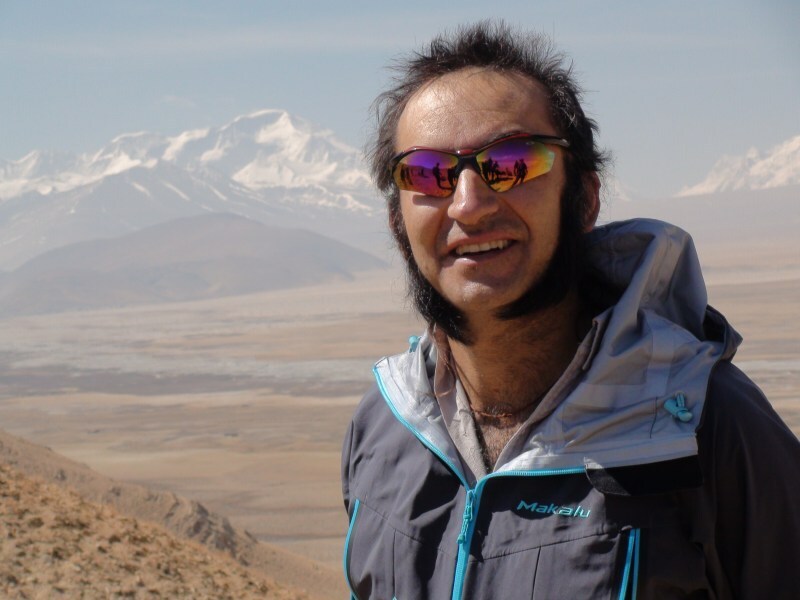 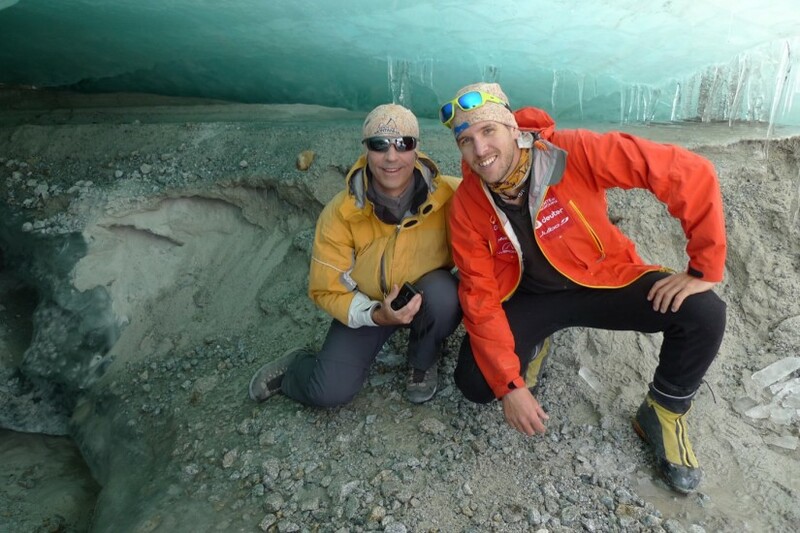 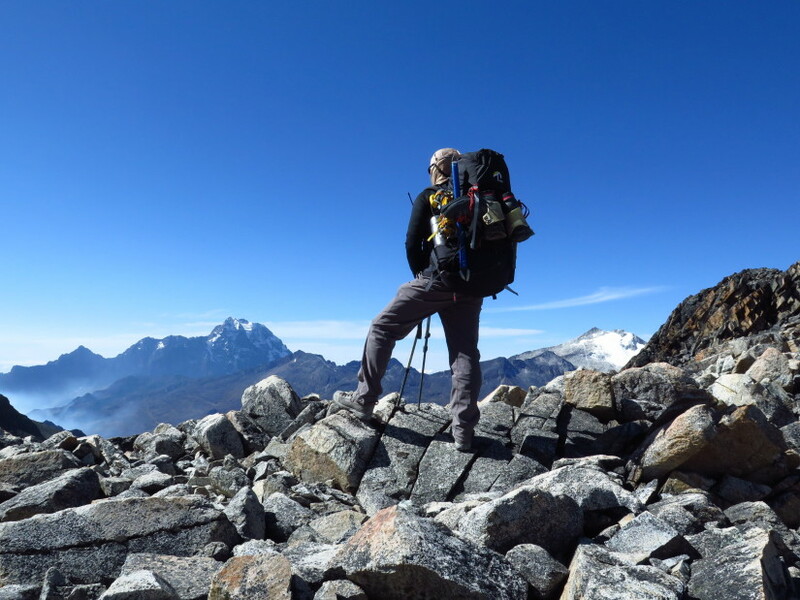 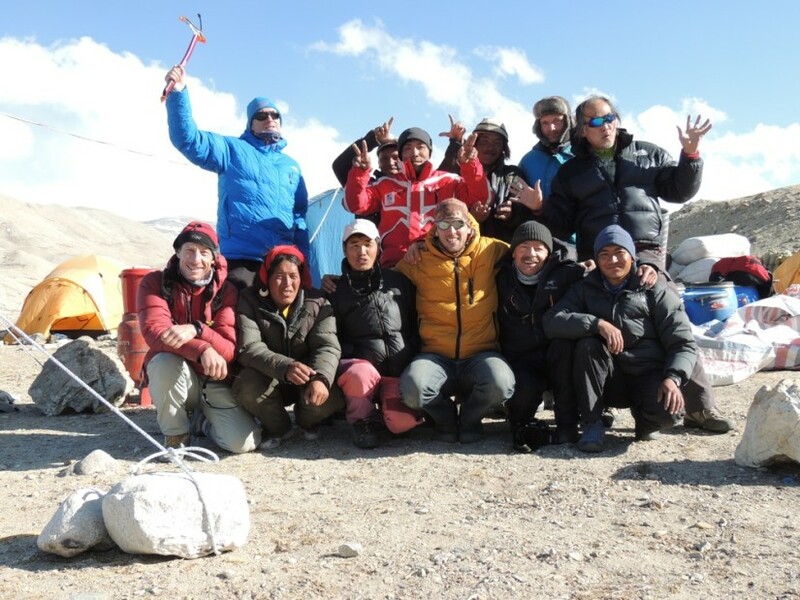 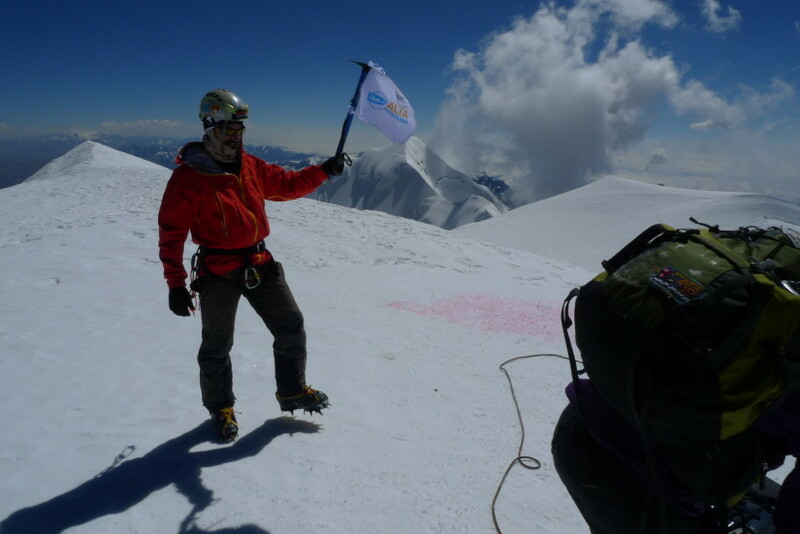 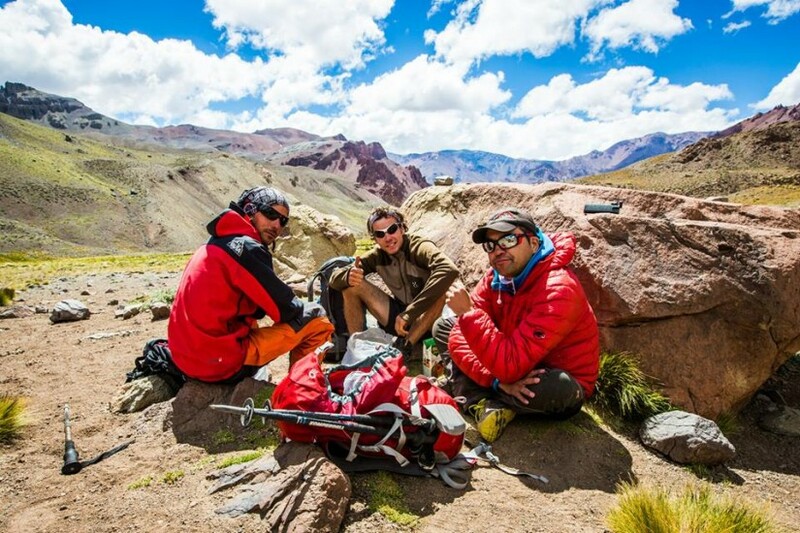 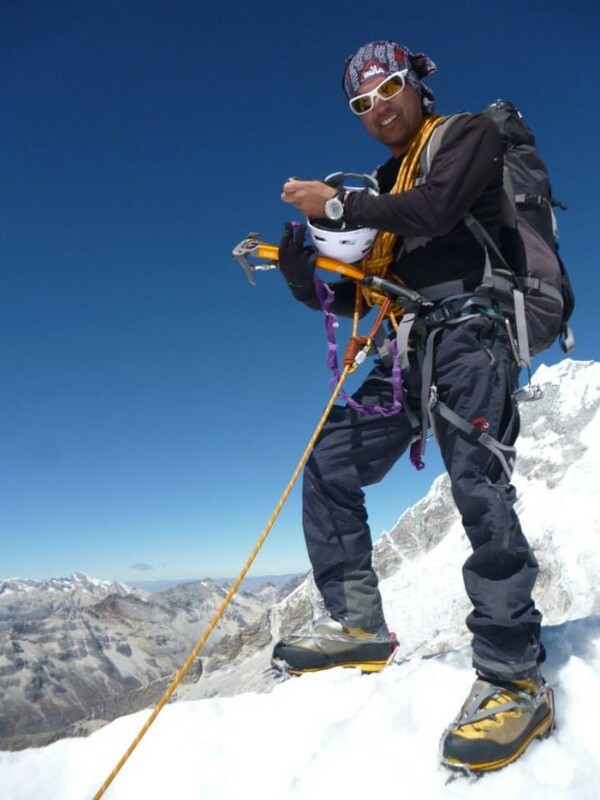 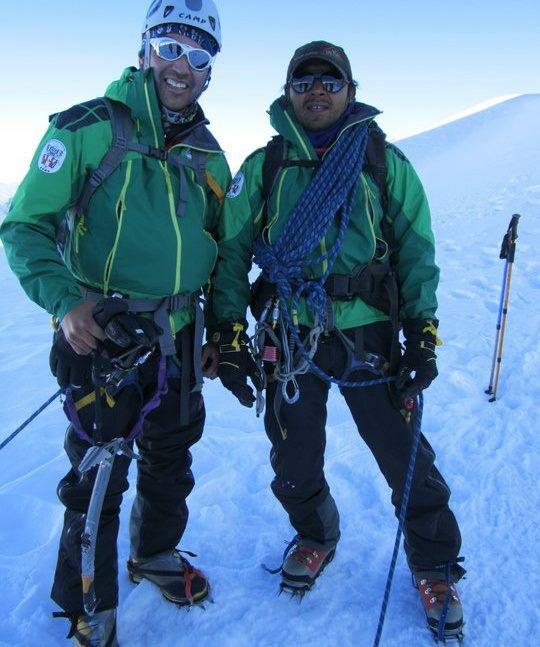 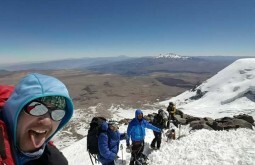 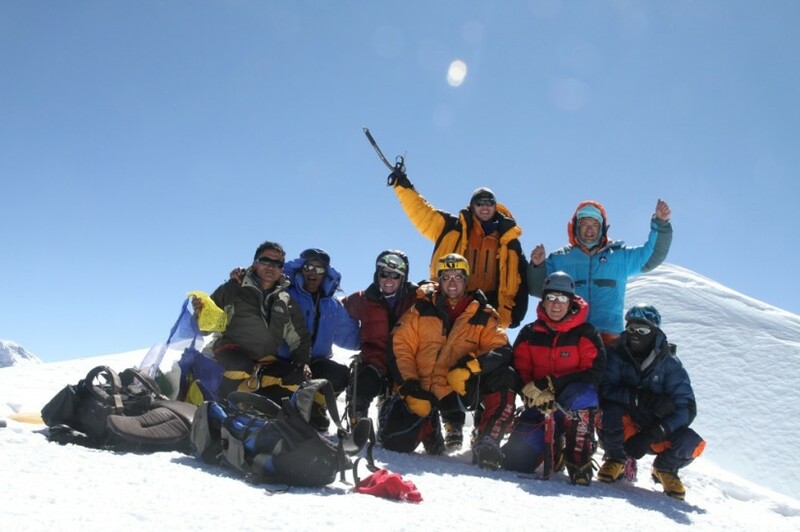 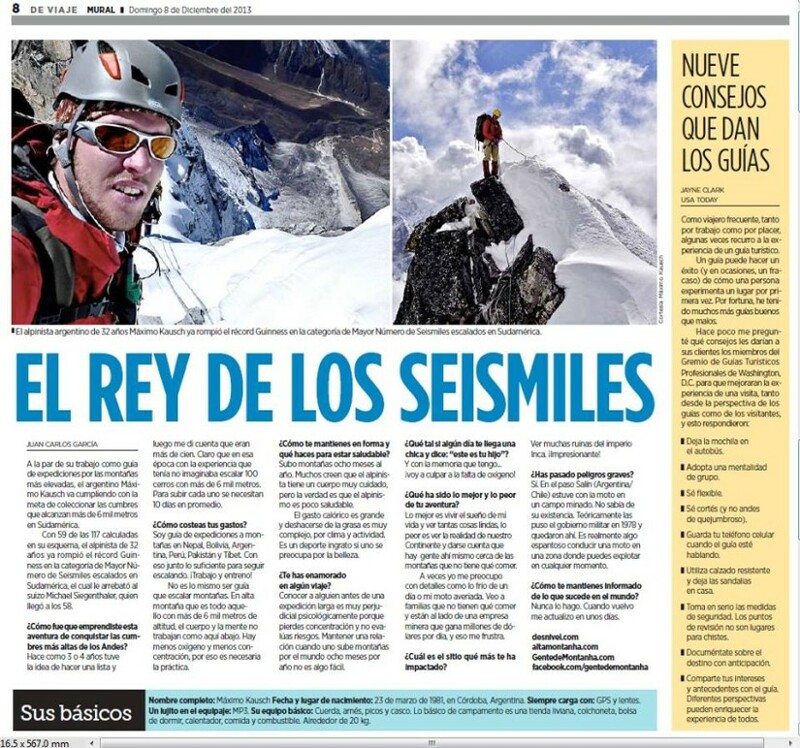 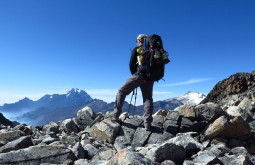 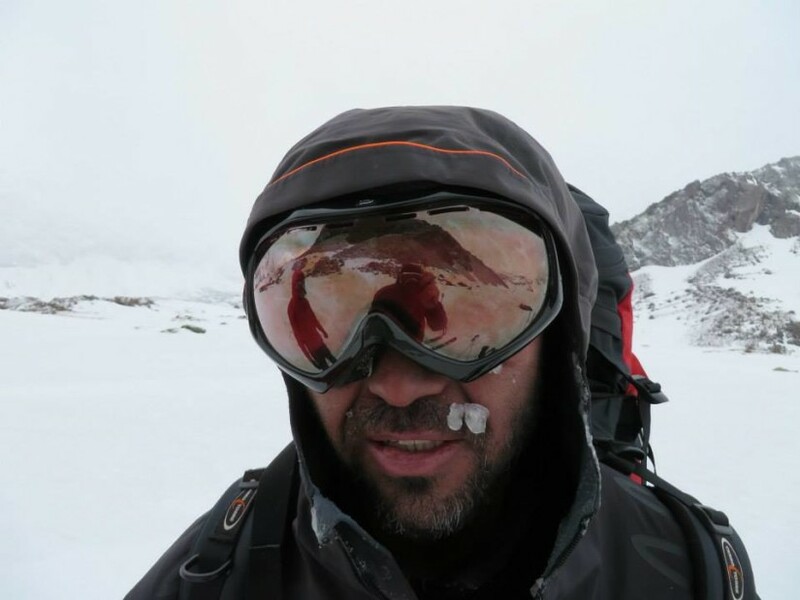 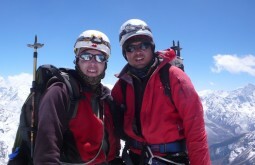 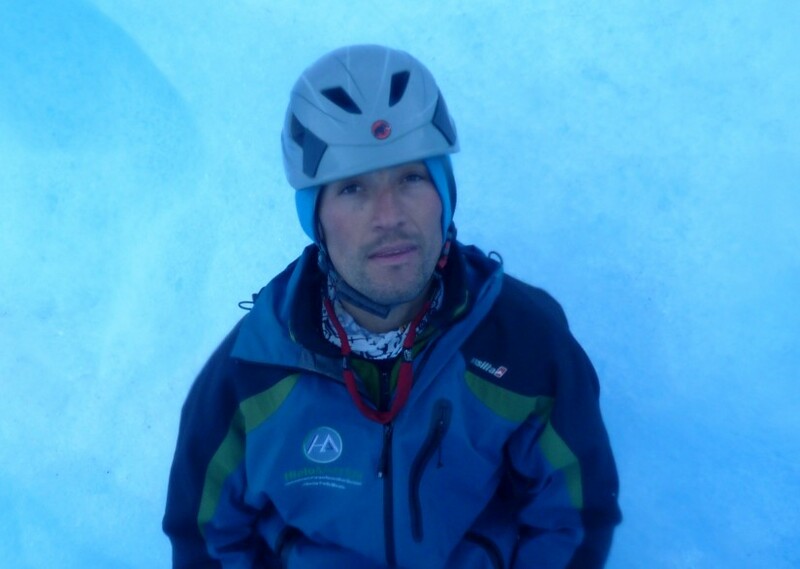 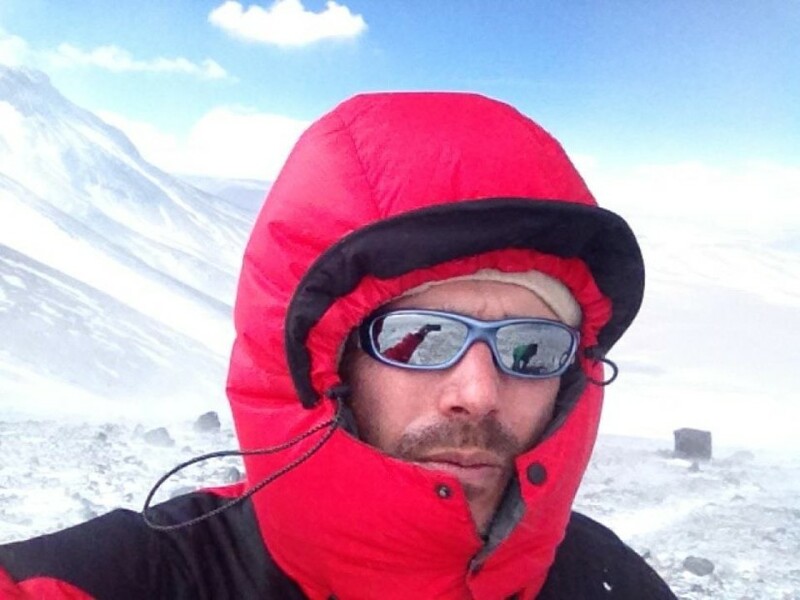 In September 2014 Pedro has climbed all the 14 Bolivian 6000 metre peaks in 4 weeks! 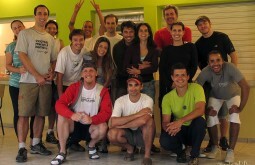 Pedro completed the project without any support or assistance. 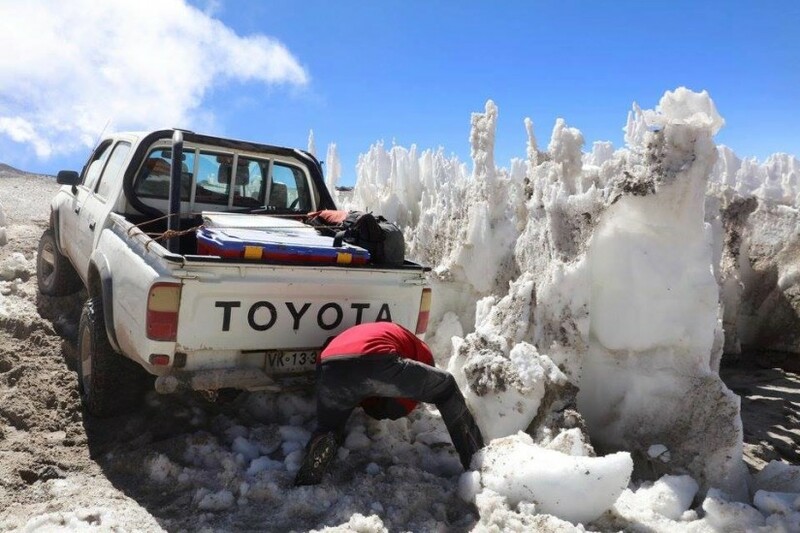 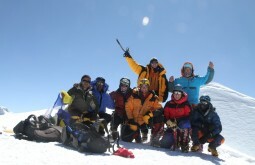 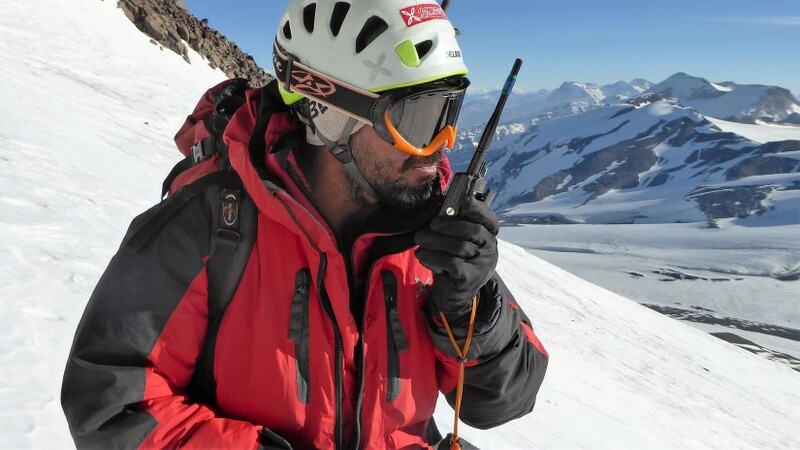 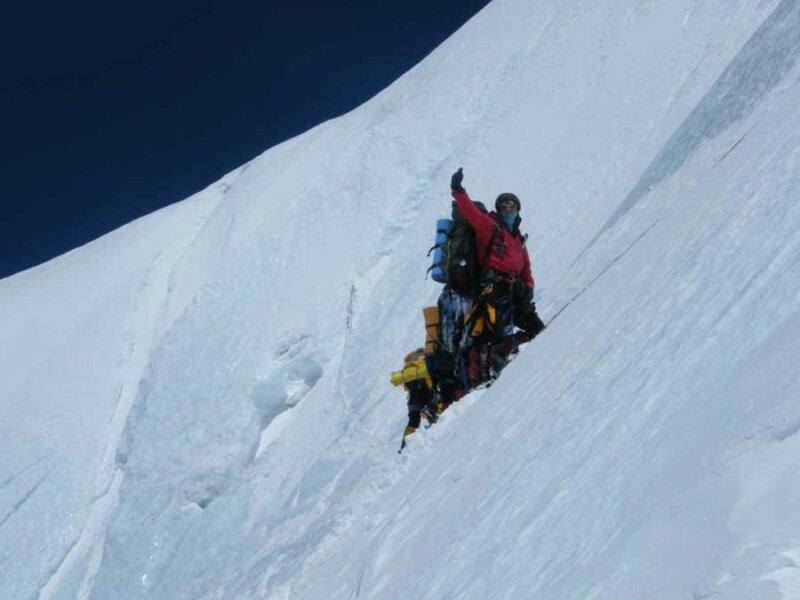 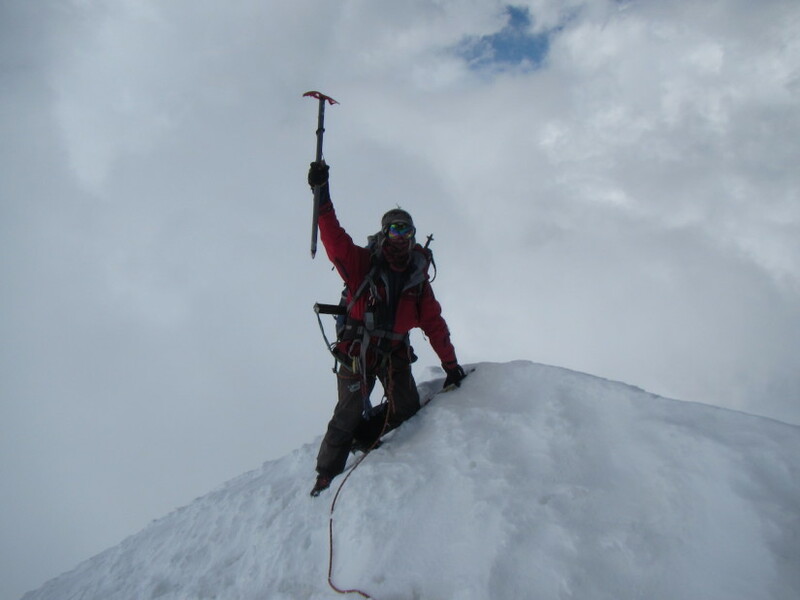 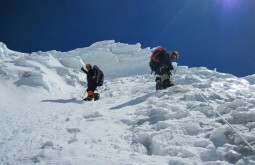 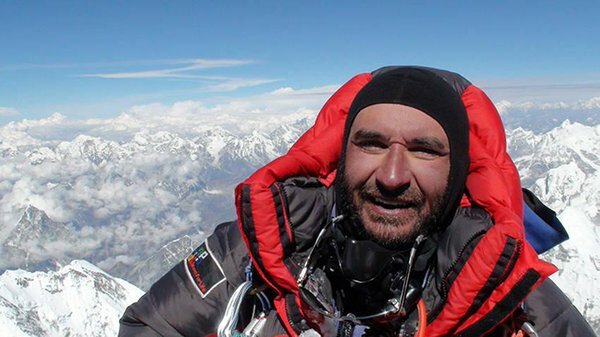 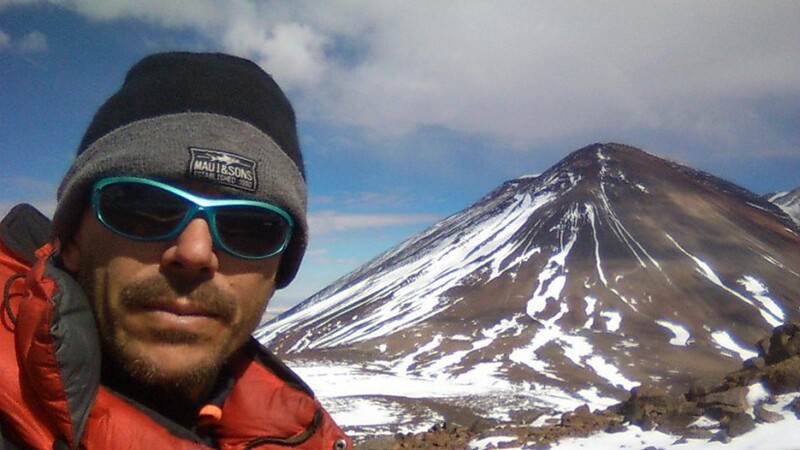 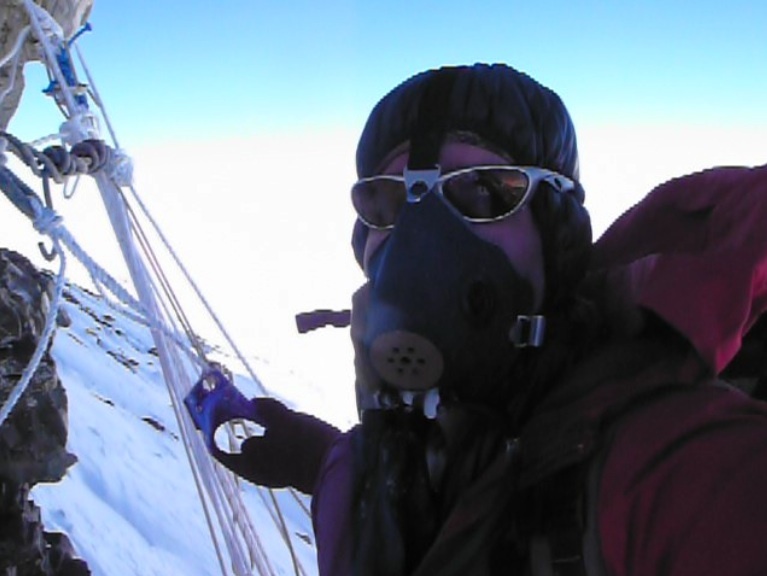 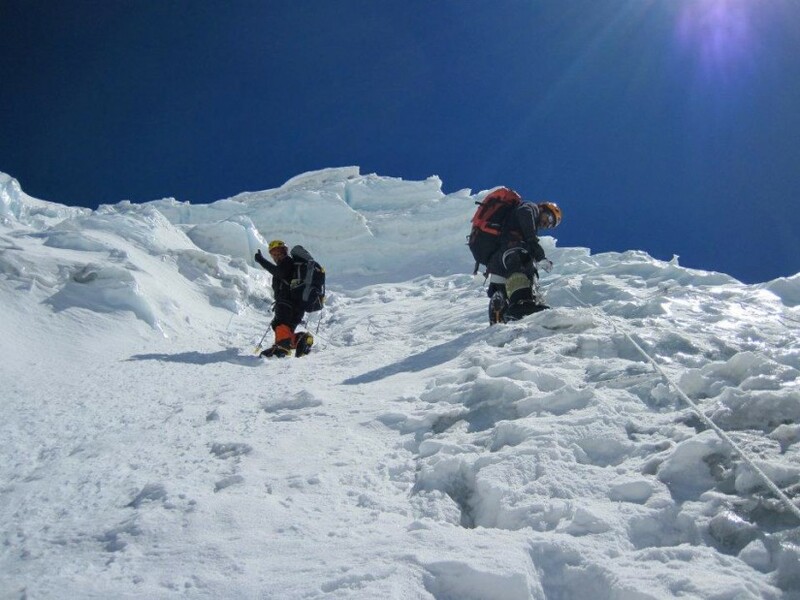 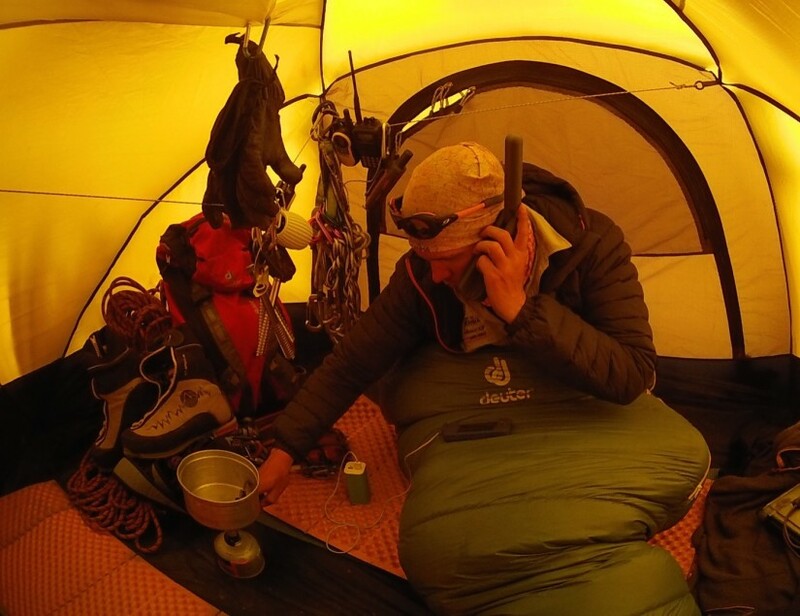 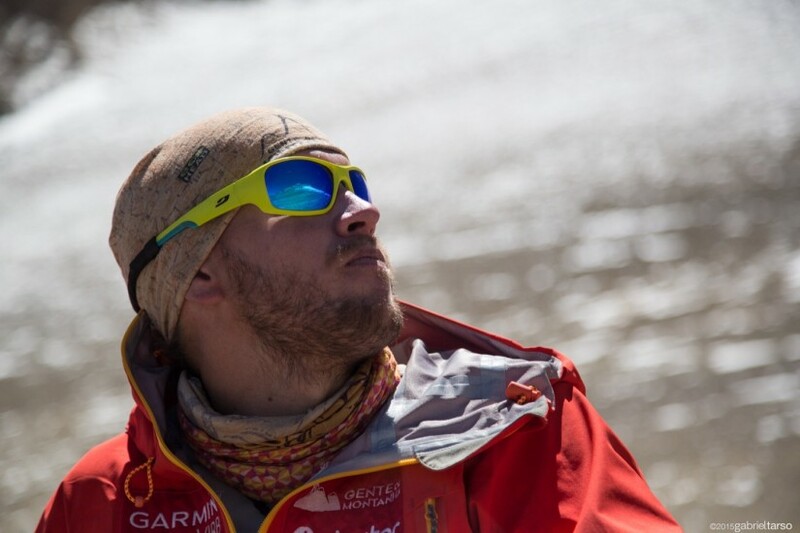 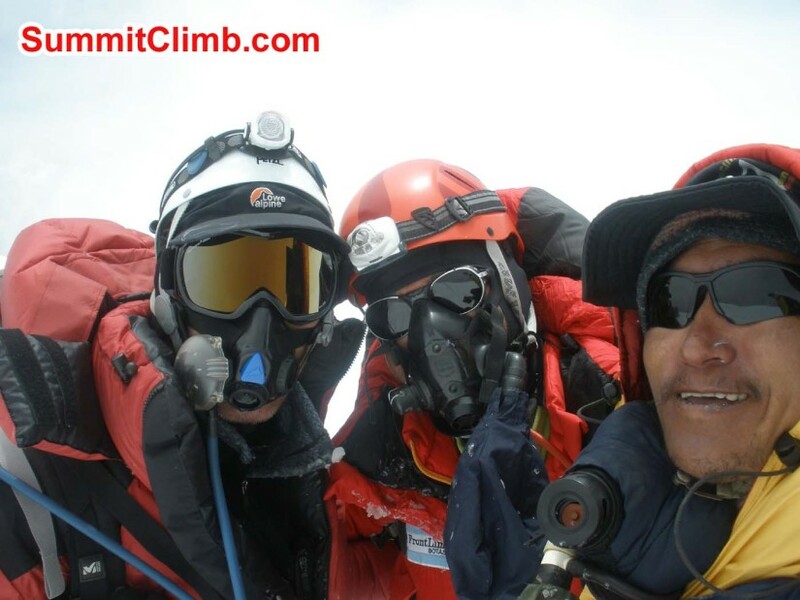 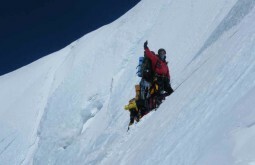 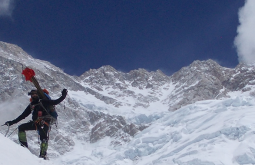 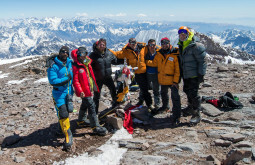 Currently, Pedro has reached the top of 36 x 6000 metre summits as well as other 55 high altitude climbs. 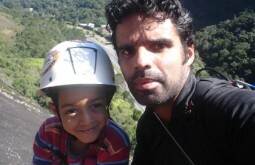 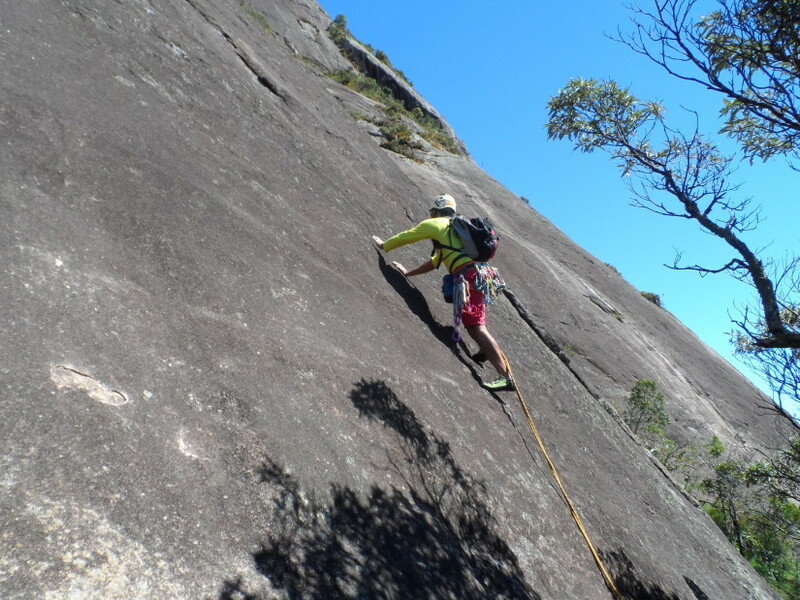 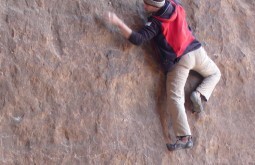 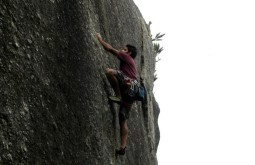 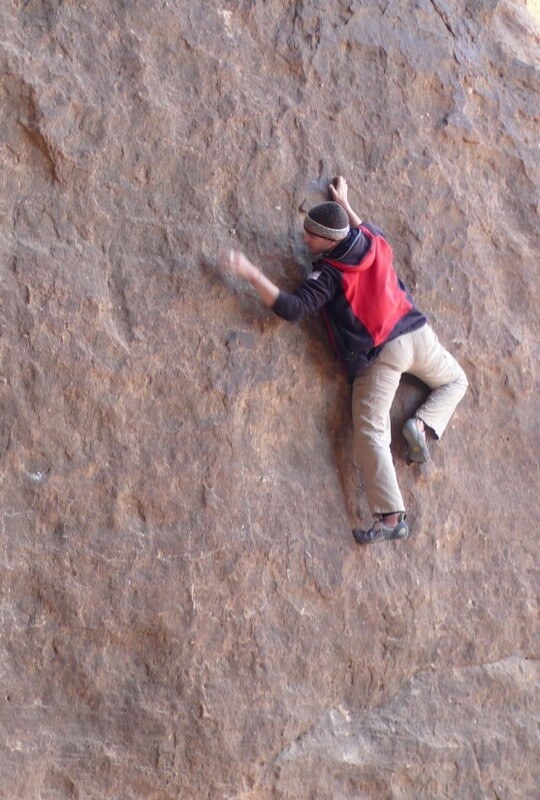 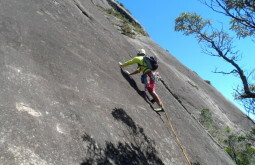 A very experienced rock climber, Pedro has extensive knowledge in bouldering, sports climbing, trad and aid climbing. 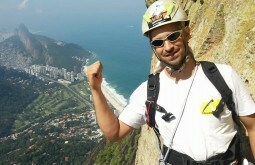 He has been to at least 80 rock climbing areas in South America. 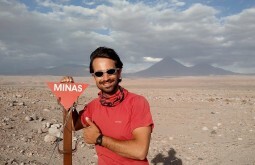 Chilean leader Mario Sepulveda Palma is our Atacama specialist. 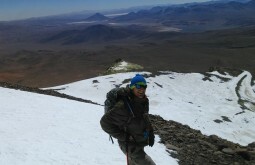 He is currently the person with the most ascents to Ojos del Salado - world’s largest volcano - with over 60 ascents. 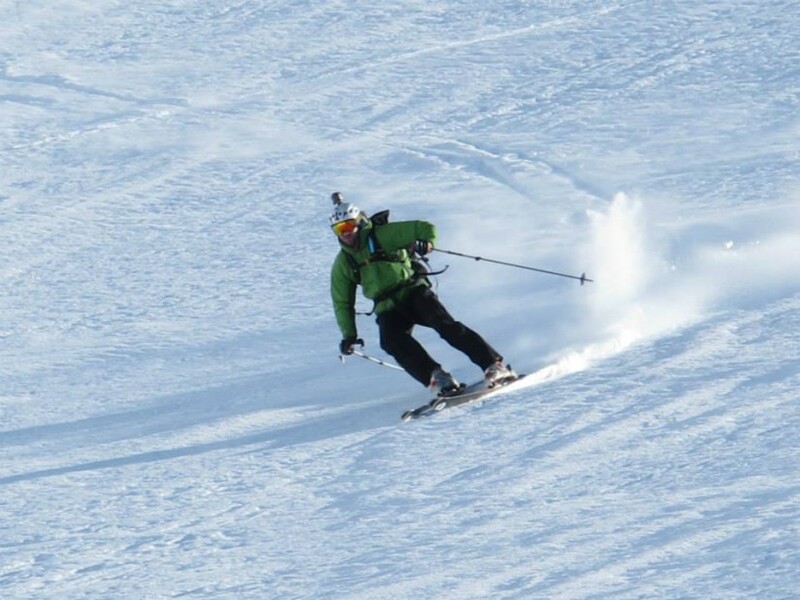 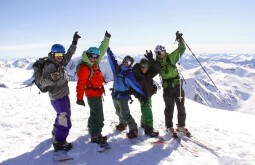 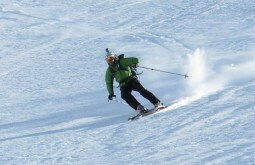 Mario is an excellent skier and competed in world championships as ski touring athlete. 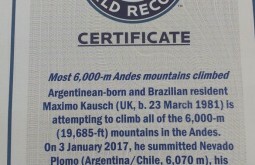 He also represented Chile in many competitions in other South American countries. 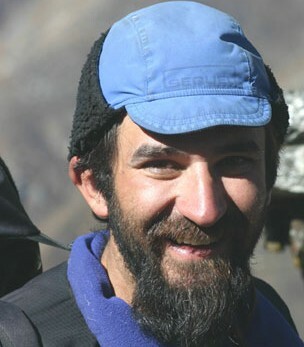 Mario started guiding in 2001. Since then he led expeditions in most of the Andes specially at the dry Atacama Andes. 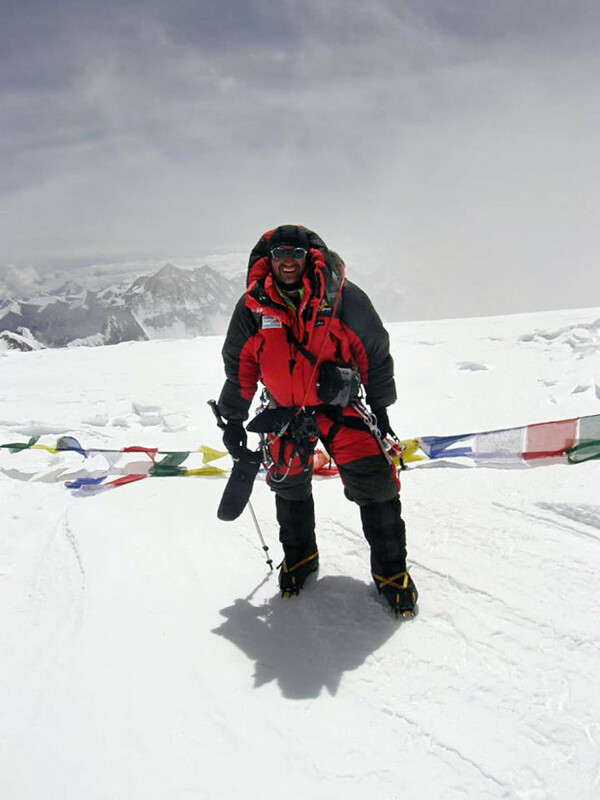 He has some pretty amazing accomplishments including an expedition to Kangchenjunga (8598m in Nepal) with no oxygen and no sherpas. Mario is certainly the guy you want to have around when you climb anything at the Atacama. 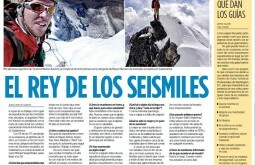 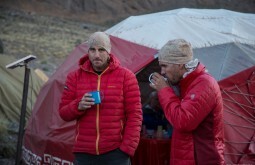 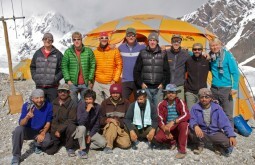 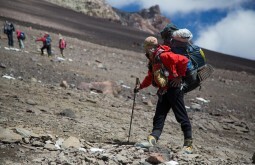 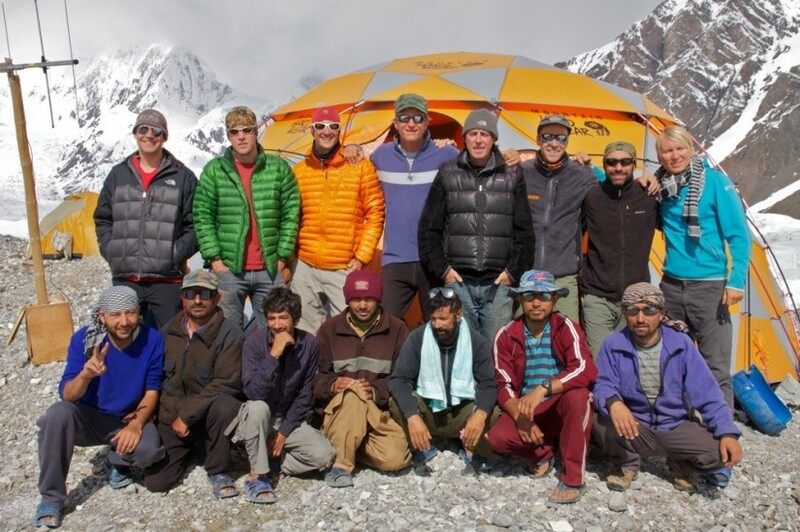 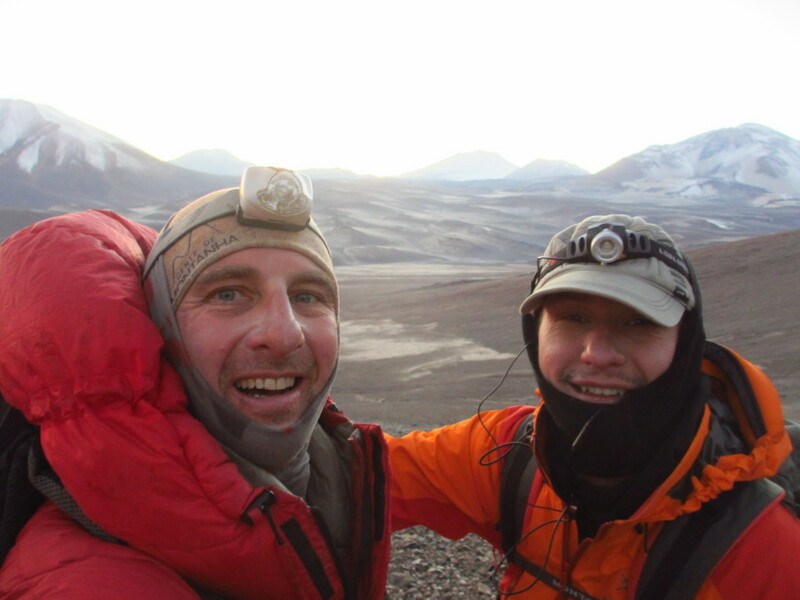 Nearly everyone who went to Aconcagua has heard of Andy Jones. 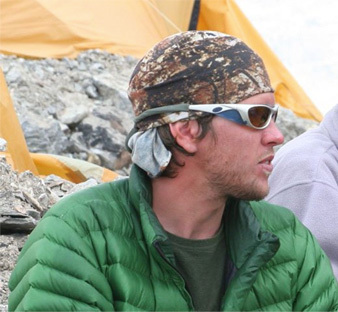 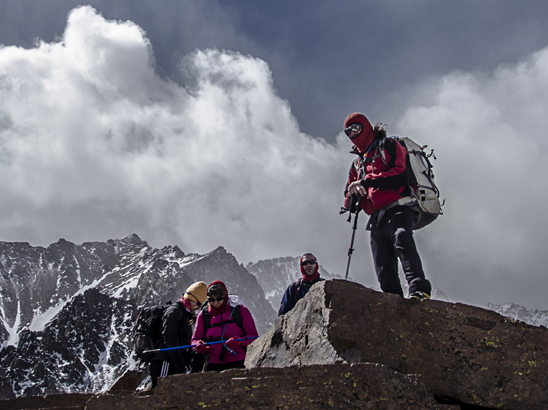 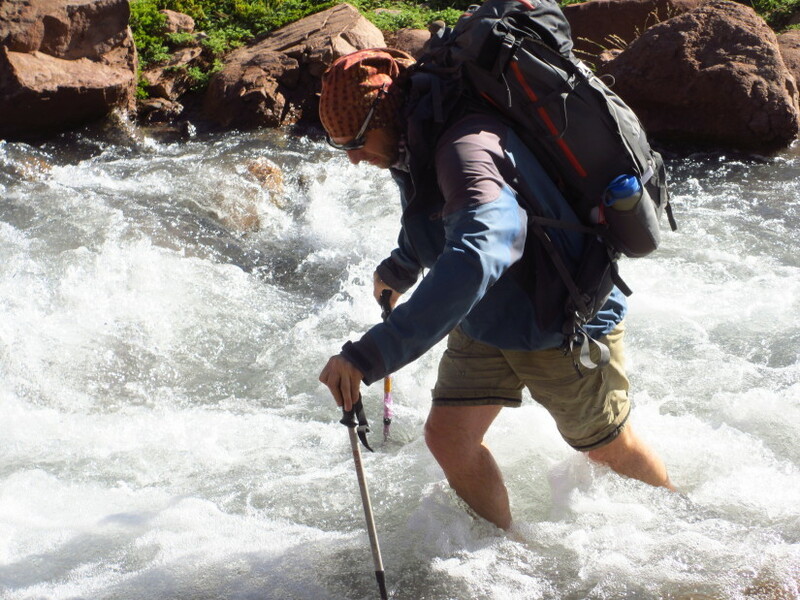 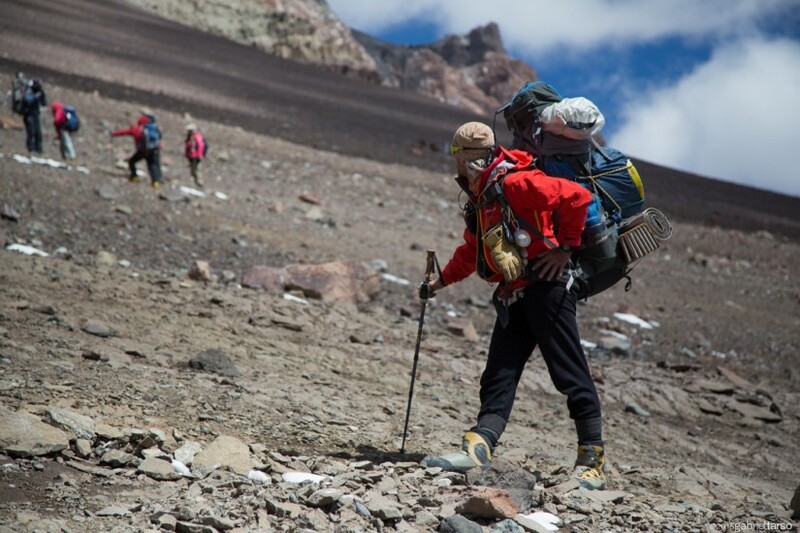 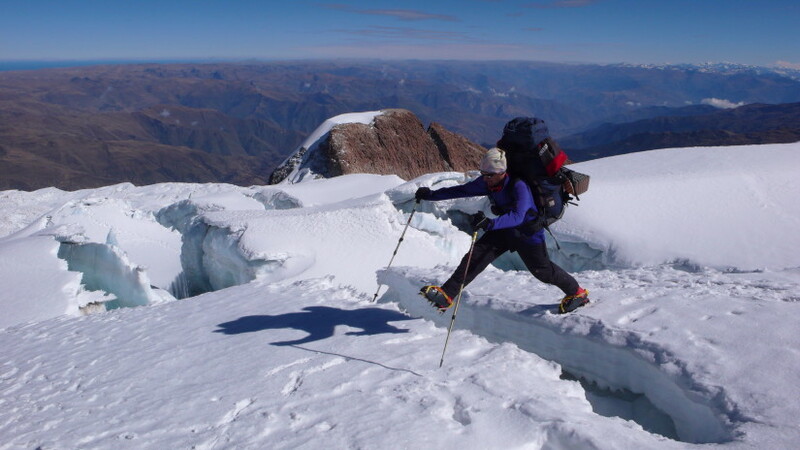 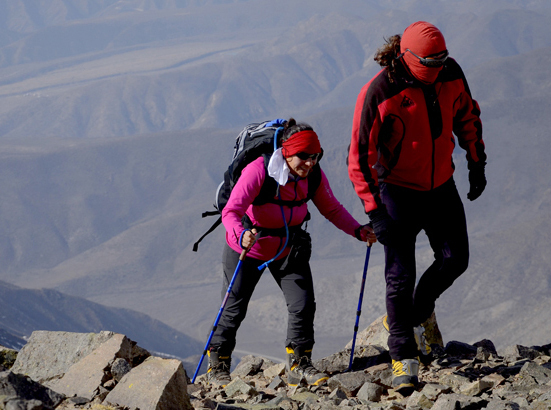 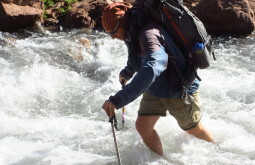 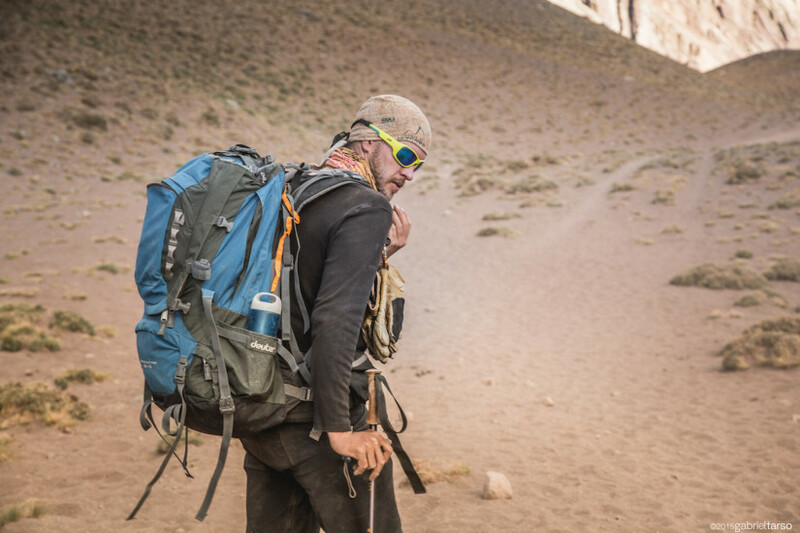 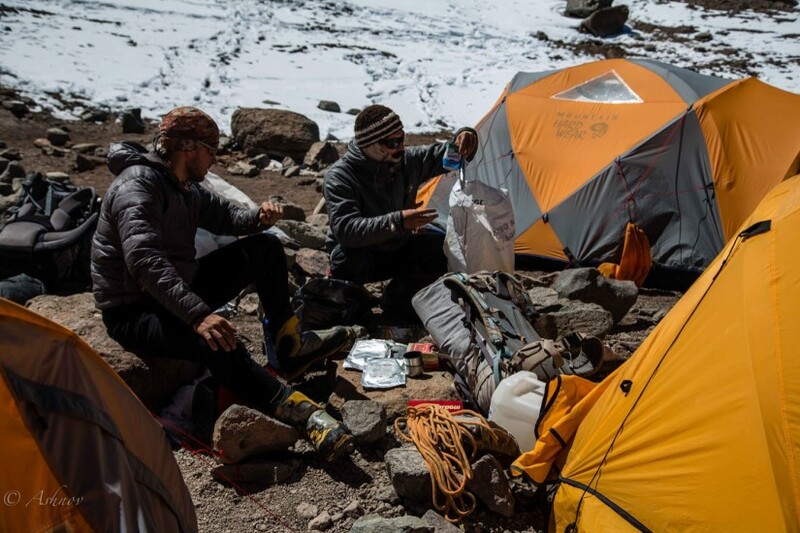 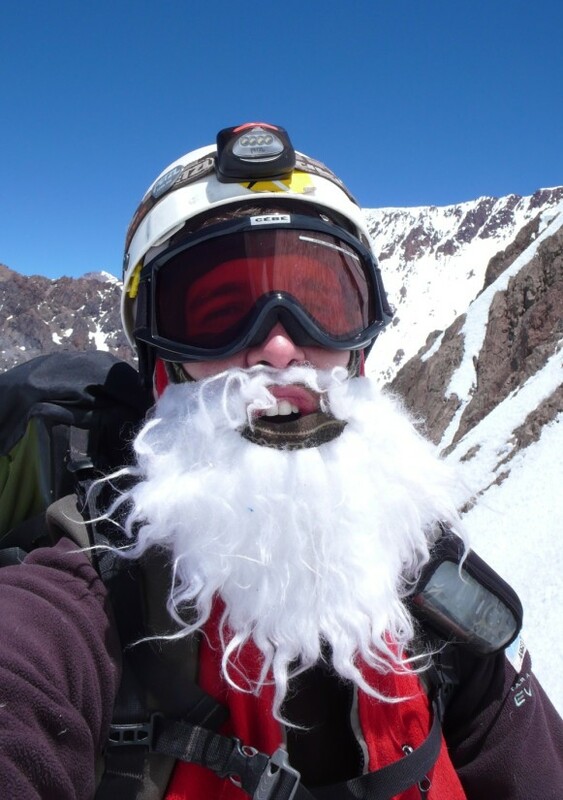 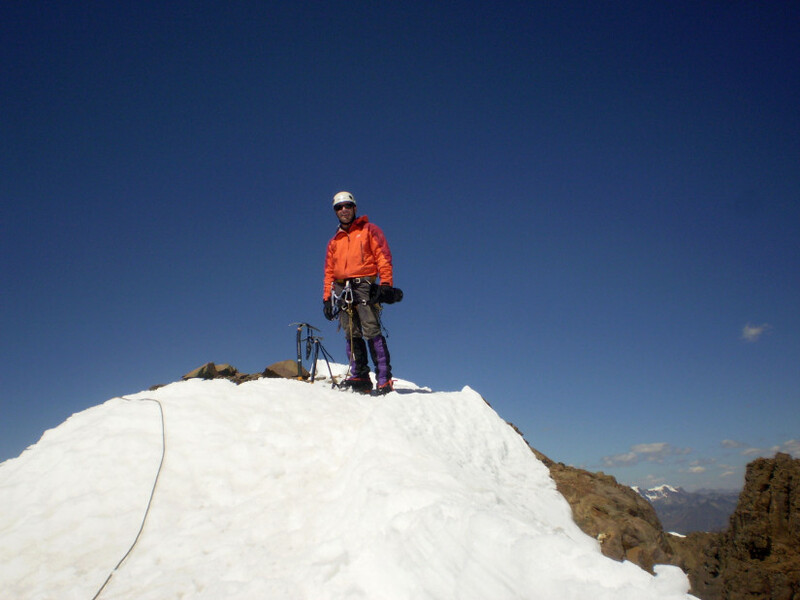 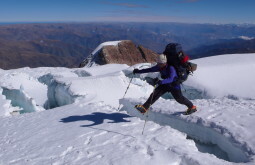 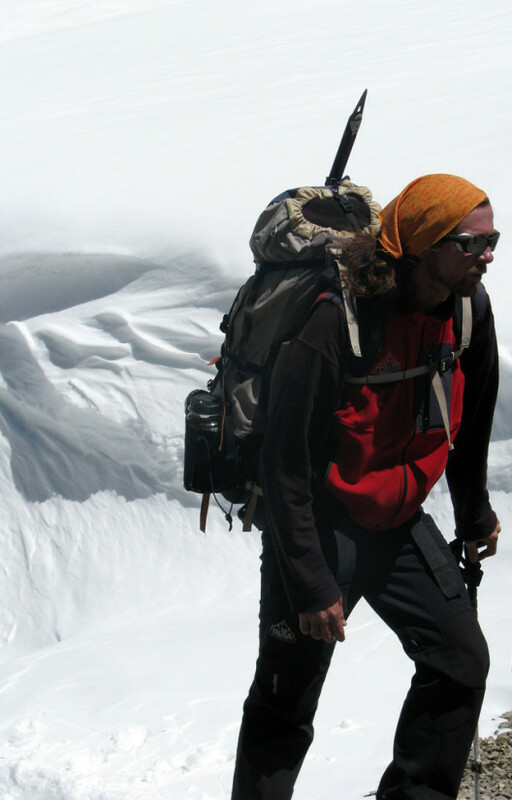 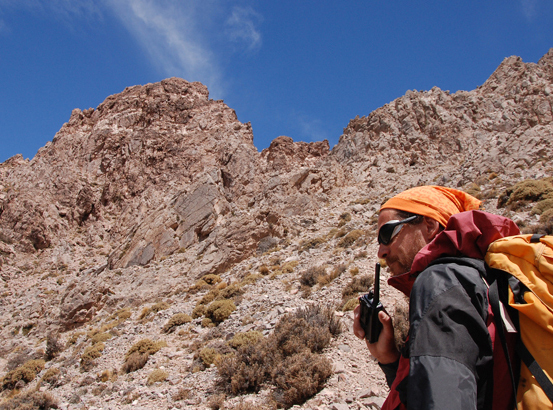 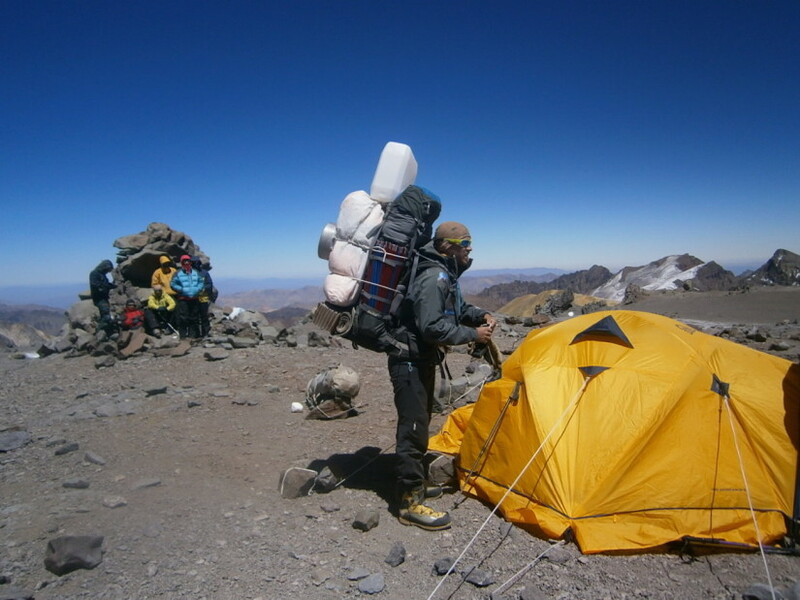 He's one of the most accomplished guides in the region and has summited Aconcagua 44 times! 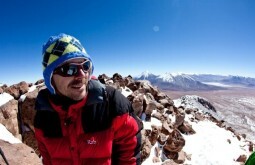 Andy was born in Rosario, Argentina's capital of the pampas (flatlands). 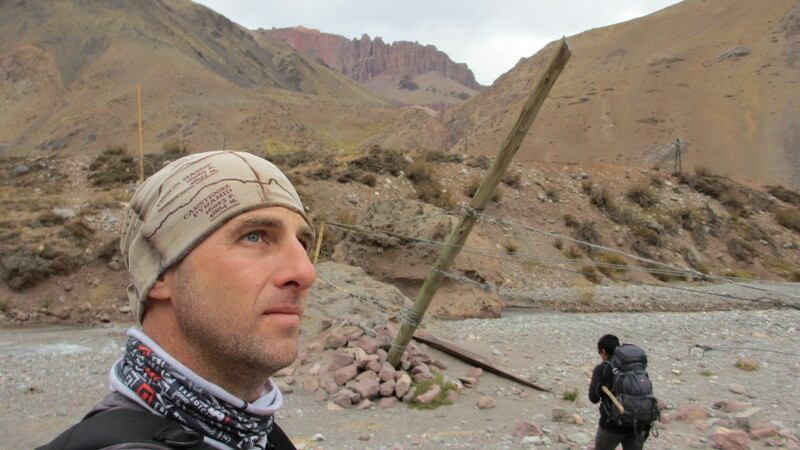 During his early career, he worked as a physical educator (a job he's still very proud to keep), but eventually moved to Mendoza and lives there for the last 26 years. 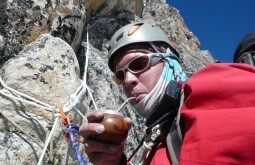 Andy Jones has climbed every sort of Andean mountain since he started climbing in the early 90s. 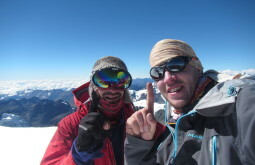 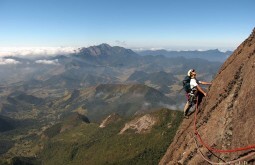 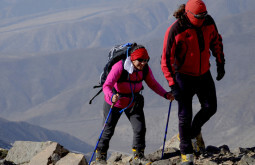 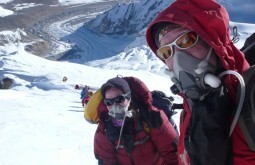 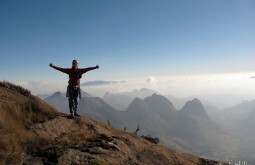 He also climbed several high peaks including the highest in Peru, Bolivia, Chile, and Argentina. 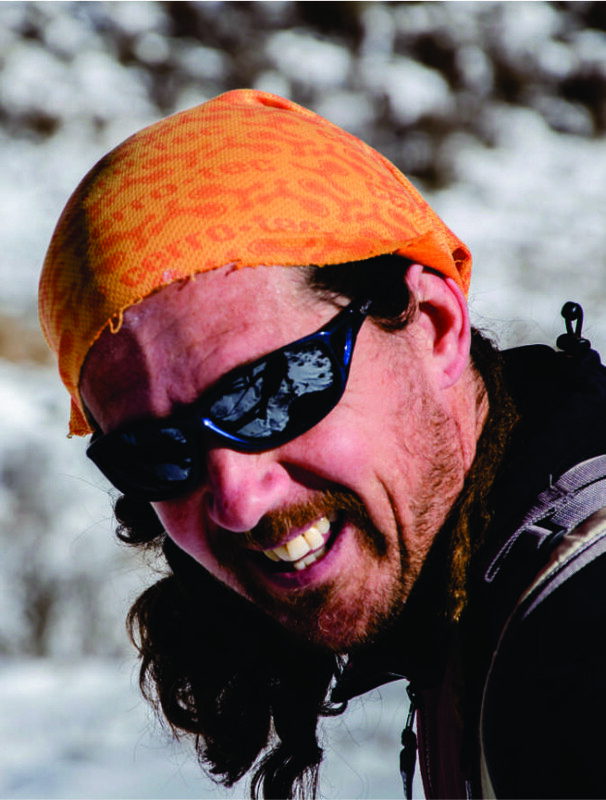 The well-known Andy Jones is an extremely relaxed and easy going person. 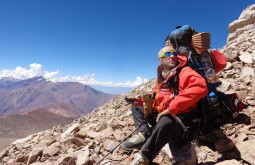 All this patience probably led him to conquer the reputation of being one of the most successful guides in Argentina with one of the highest summit ratios in the country. 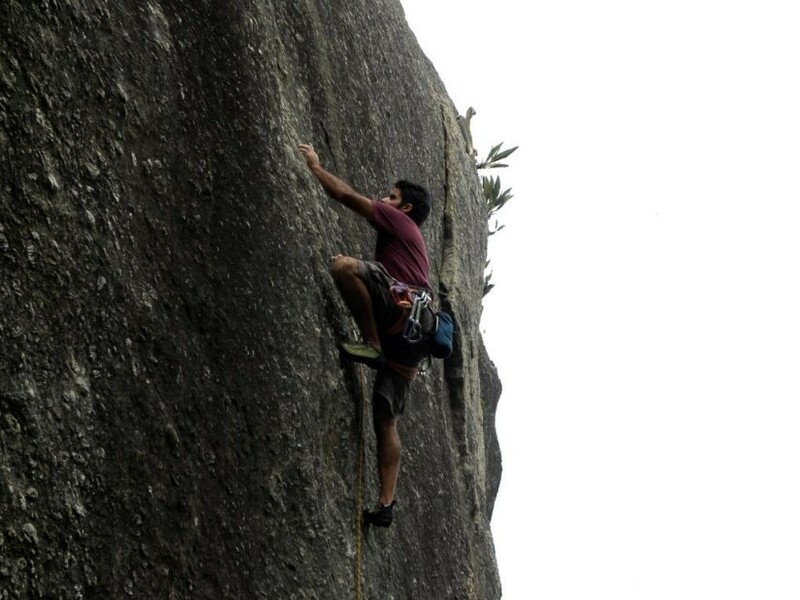 Andy is definitely the guy who you want to have around if just started climbing high mountains. 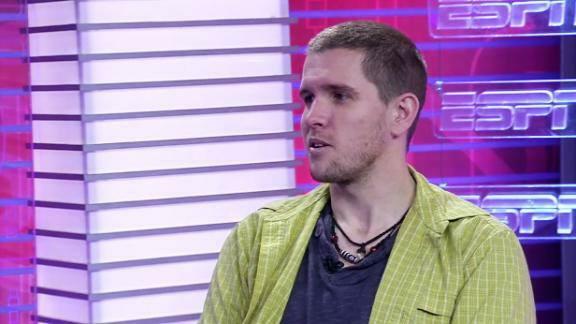 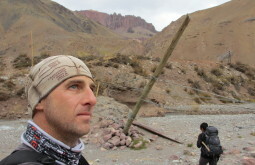 Christian Fernández originally comes from Argentina but settled in Chile in 1998 in order to live and work closer to the Andes. 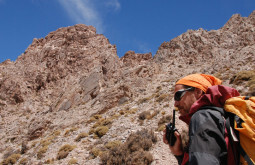 He now lives in San Pedro de Atacama, the heart of the dry Andes and base for many of our expeditions. 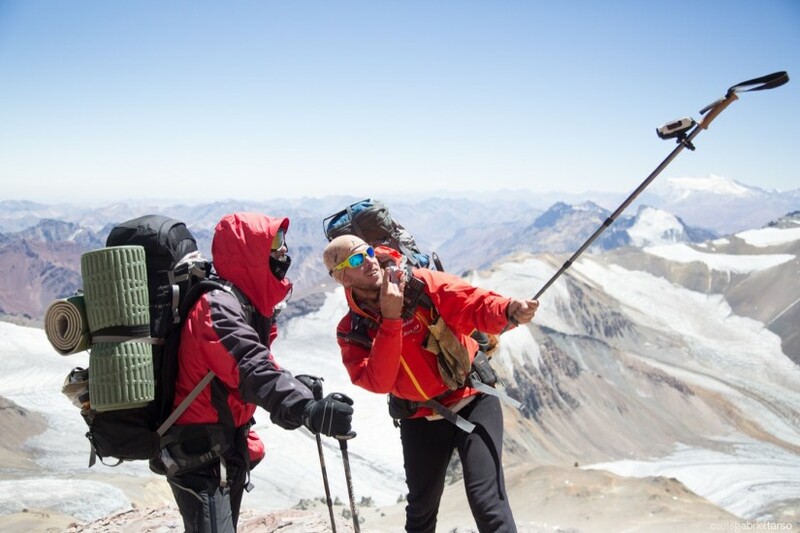 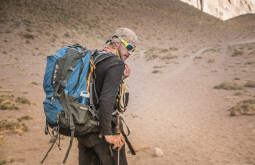 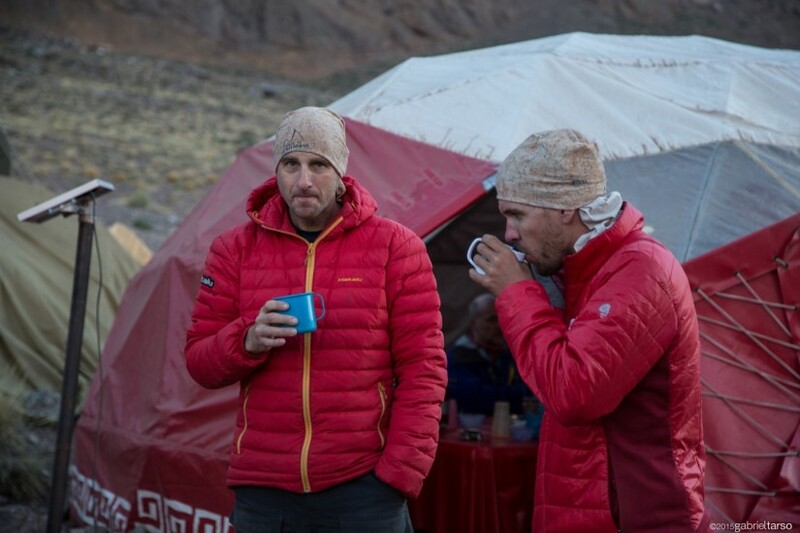 He currently runs mountain expeditions on weekly basis and has over 300 high altitude ascents in the Andes including over 25 peaks above 6000 metres. 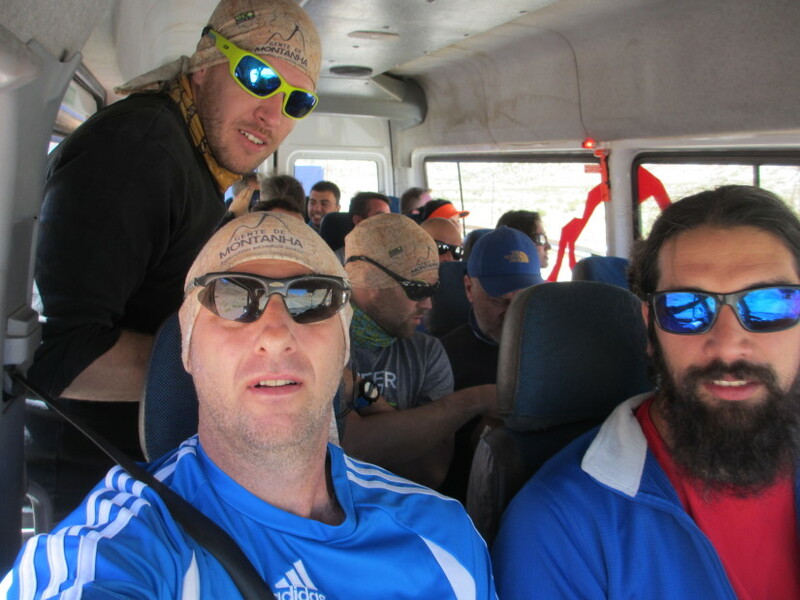 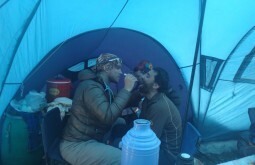 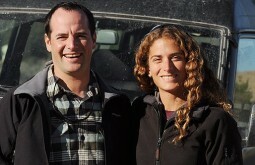 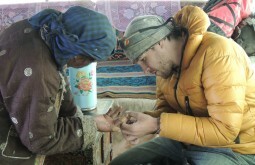 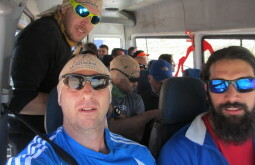 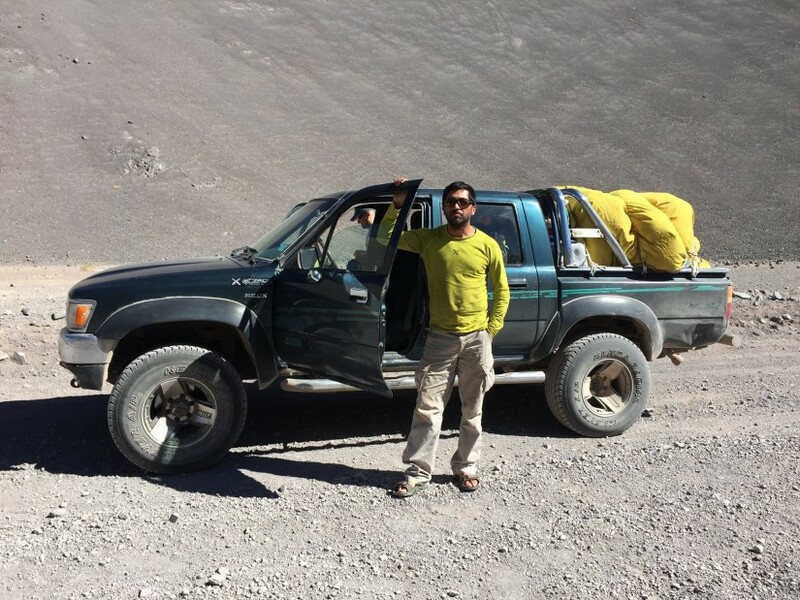 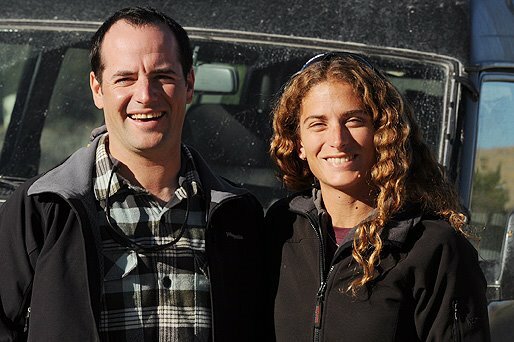 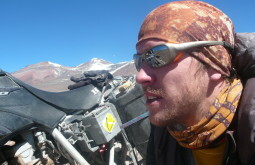 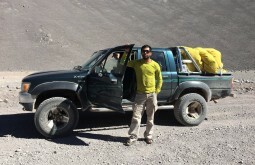 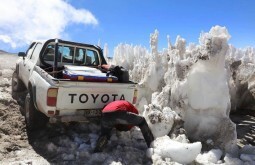 Christian has excellent driving and logistic skills, essential requirements for safe expeditions at the Atacama desert. 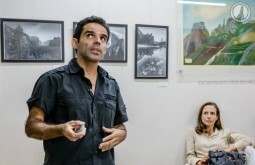 Eduardo Tonetti was born in São Paulo - Brazil and was in the advertising business for 15 years. 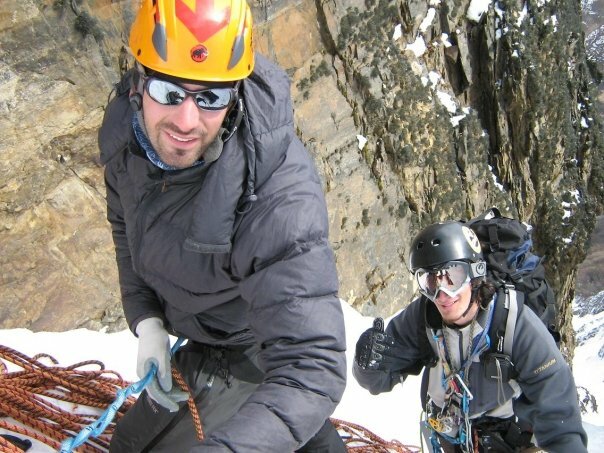 In 2010 he decided to quit his career and guide for living. 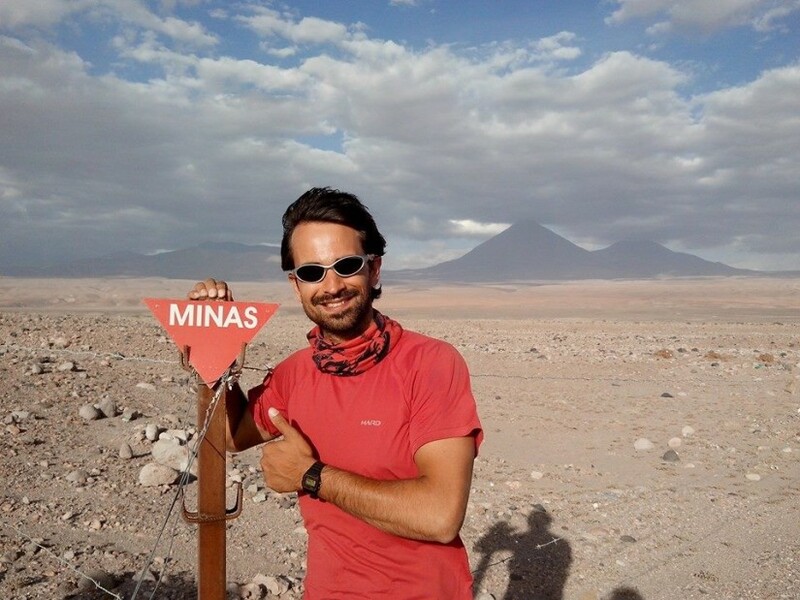 After 4 years of studies, Edu has graduated at EPGAMT Guiding School in Mendoza. 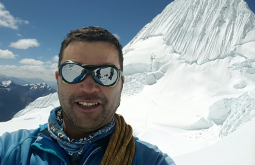 He is now a professional mountain guide and a WFR trained rescuer, licensed to guide in Aconcagua among many other Andean peaks. 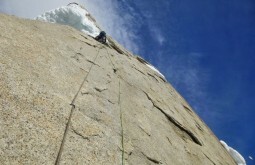 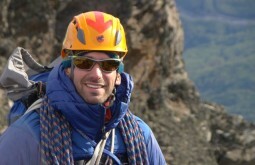 Edu has been a rock climber for 13 years and has extensive experience in several rock climbing areas. 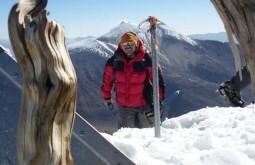 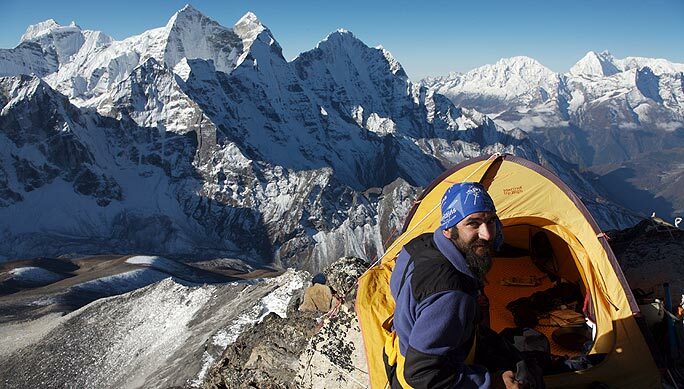 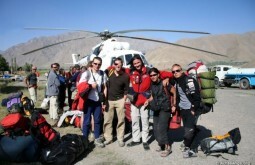 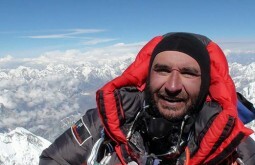 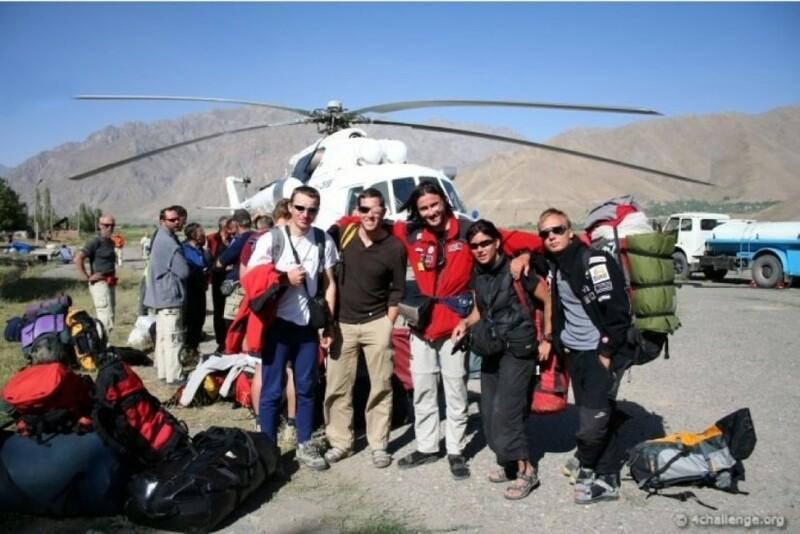 He specialized in high altitude mountaineering and climbed dozens of mountains in the region. 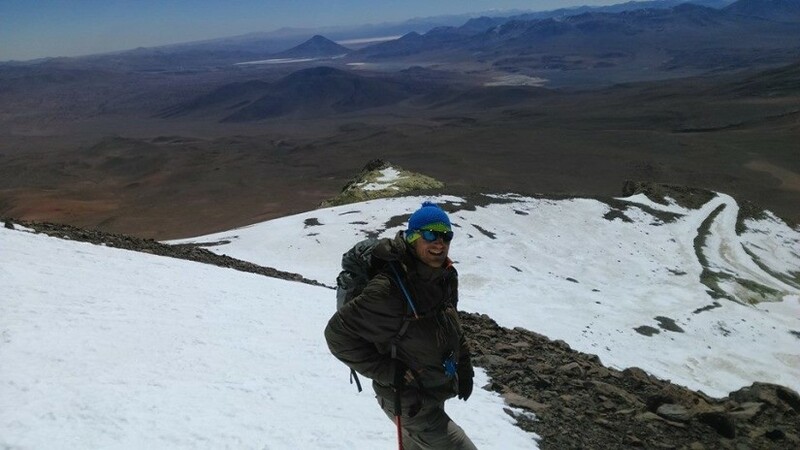 Edu has climbed big mountains like Aconcagua (6962m, 11 times), Ojos del Salado (6898m), Tres Cruces Sur (6738m), Tres Cruces Central (6640m), Mercedario (6770M), Tupungato (6556m), Cerro Plata (5943m), Vicuñas (6087m), among others. 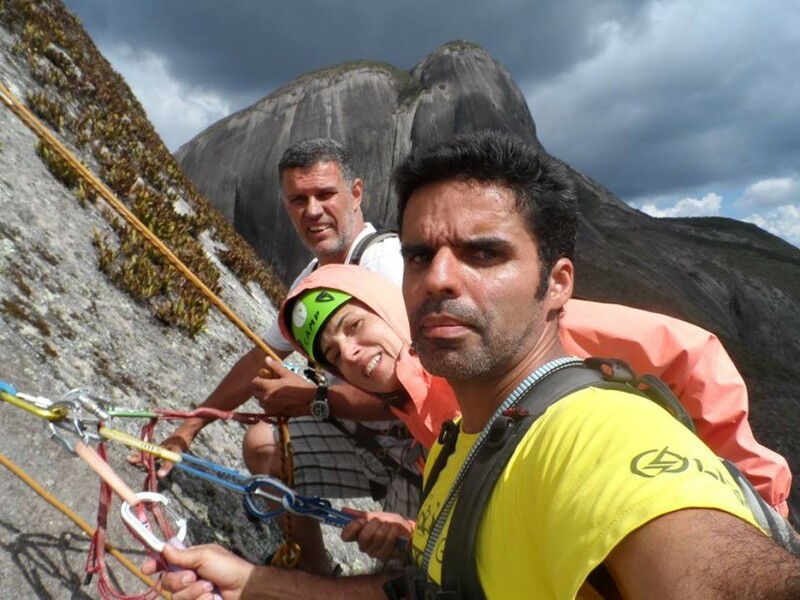 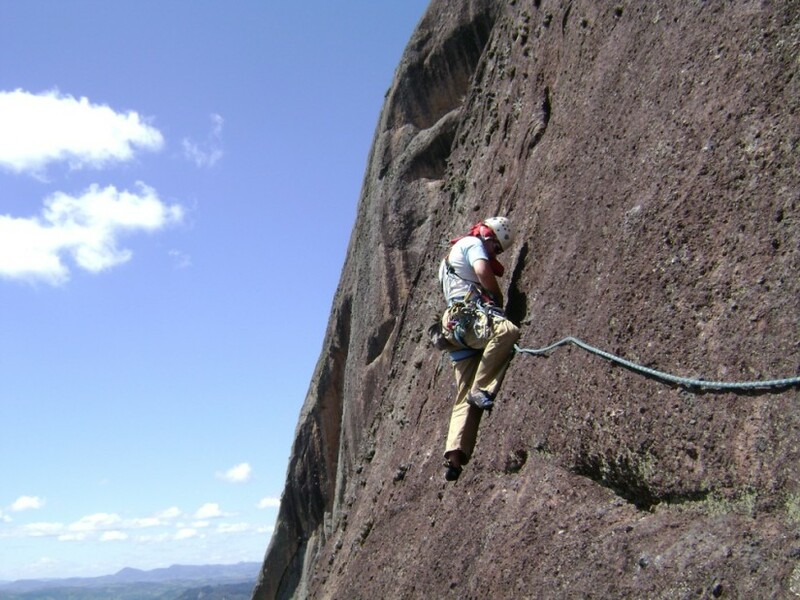 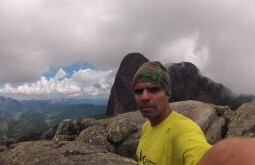 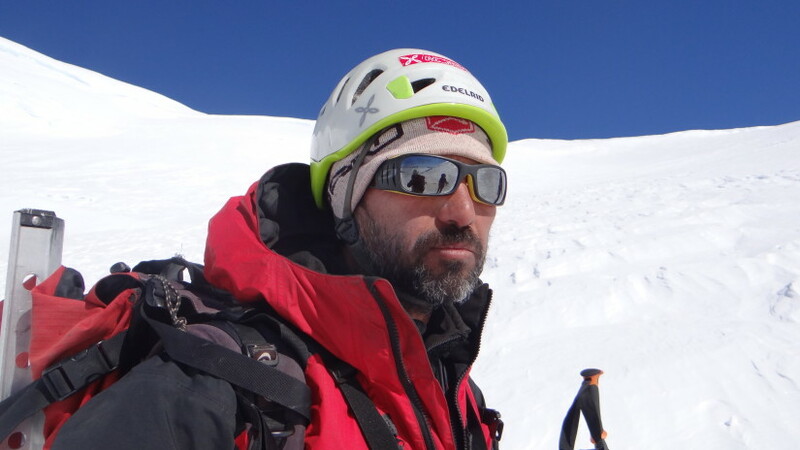 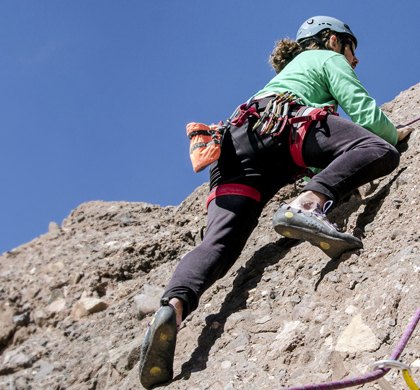 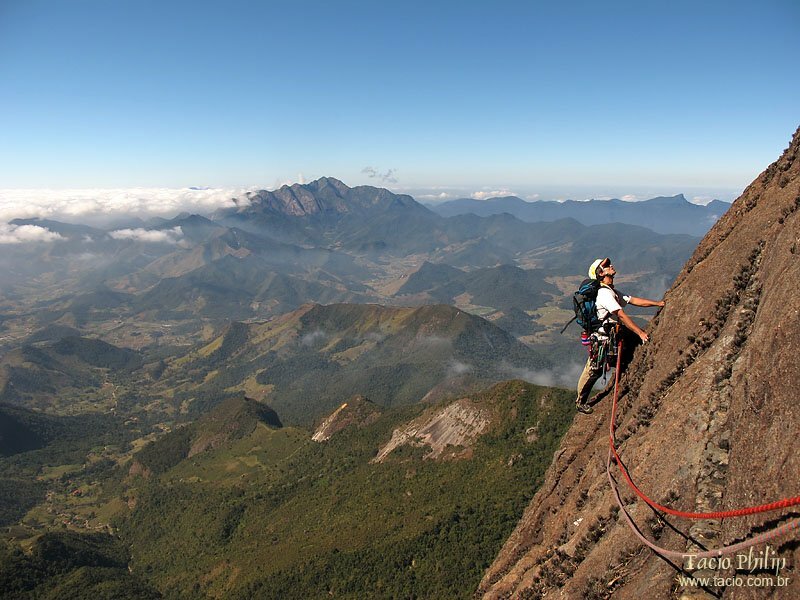 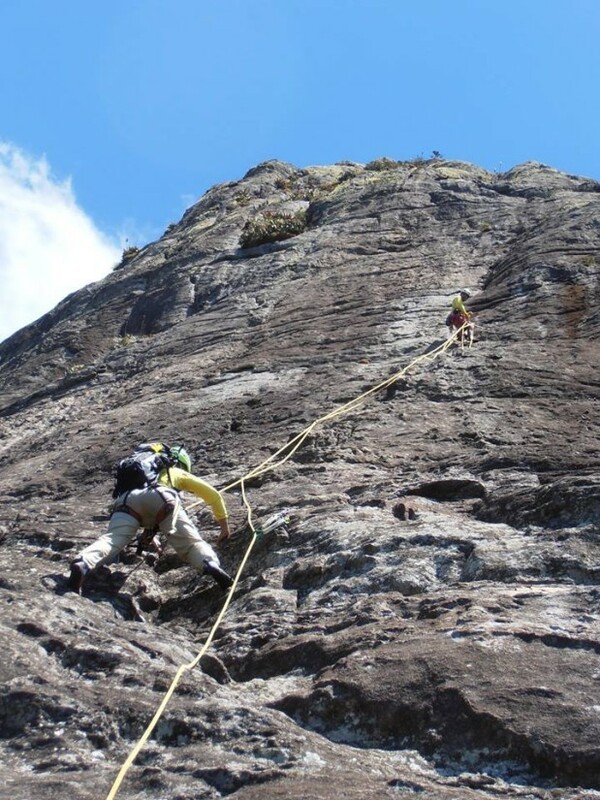 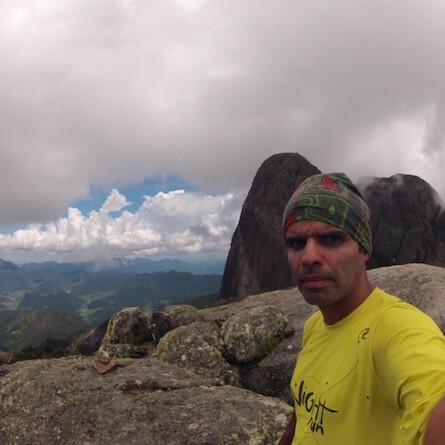 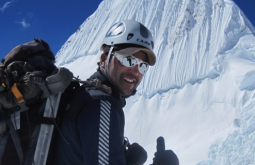 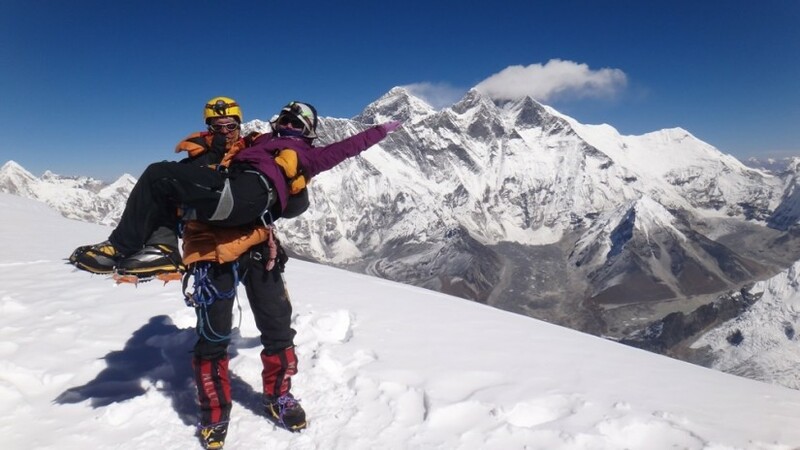 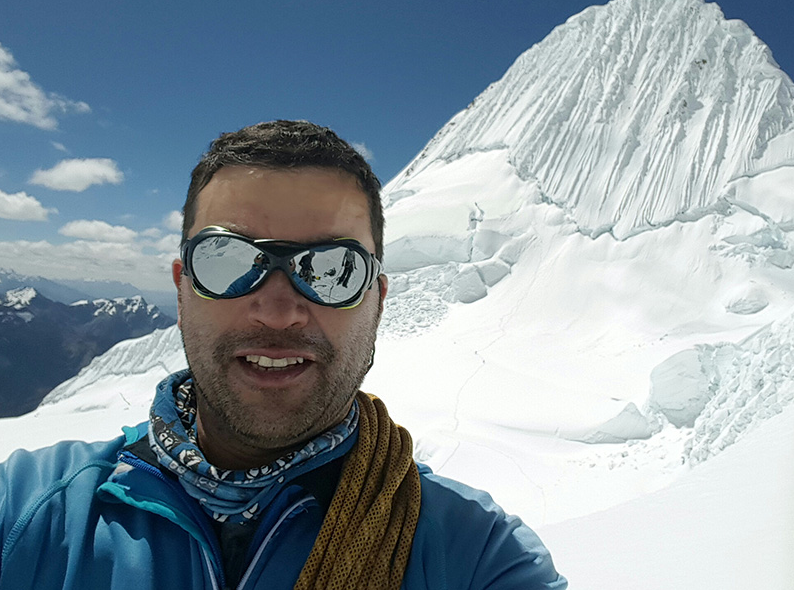 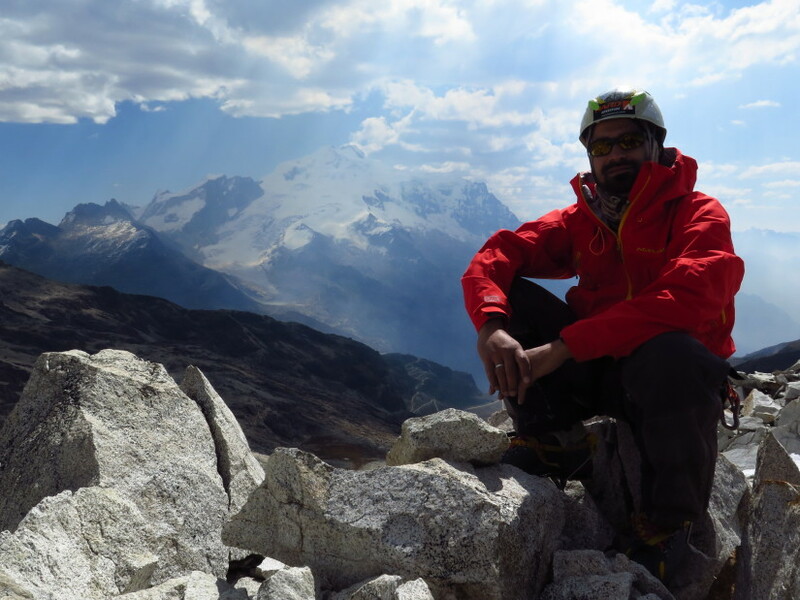 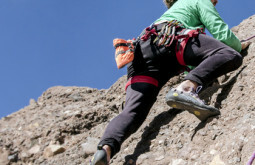 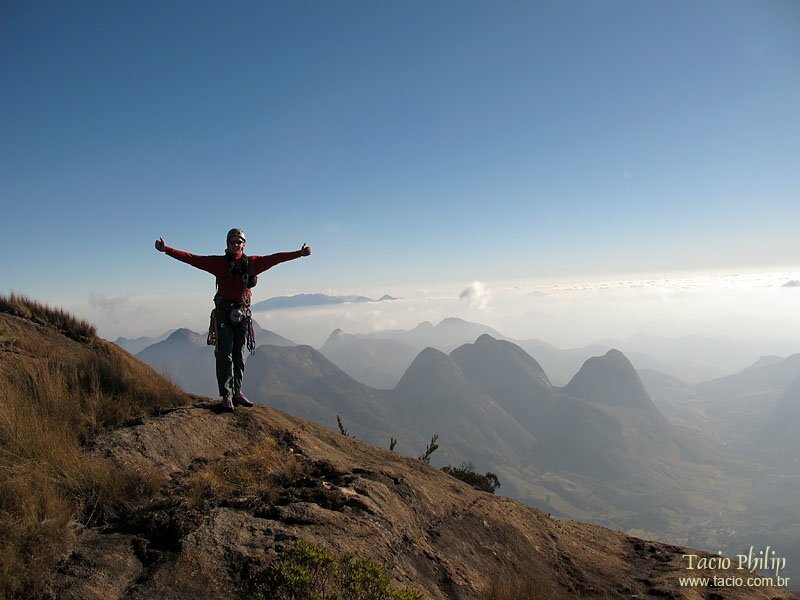 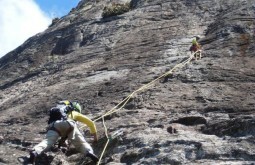 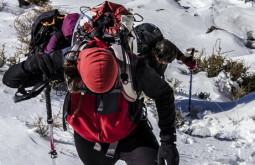 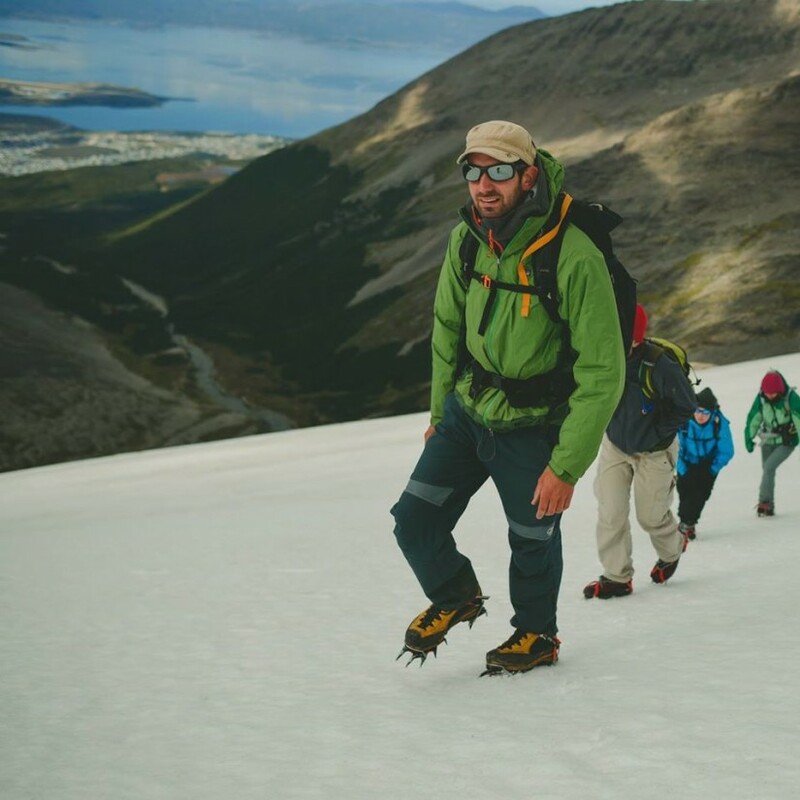 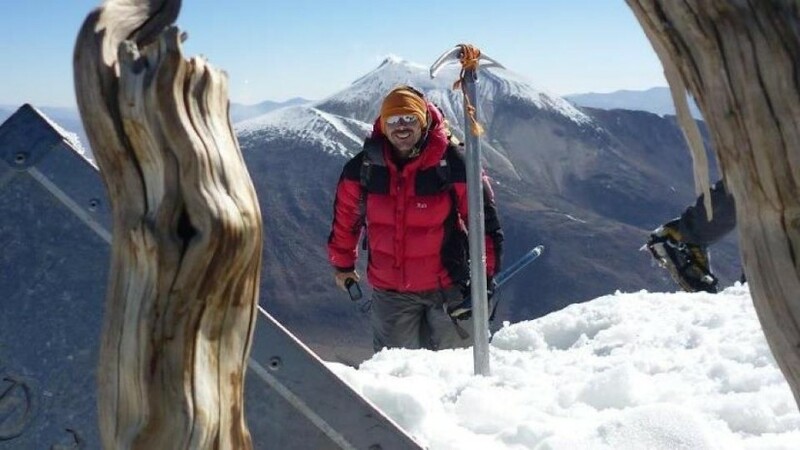 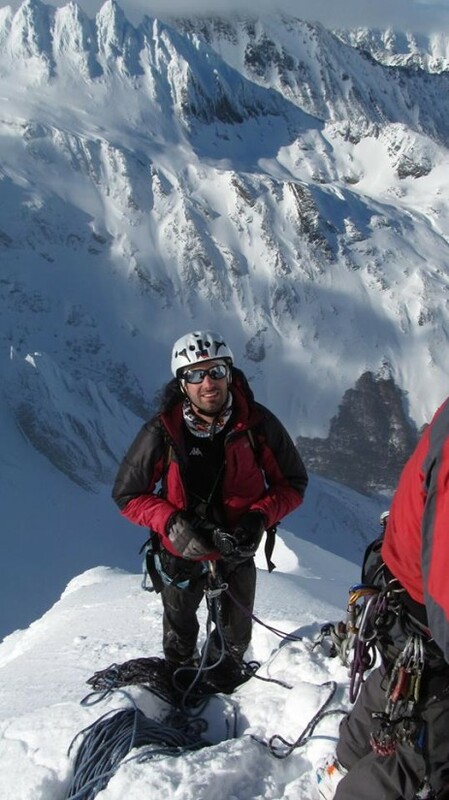 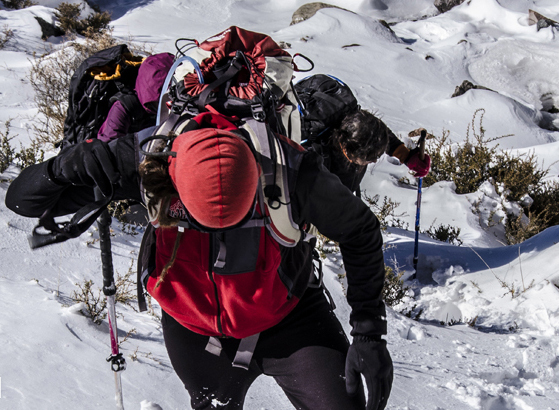 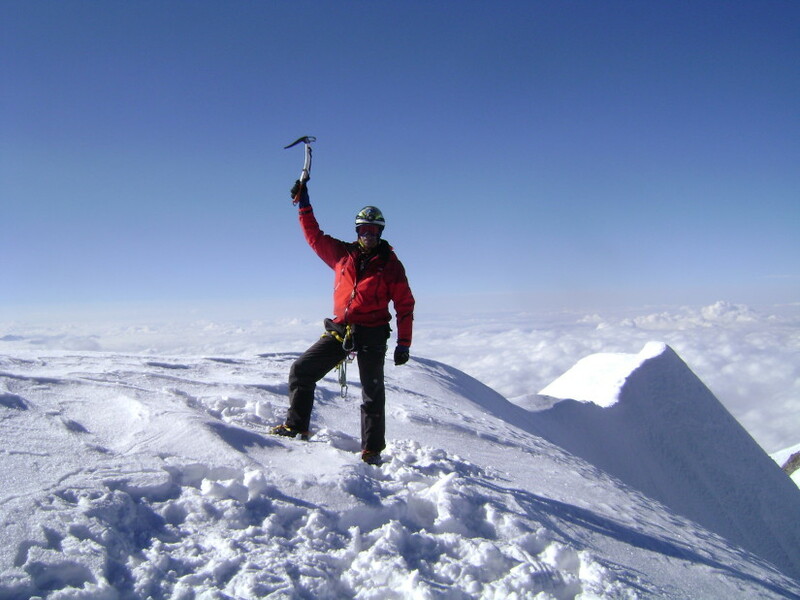 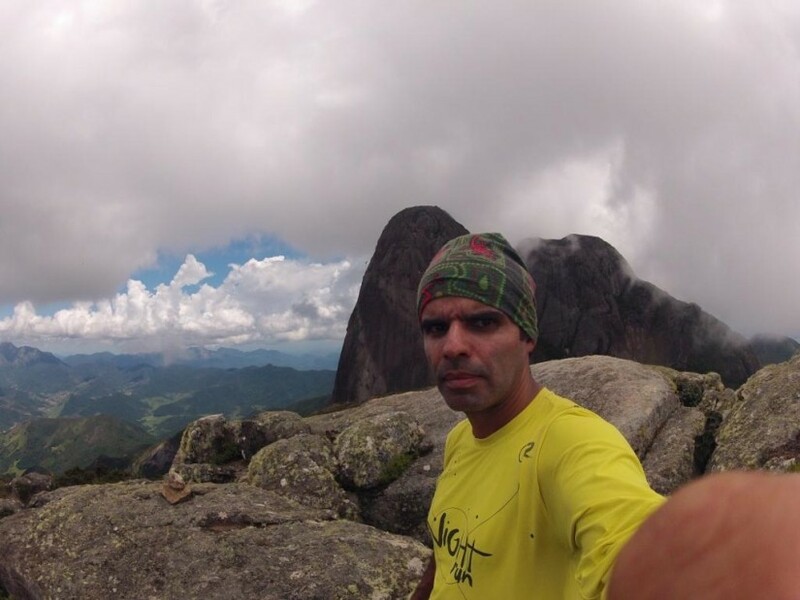 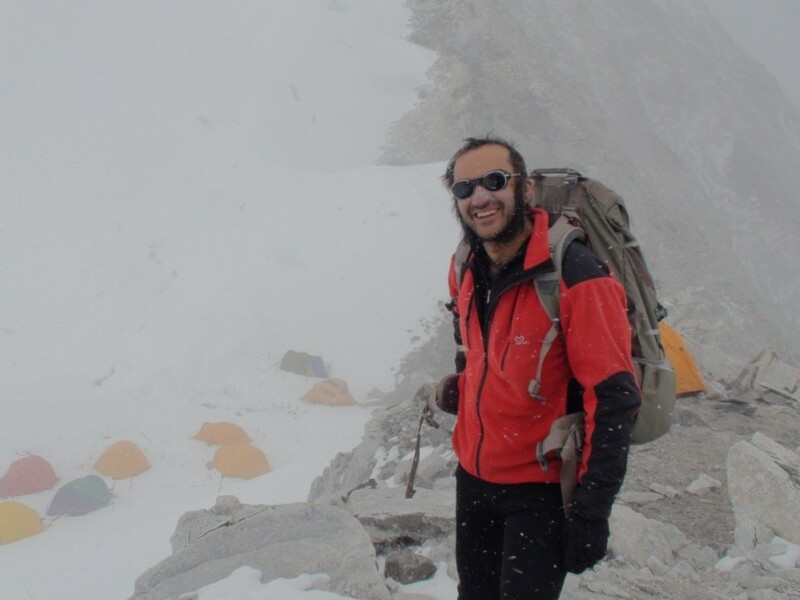 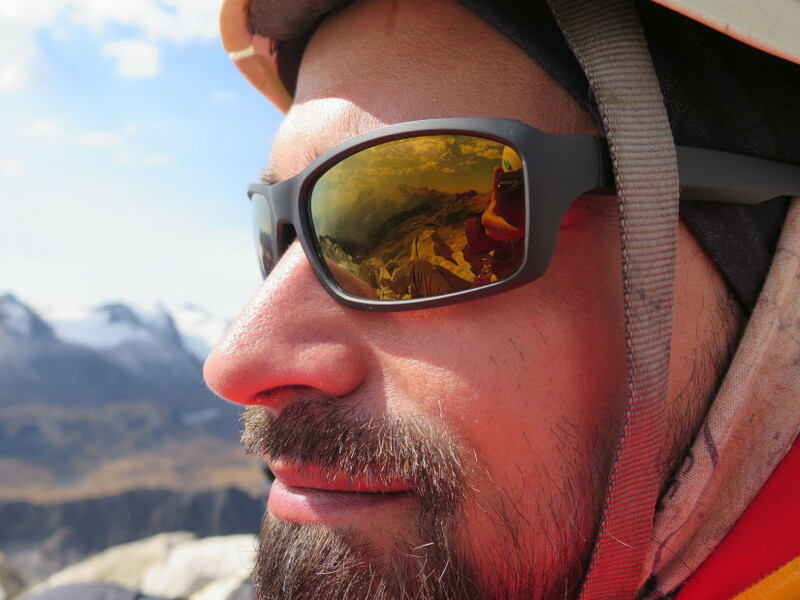 Eduardo has worked with human development and coaching in São Paulo, Brazil and he is now using mountaineering as coaching activities having amazing results! 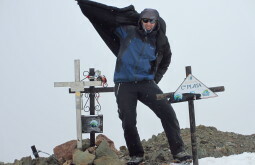 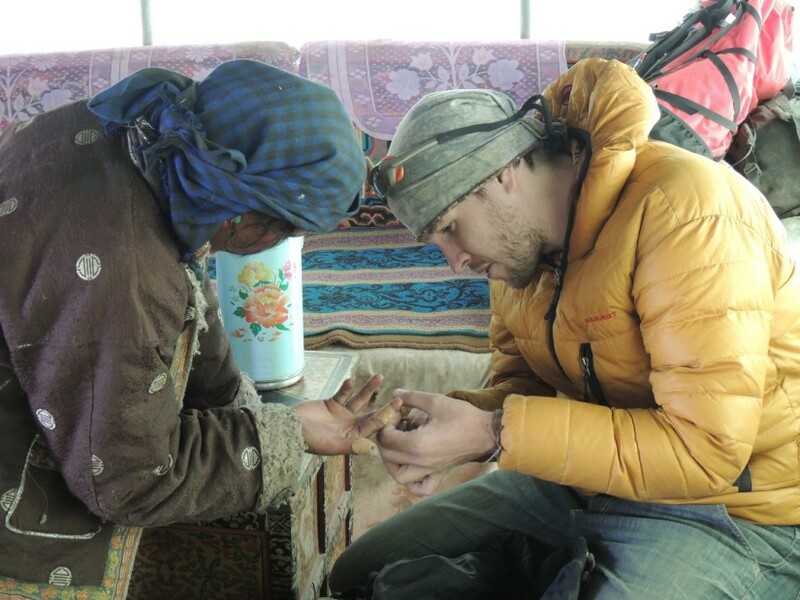 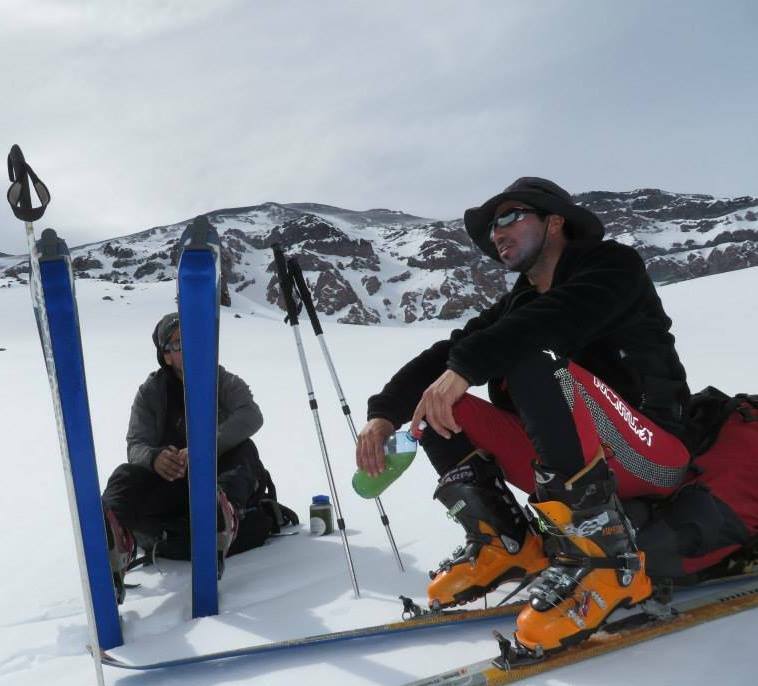 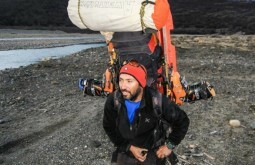 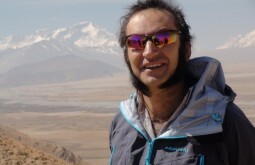 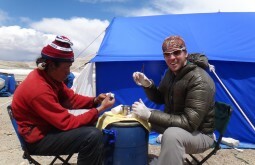 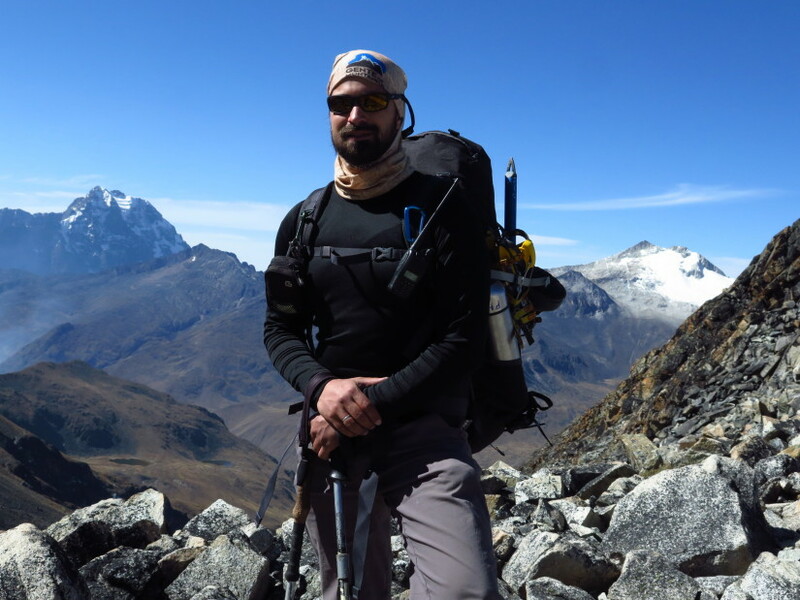 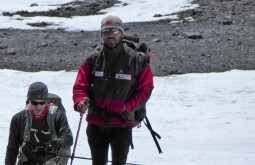 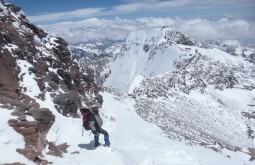 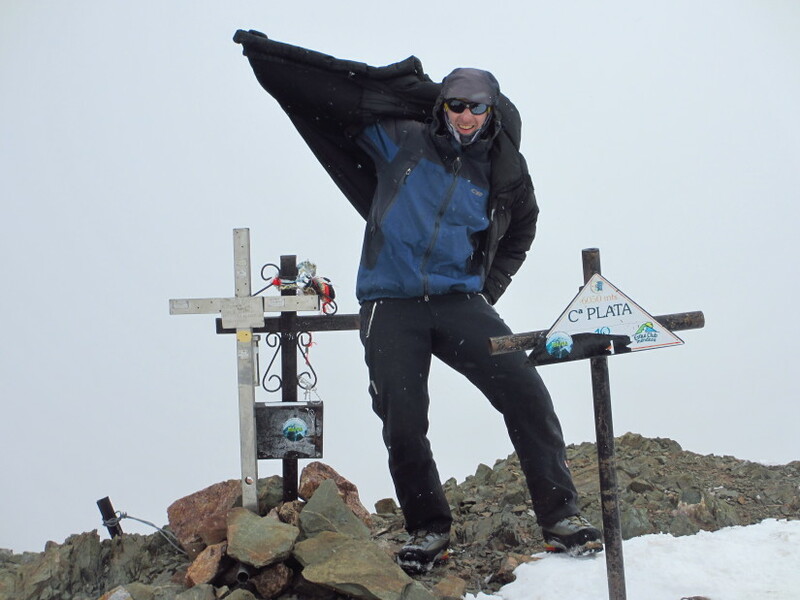 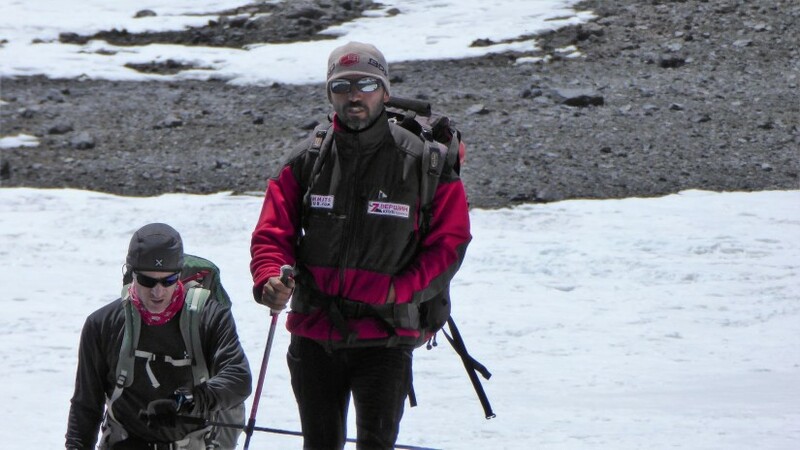 He has been working in Aconcagua for the last 4 years in a row and started as a porter in 2012. 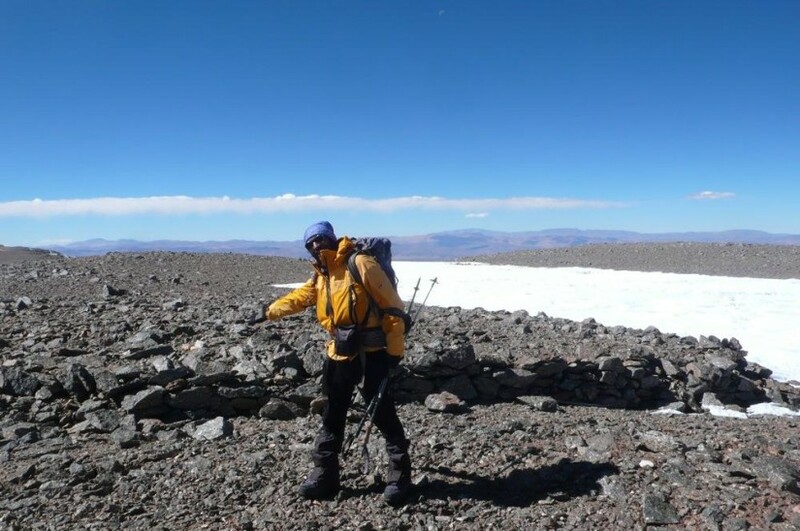 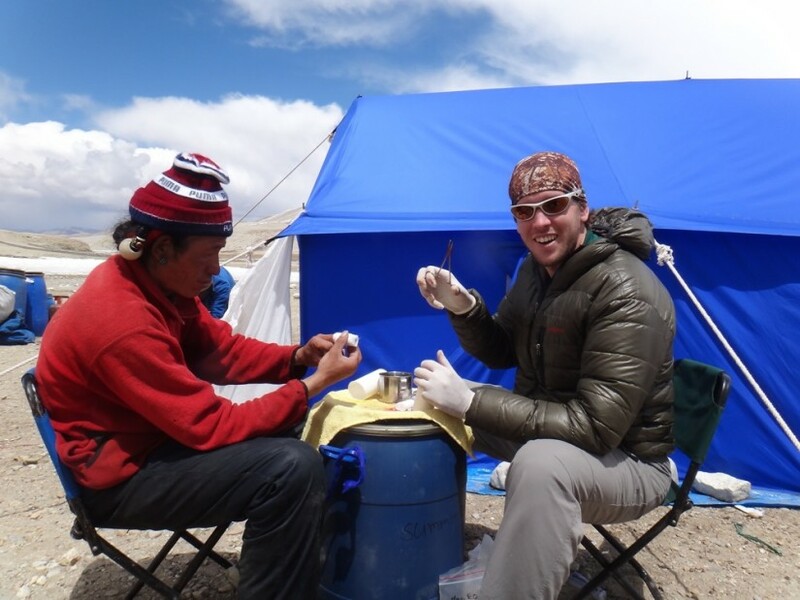 He worked his way up and has now led several expeditions at Central and dry Andes. 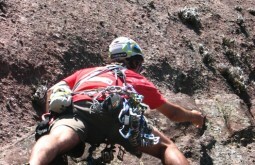 Adrián started mountaineering very young. 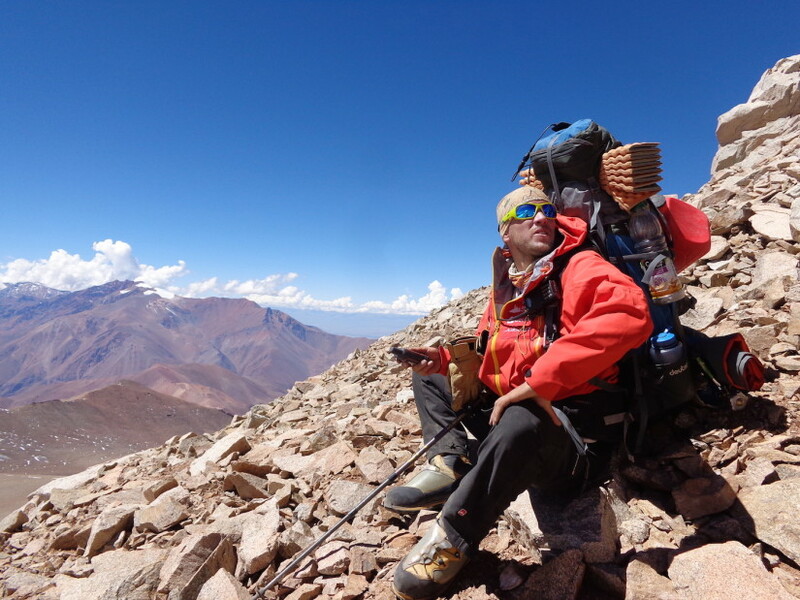 While he was a porter in Aconcagua, he joined the EPGAMT guiding school in Mendoza and graduated as a High Altitude Mountain Guide in 1999. 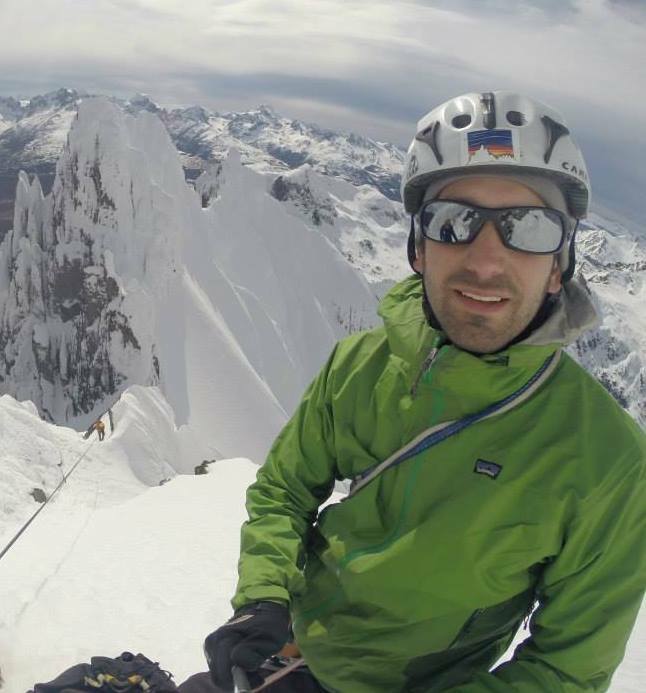 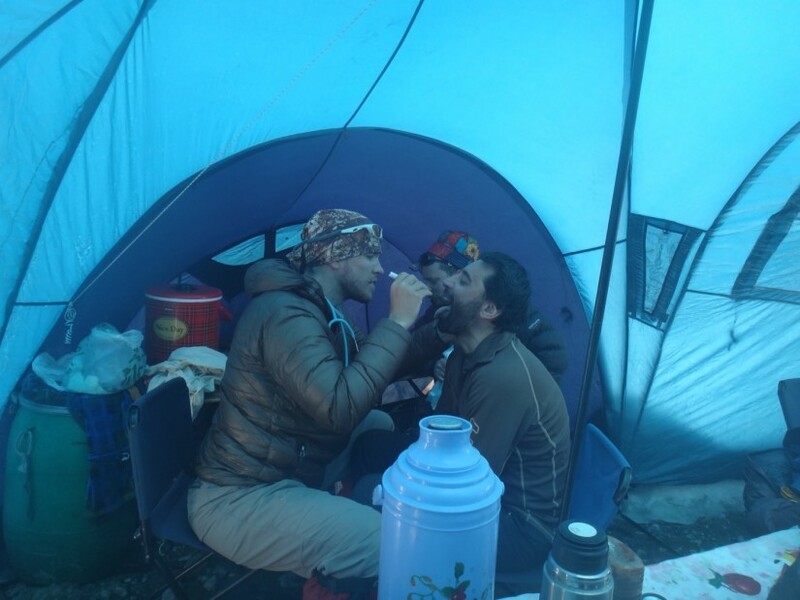 Depending on which season, Adrián spreads his time in between mountain guiding, teaching first aid WFR courses and mountain biking. 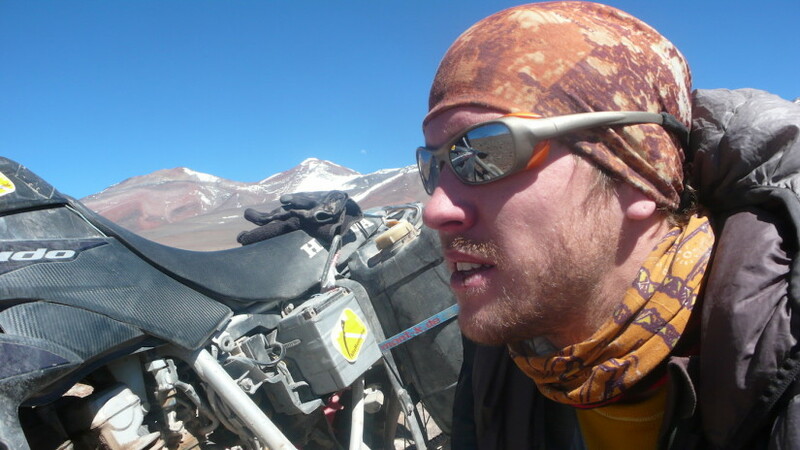 Al of these in large numbers: led 36 expeditions to Mount Aconcagua, taught over 32 WFR courser and cycled over 13,000 km in a single cycling trip in South America. 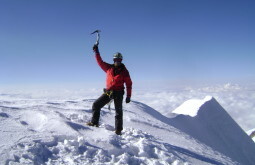 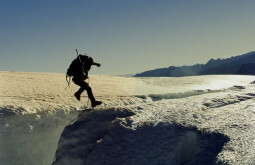 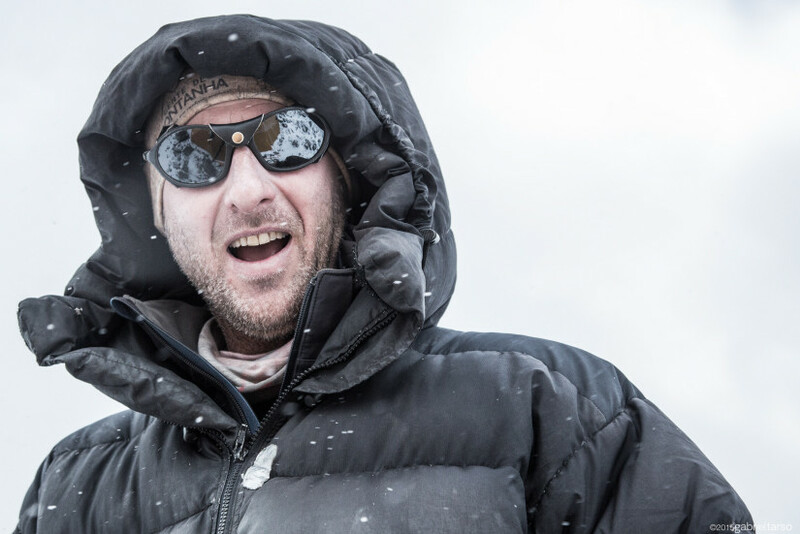 Adrian participated in a large number of expeditions in the Andes of Argentina, Chile, Bolivia, Peru and the Alps of France, Italy, and Switzerland. 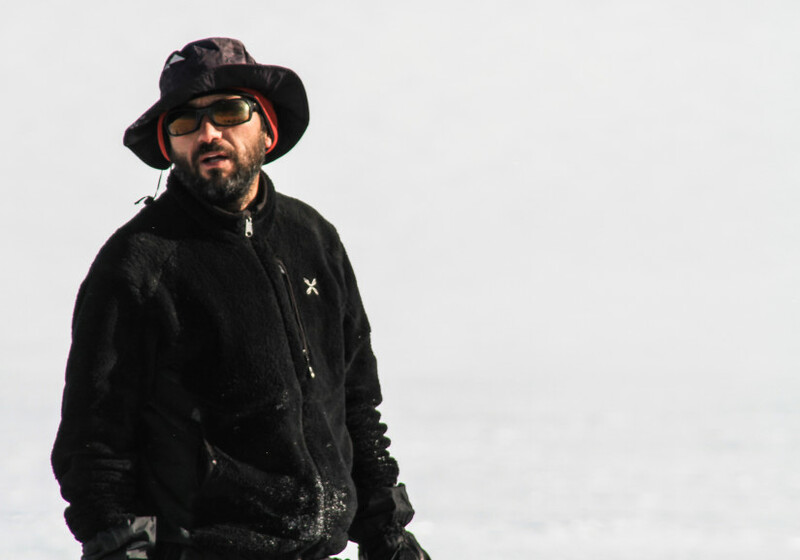 Although he looks pretty serious, anyone who spends 5 minutes with him will soon figure out what a funny character he actually is! 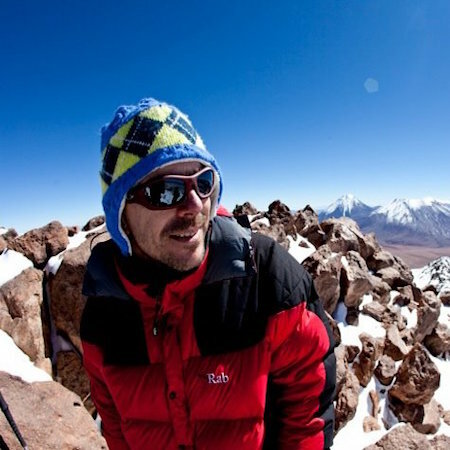 Gabriel is an extremely relaxed guy who guides for over 15 years and has summited giants like Aconcagua and Fitz Roy a bunch of times! 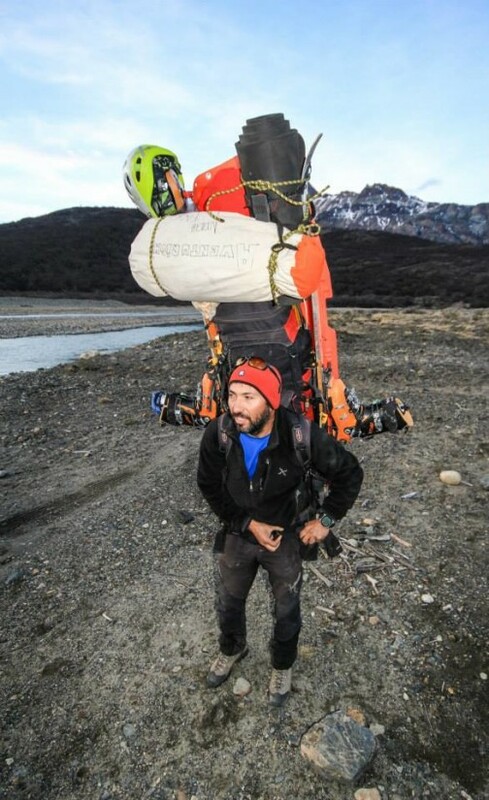 He is our local specialist at the Argentine Patagonia. 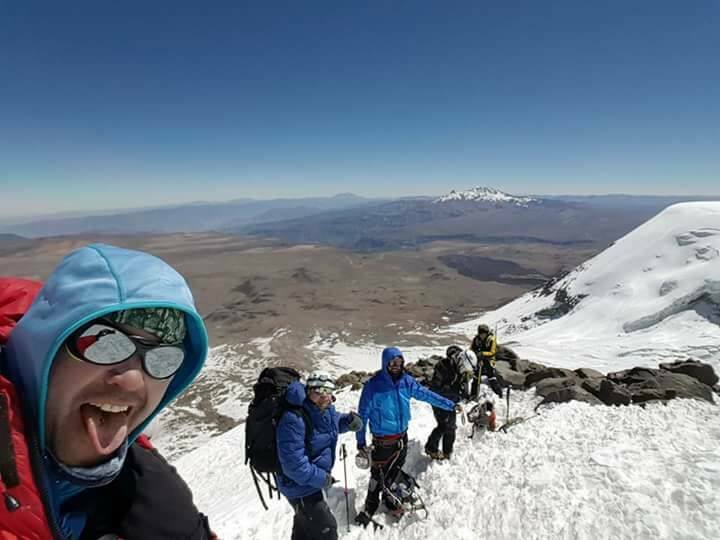 Guiding treks, glaciers walks, polar traverses, classic climbs, high altitude expeditions or anything that has mountains on it, Gabriel shares his time between Central Andes and Patagonia. 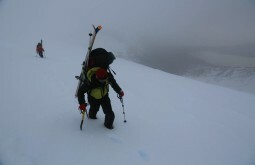 Apart from being a professional mountain guide, he’s also a very skilled skier. 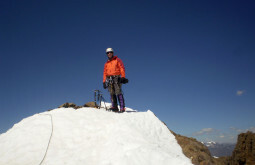 Gabriel has worked as ski patrol for several years. 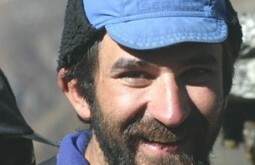 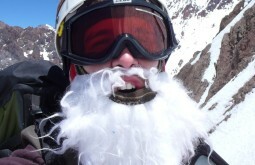 He now lives at Arenales, a huge paradise of trad and alpine climbing just a few hours away from Mendoza in Argentina. 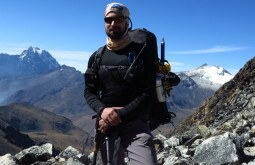 Beyond his titles and achievements, Gabriel’s philosophy about guiding is to put all his energy into it making people feel an unique and enjoyable experience. A ski athlete, Sebastian Beltrame Muschietti was born in Ushuaia, the southernmost city in the world! 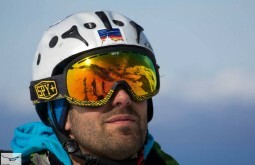 Skiing since he was 2 years old, Sebastian became a ski athlete competing for alpine world ski championships when he was 10. 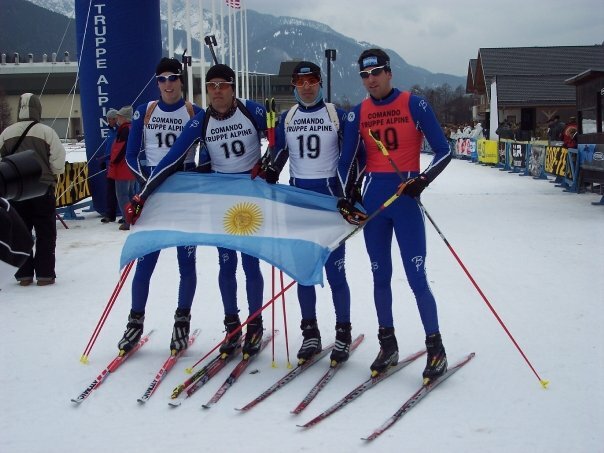 At 18 he became a professional biathlon athlete (country cross skiing shooting a .22 rifle). 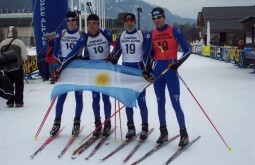 Competing as biathlon professional athlete for 7 years, he won national and South American competitions. 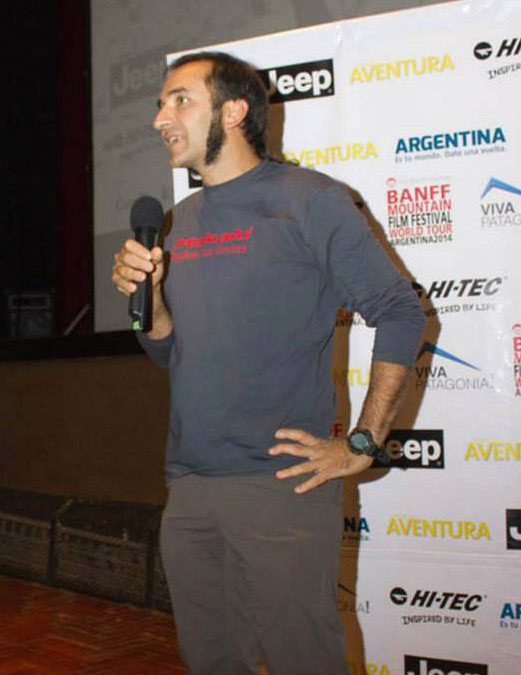 Sebastian participated in several world championships in many European countries including the Winter Olympic Games in Torino in 2006. 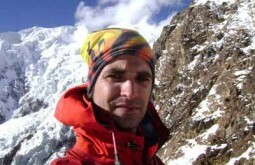 In 2007 he decided to retire from professional competitions to then focus on the guiding career. 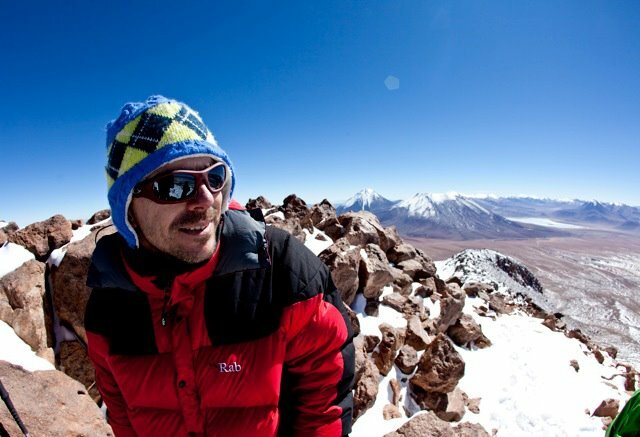 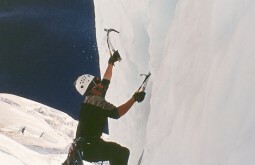 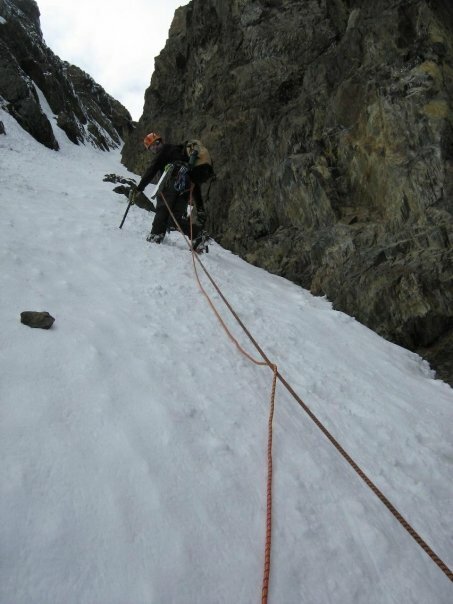 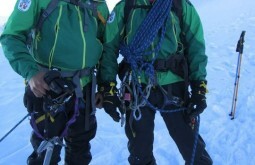 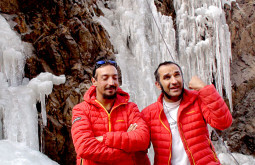 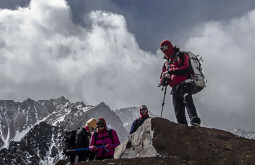 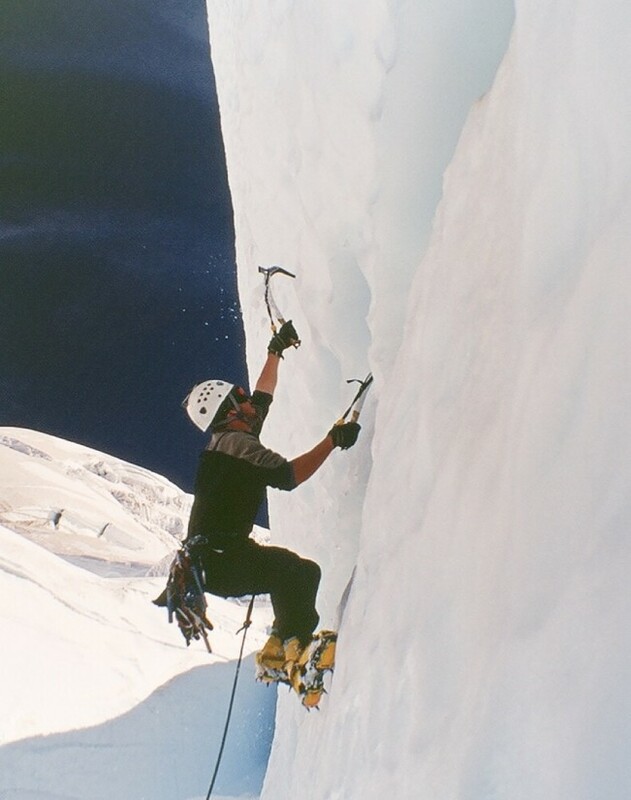 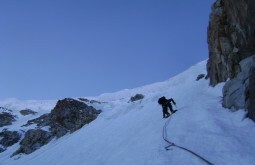 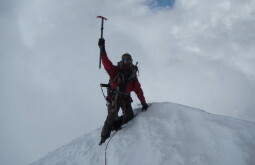 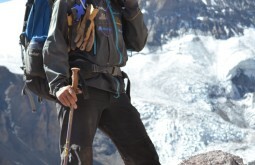 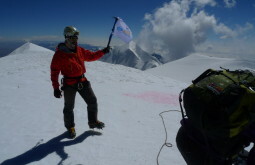 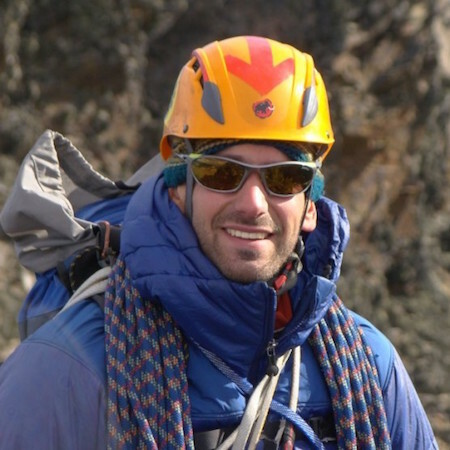 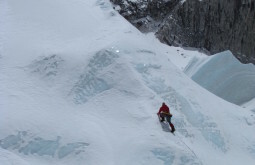 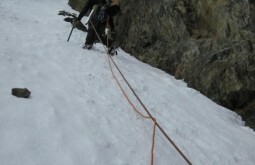 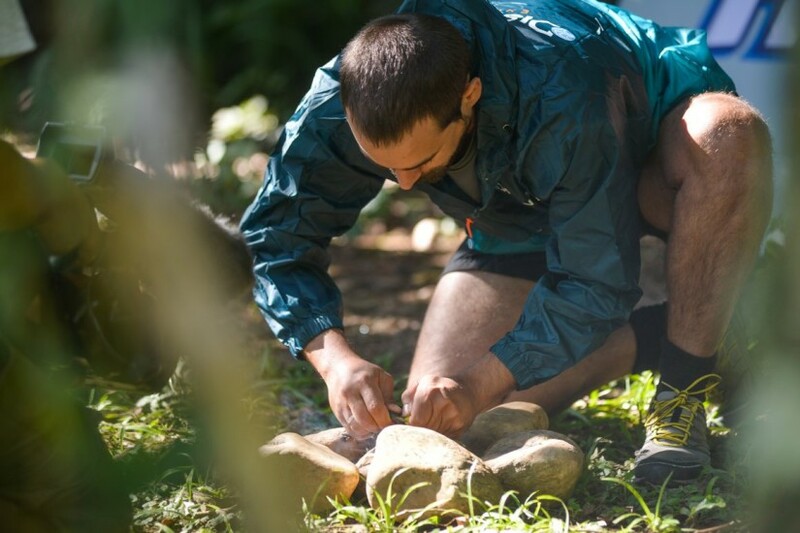 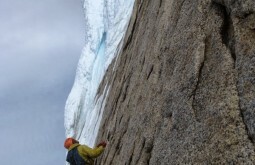 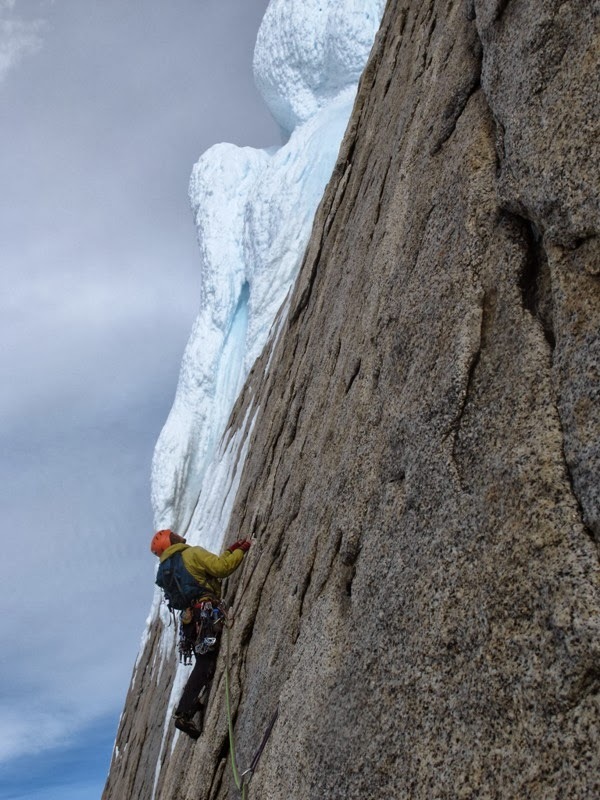 Sebastian worked on his rock, ice, and mixed climbing skills as well as guiding techniques to graduate as a mountain guide in 2011 at the Argentinean Mountaineering Guides Association (AAGM). 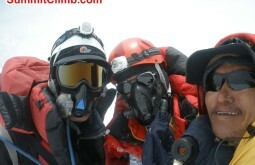 He works as a professional mountain guide since then. 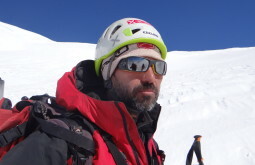 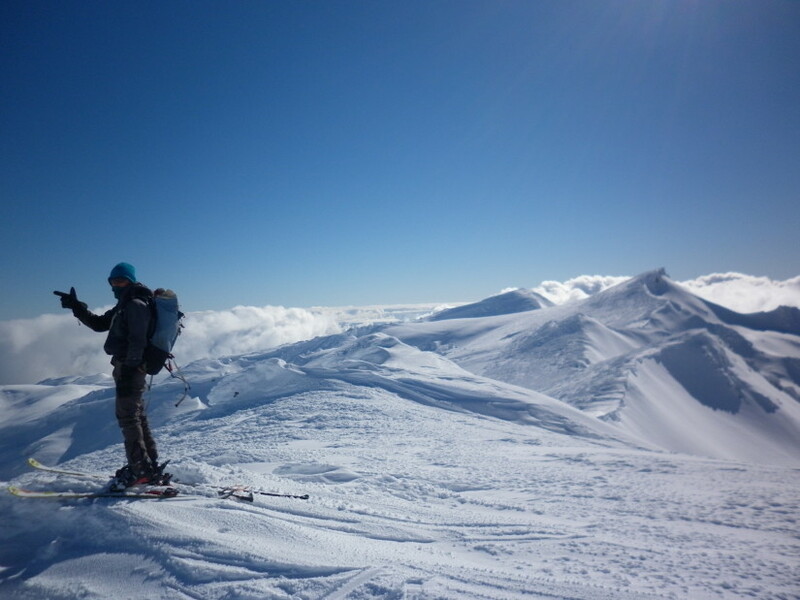 Sebastian’s next mission is to become a UIAA Mountain Ski Guide. 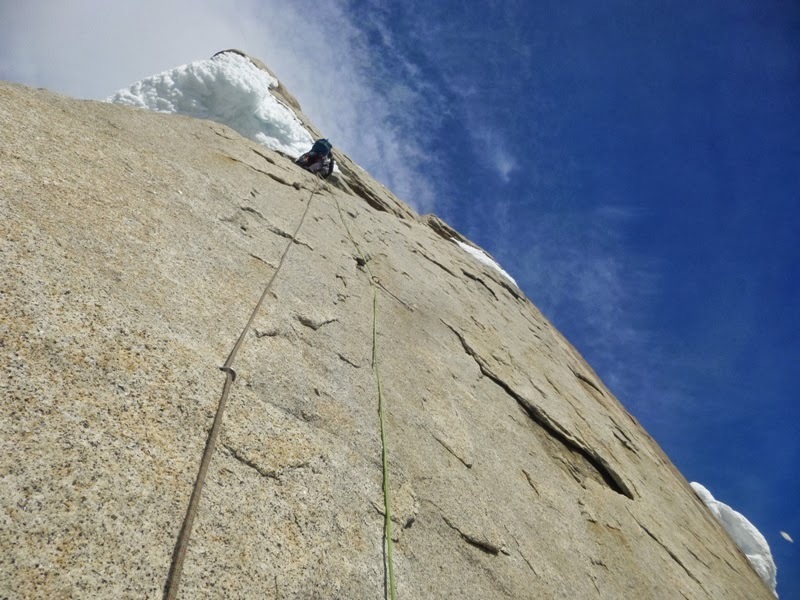 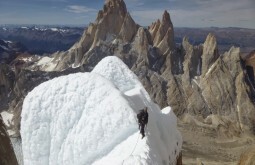 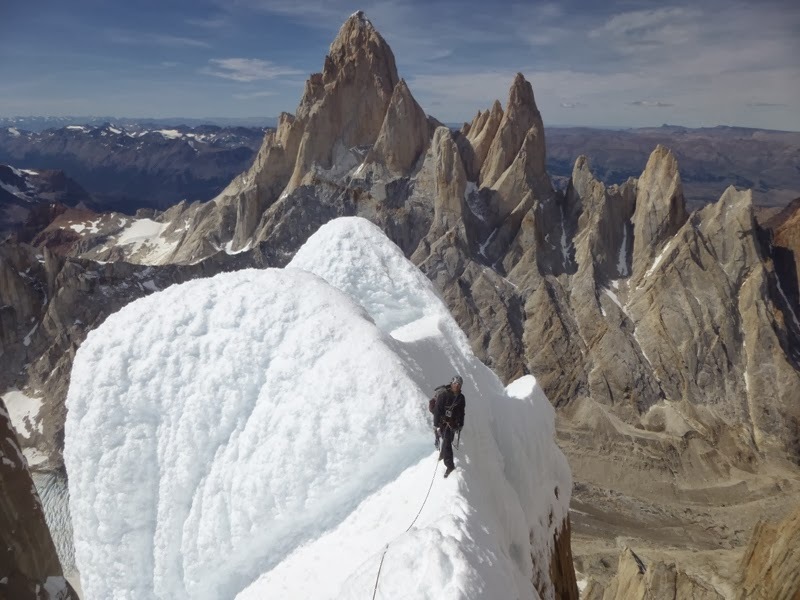 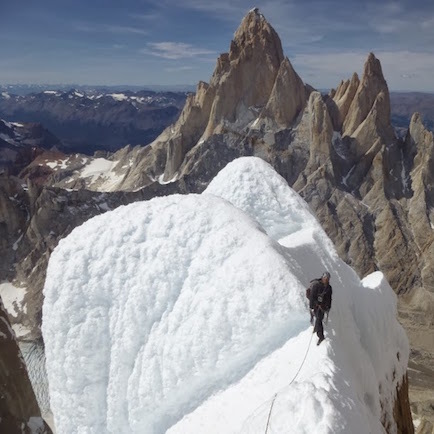 Sebastian has done a large number of technical climbs at the Darwin Range and Patagonia while many of those are new lines. 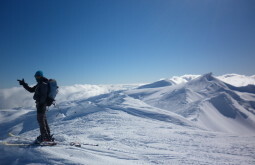 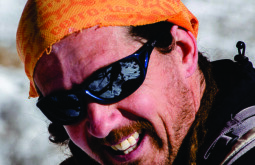 He now runs ski expeditions and ski traverses regularly and is one of the best-known guides in the island. 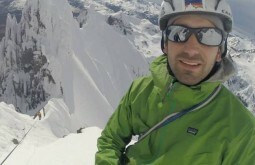 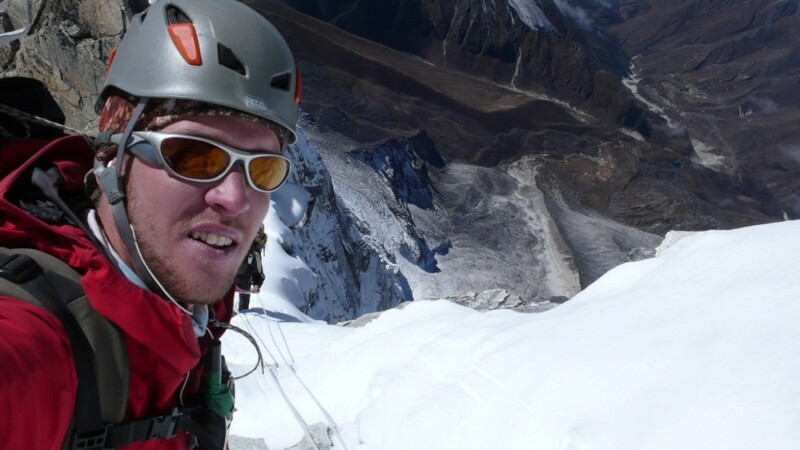 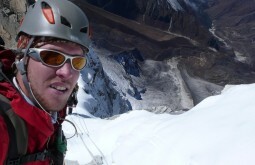 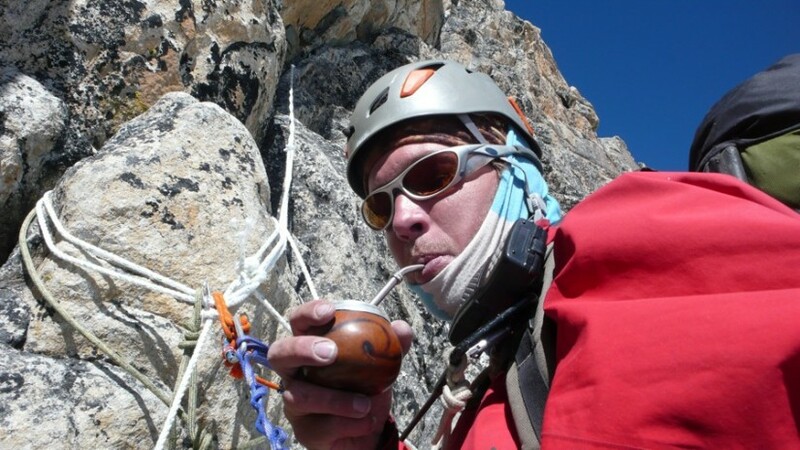 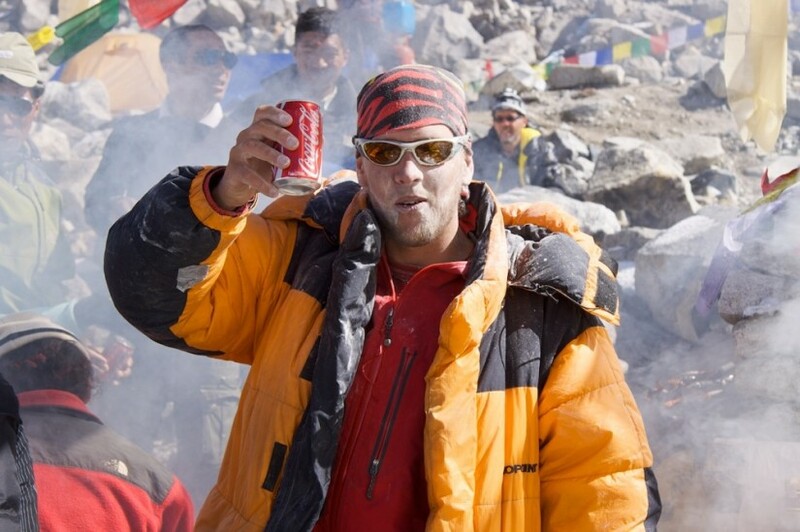 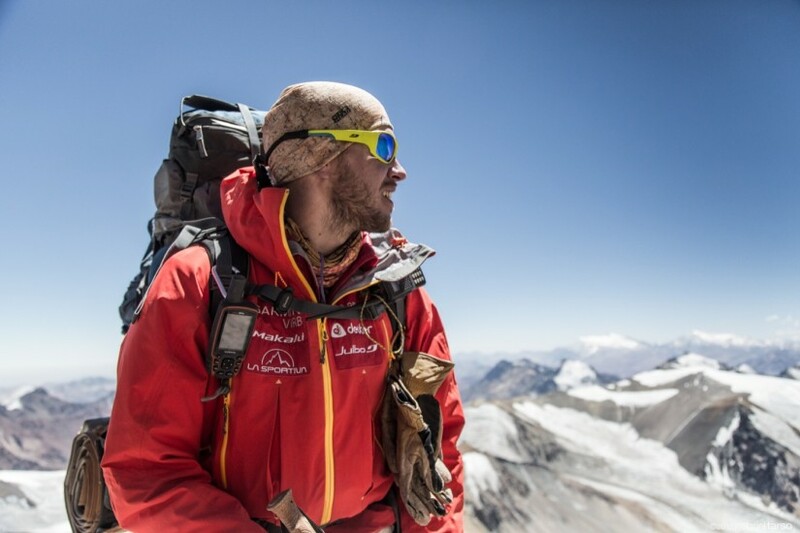 Born Lima, Peru, Julver started mountaineering very young and made climbing his profession. 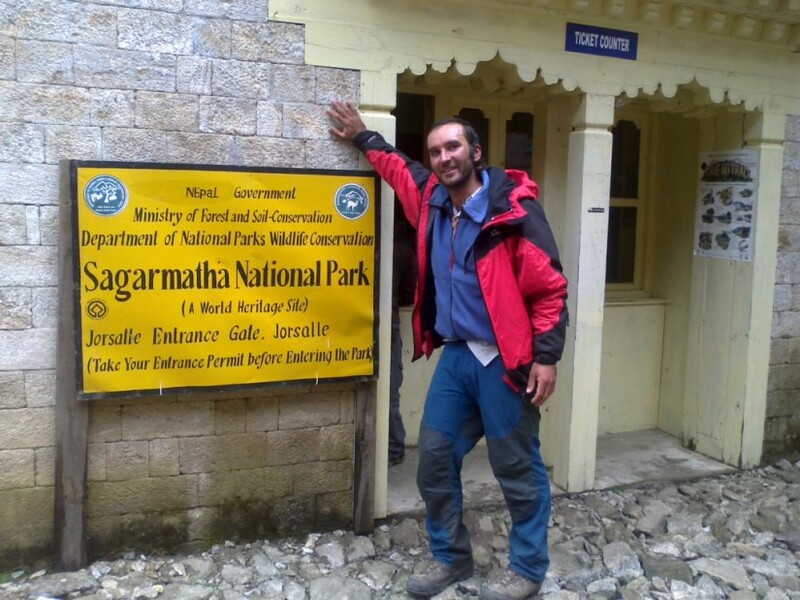 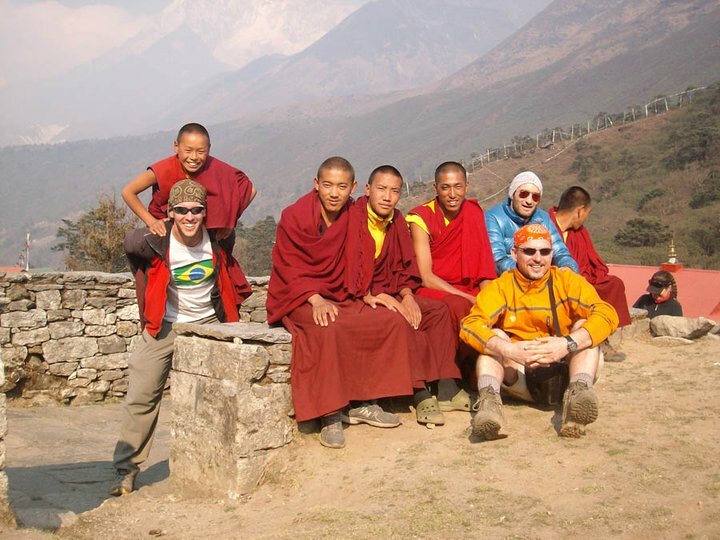 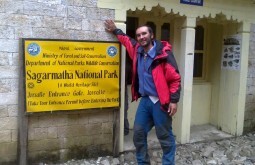 He became a UIAGM guide and now works all over the planet. 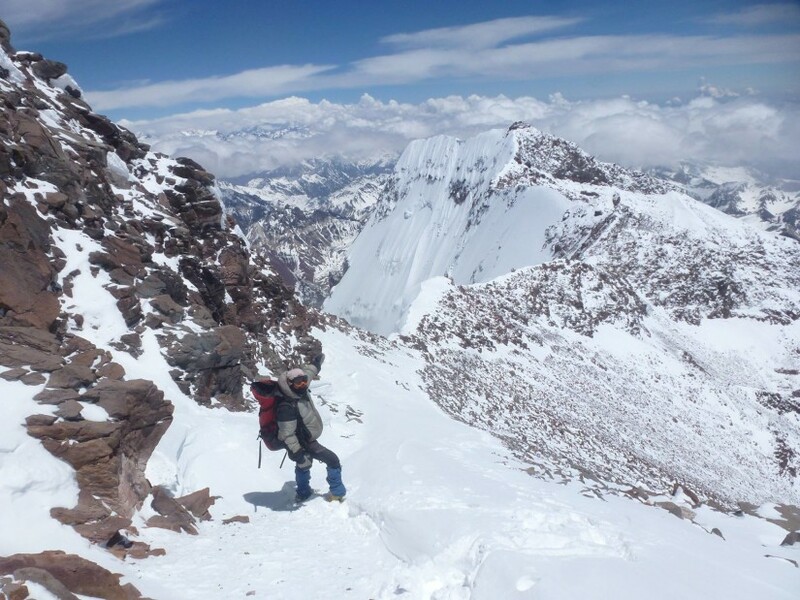 Julver spends the summer at the Central Andes working in Aconcagua and expedition leader and winter in Arequipa or the Cordillera Blanca leading trips on technical peaks. 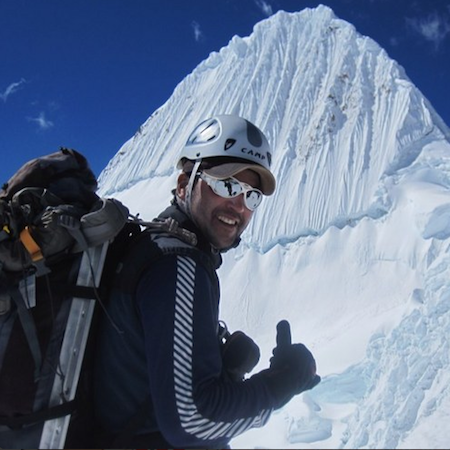 An extremely experienced climber, Julver has climbed over 25 x 6000 metre peaks in Peru, Bolivia, Argentina, Ecuador and Chile. 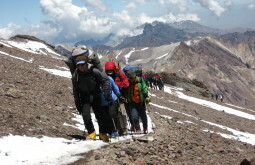 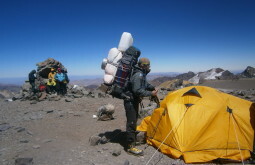 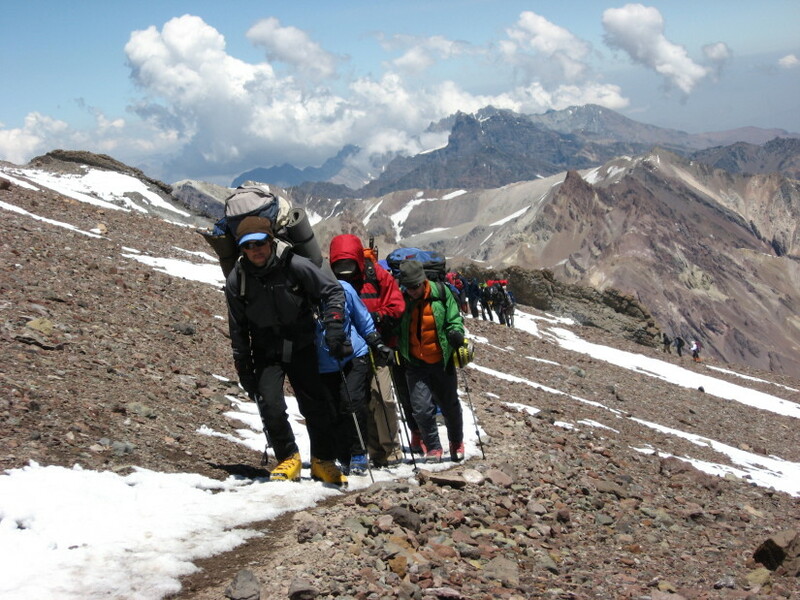 He ran Aconcagua from the road to the summit and back in just over 20 hours in 2006. 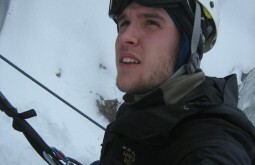 Julver is an extremely easy going person and speaks excellent English. 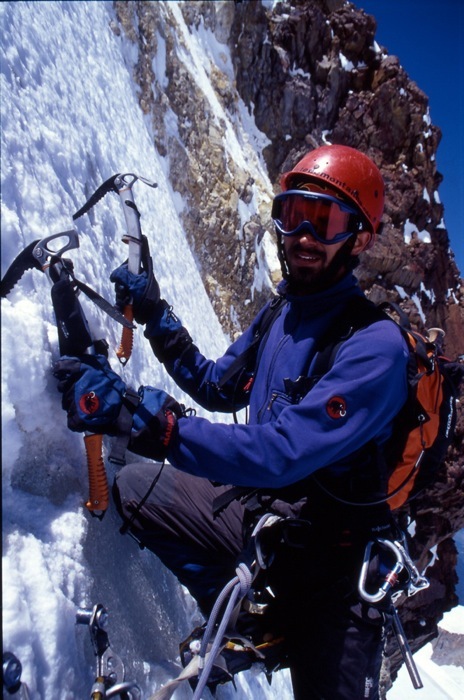 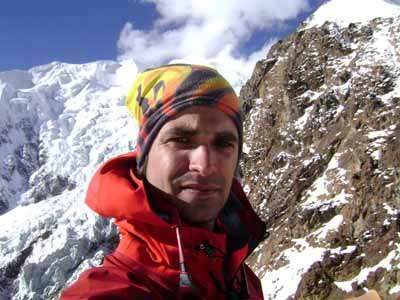 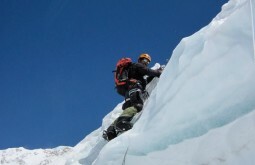 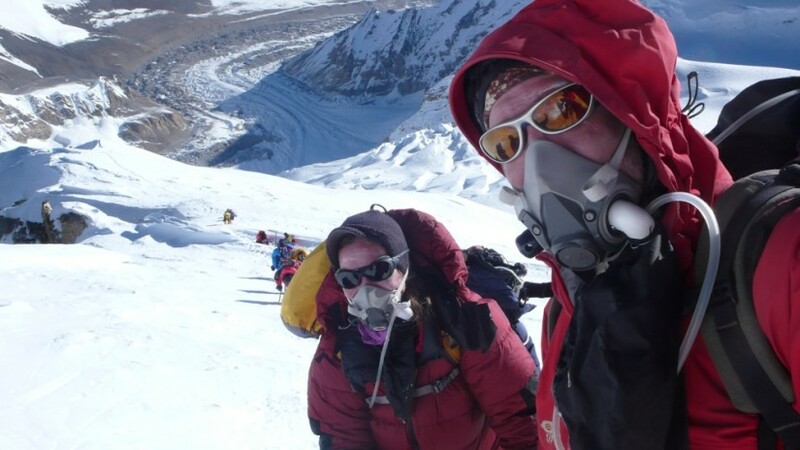 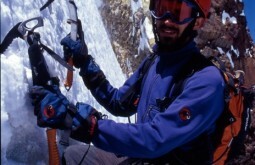 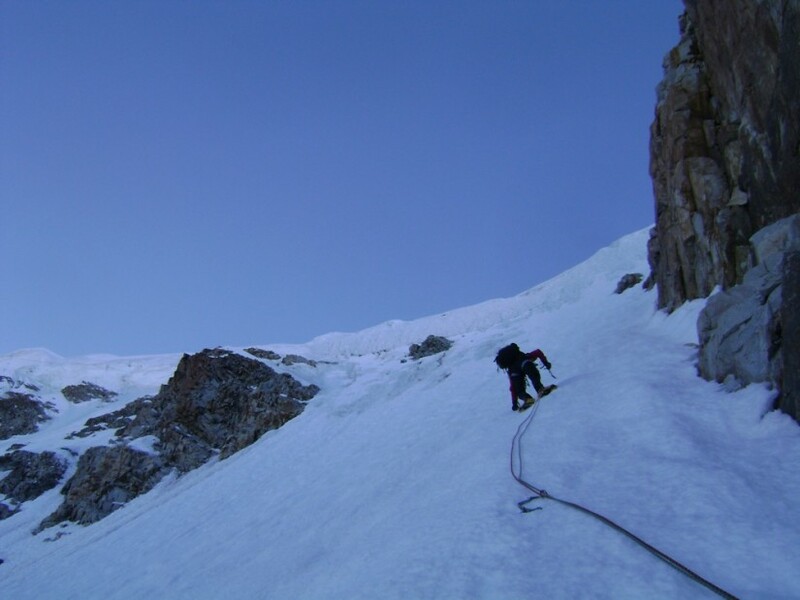 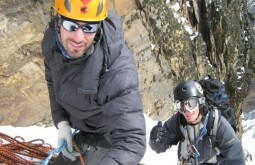 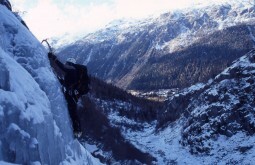 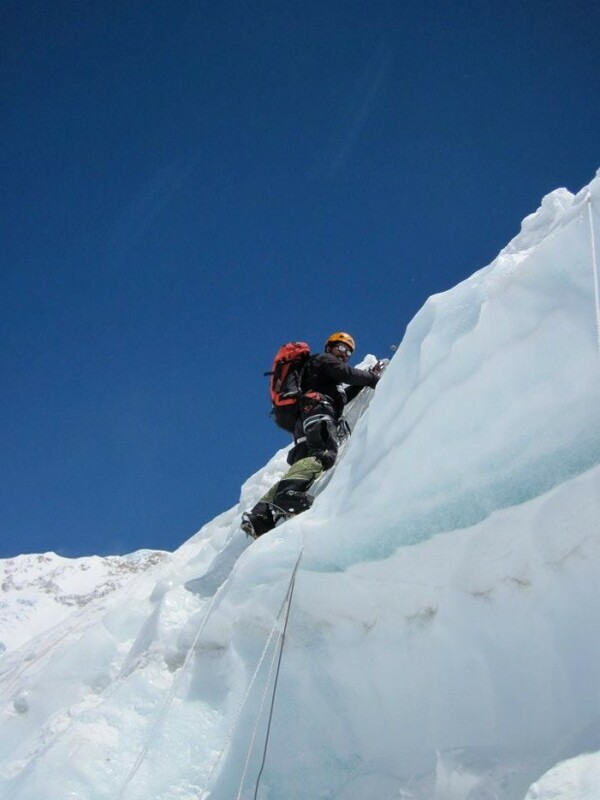 Climber and mountaineer for over 25 years, Alex began climbing and mountaineering in 1990. 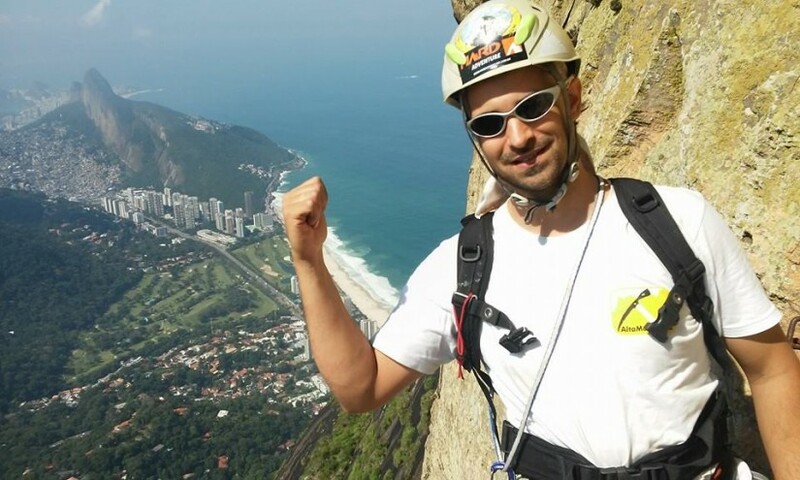 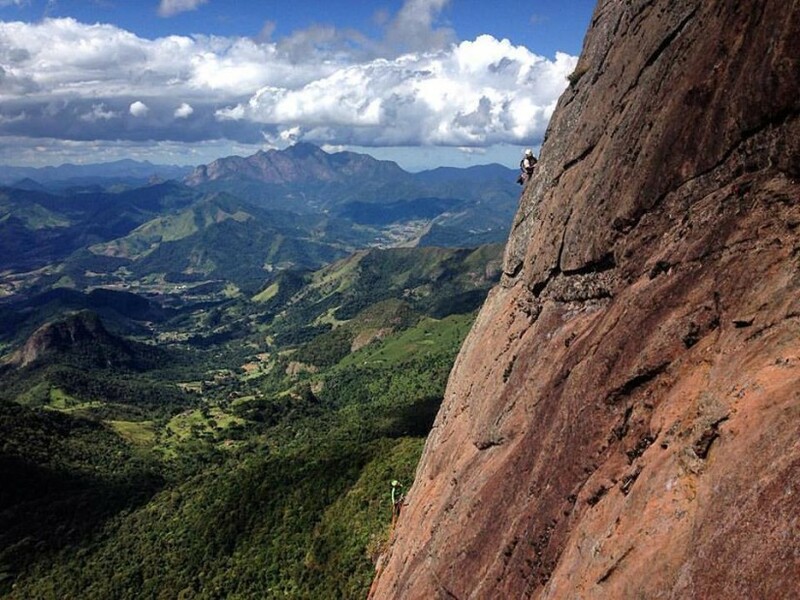 A man of few words, Alex Ribeiro is a rock climbing reference in Brazil. 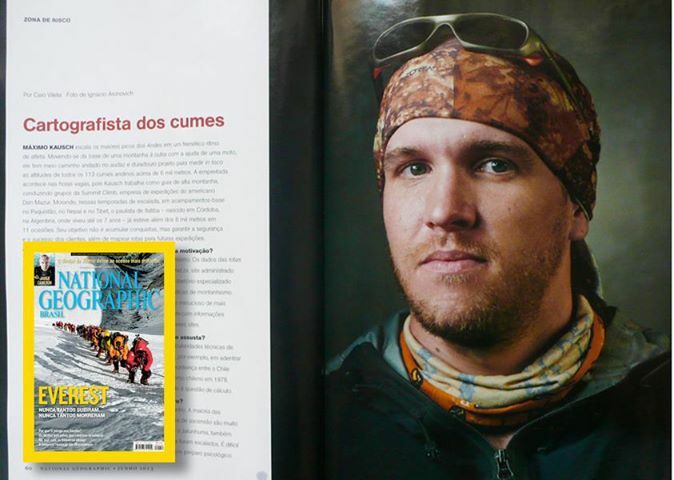 He's the author of 2 climbing books, "Dividir and Conquistar" (To Share and To Conquer, 2000) and "Manual de abertura de vias" (Route Opening Manual, 2013). Additionally, he has written dozens of articles for magazines, websites, and newspapers. 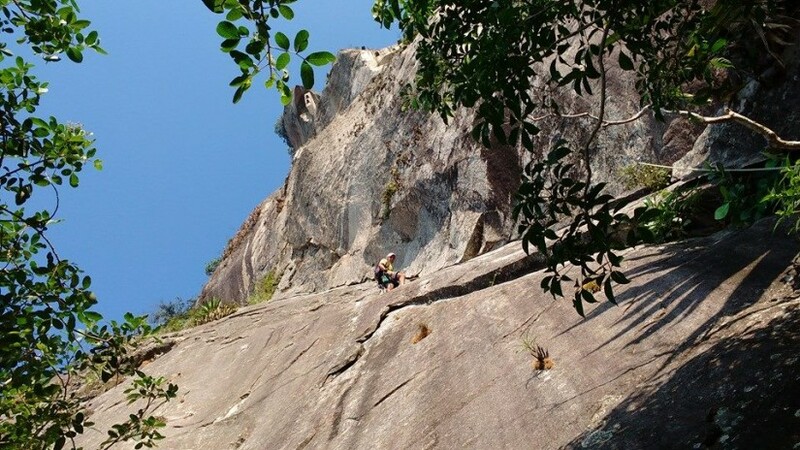 Conqueror of over 200 climbing routes in several Brazilian states, some of his routes are amongst the largest climbing routes in Brazil. 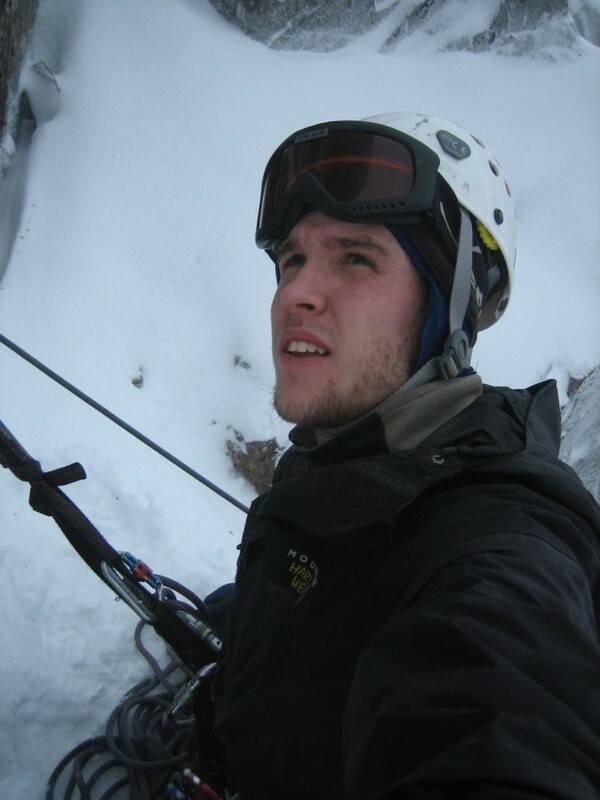 He's also an Industrial Rope Access Supervisor and is a certified rescuer in height and confined spaces.